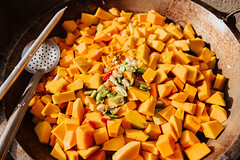 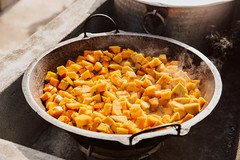 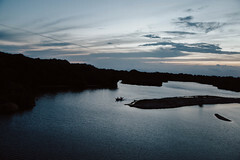 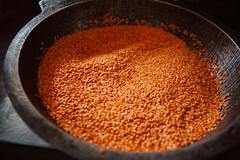 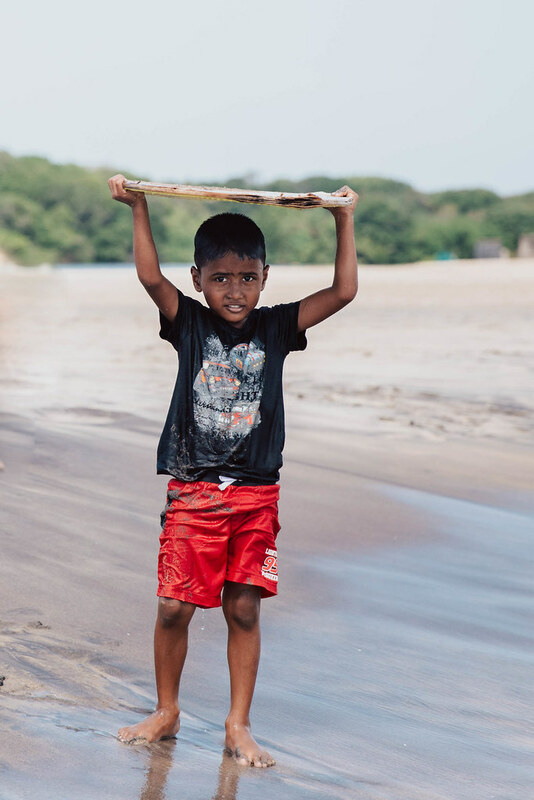 Sri Lanka is often referred to as the Pearl of the Indian Ocean or the teardrop of India. 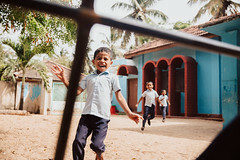 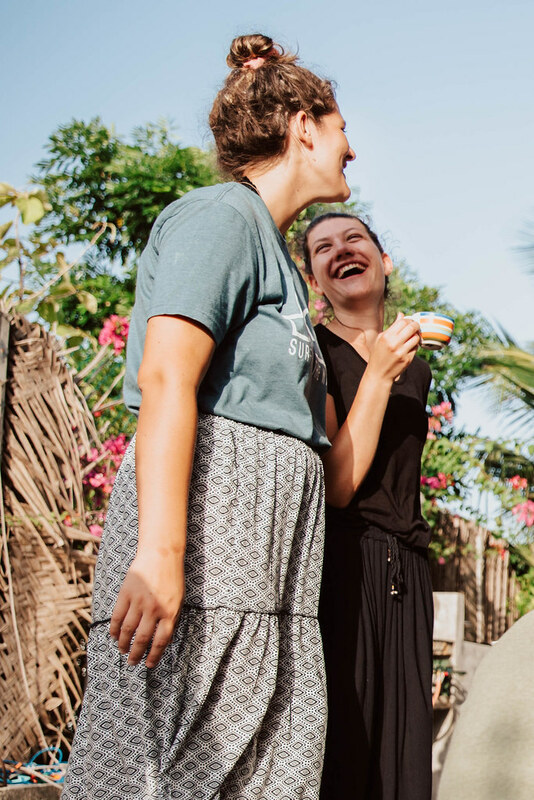 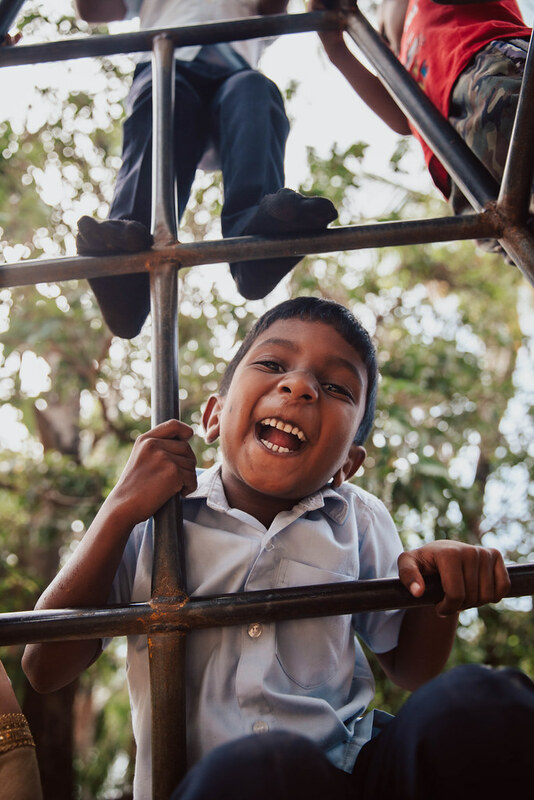 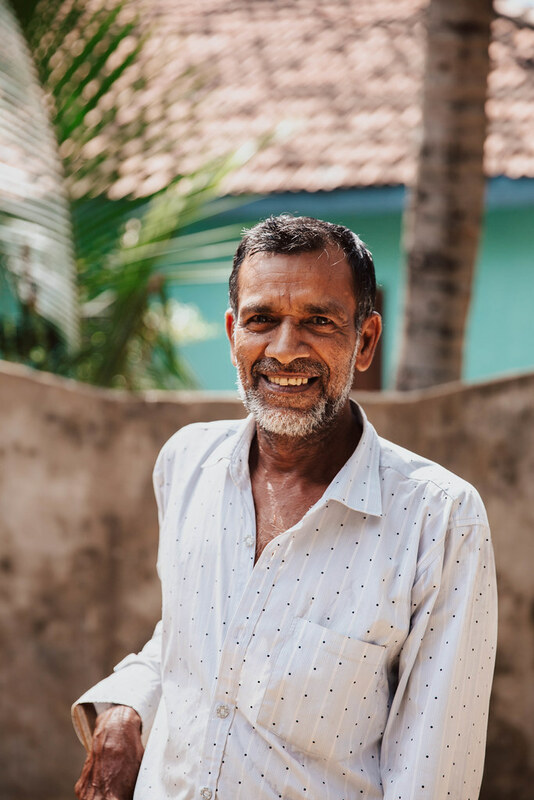 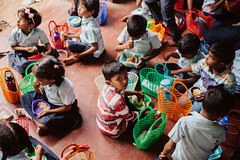 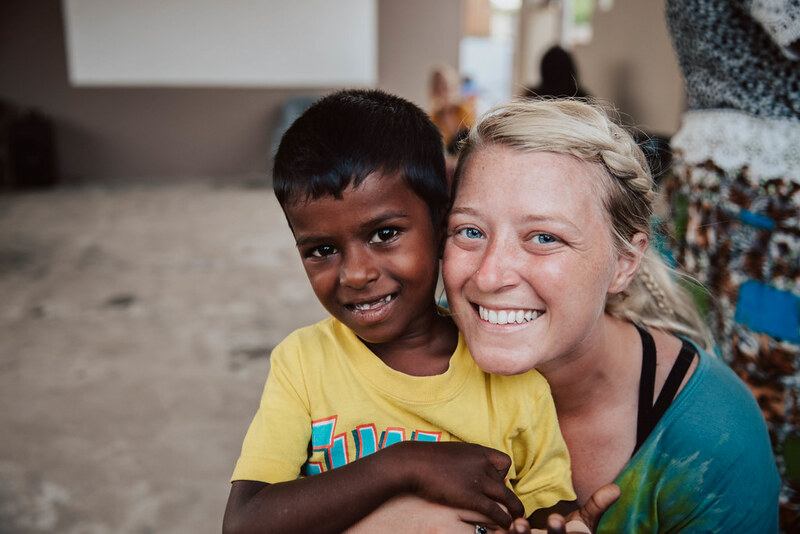 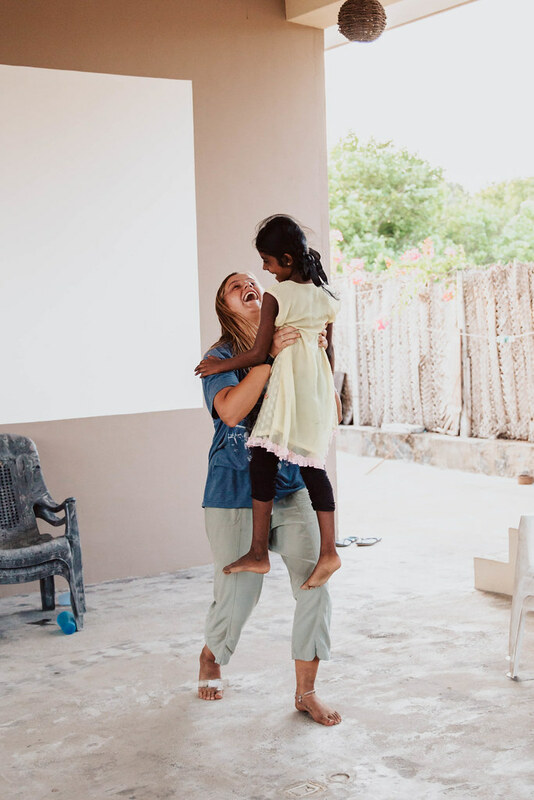 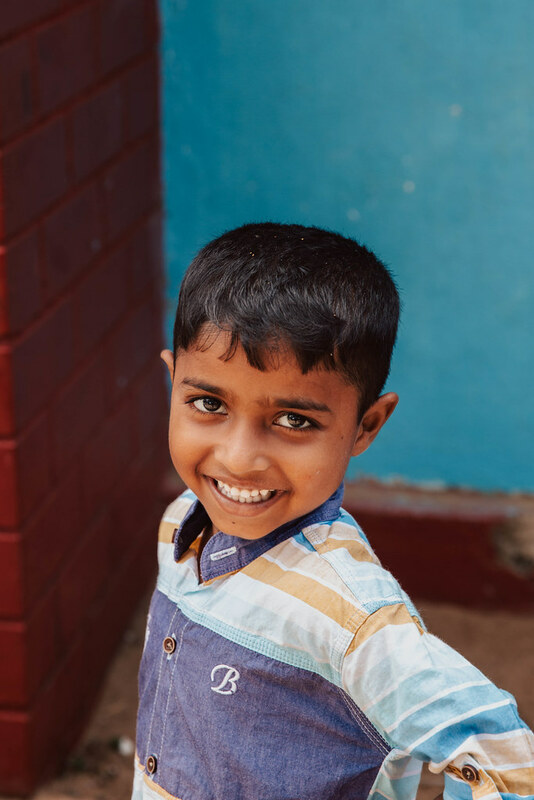 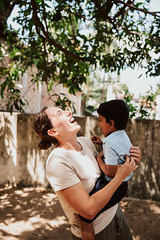 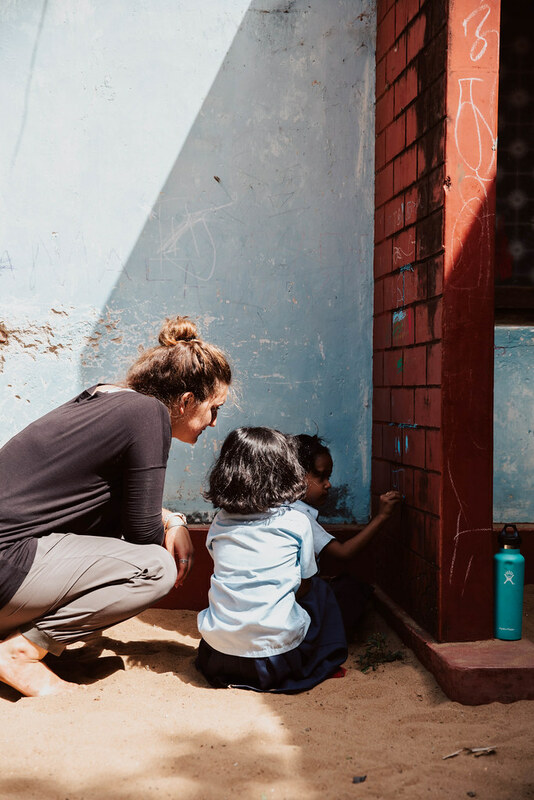 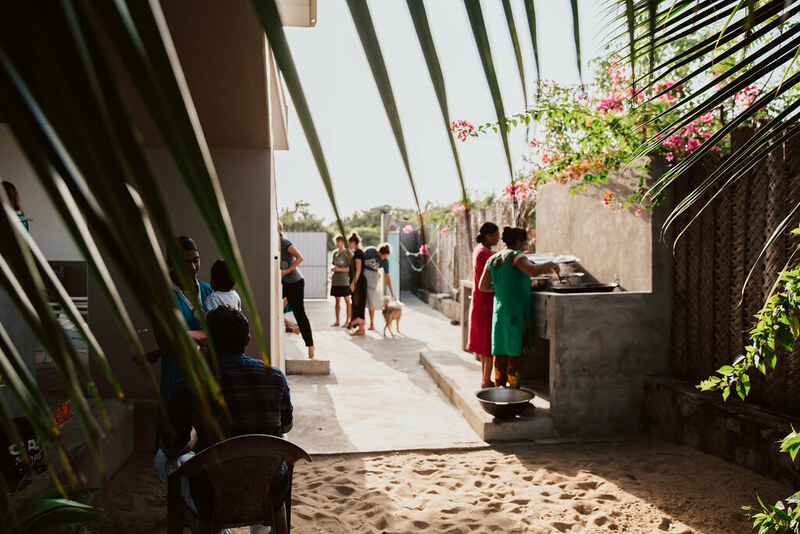 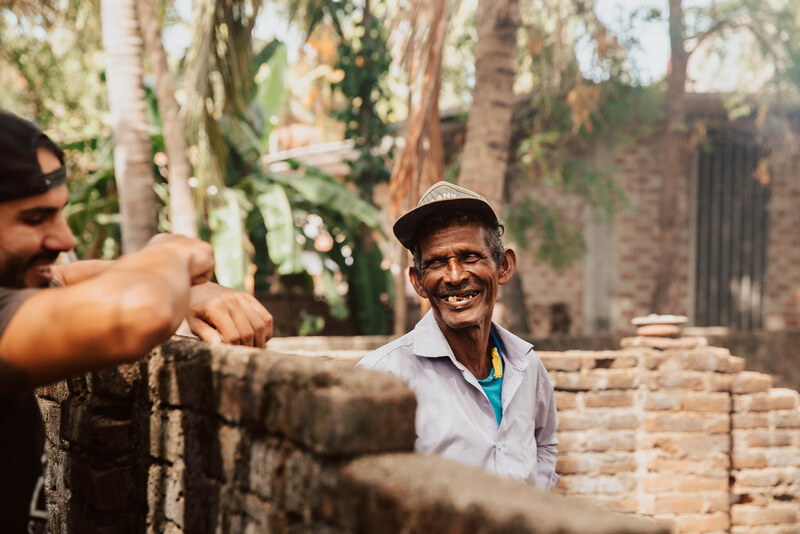 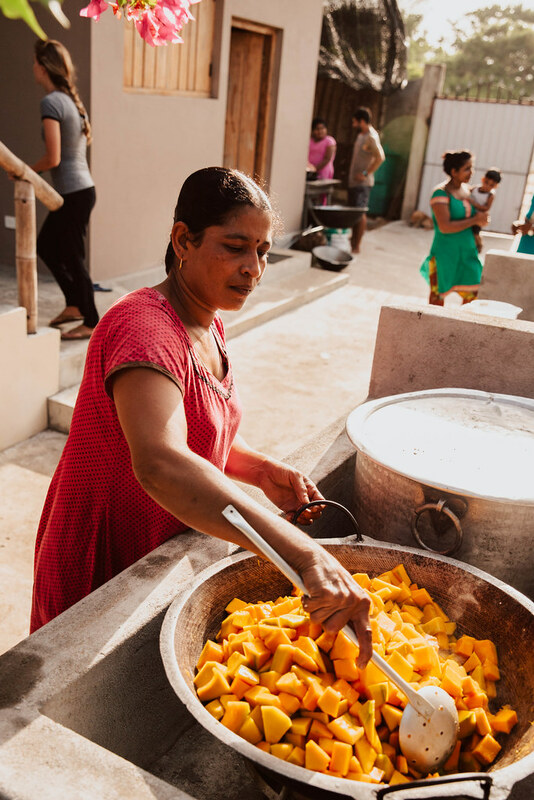 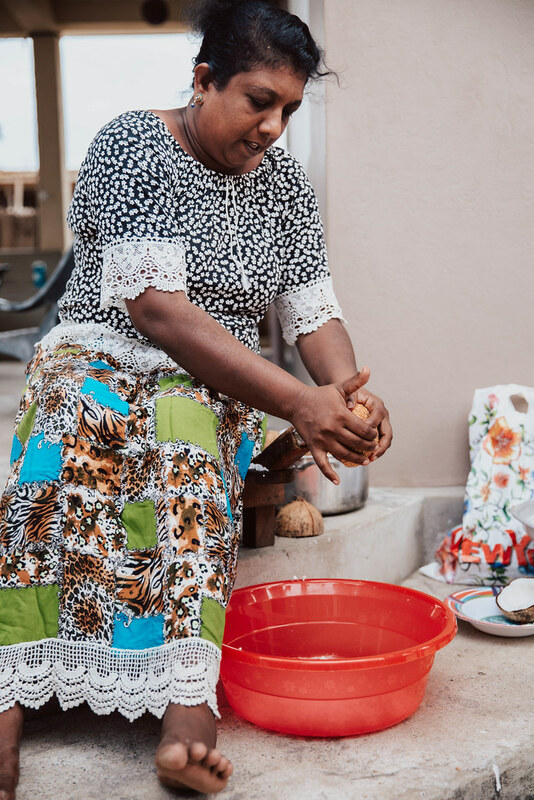 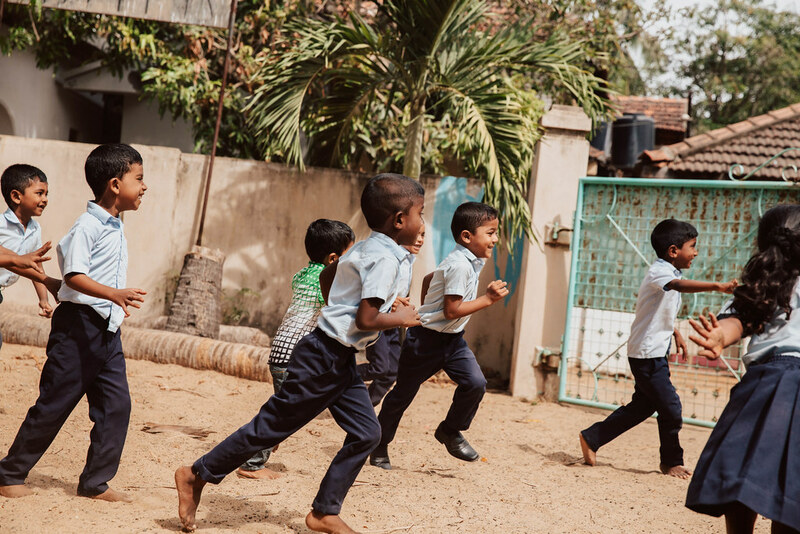 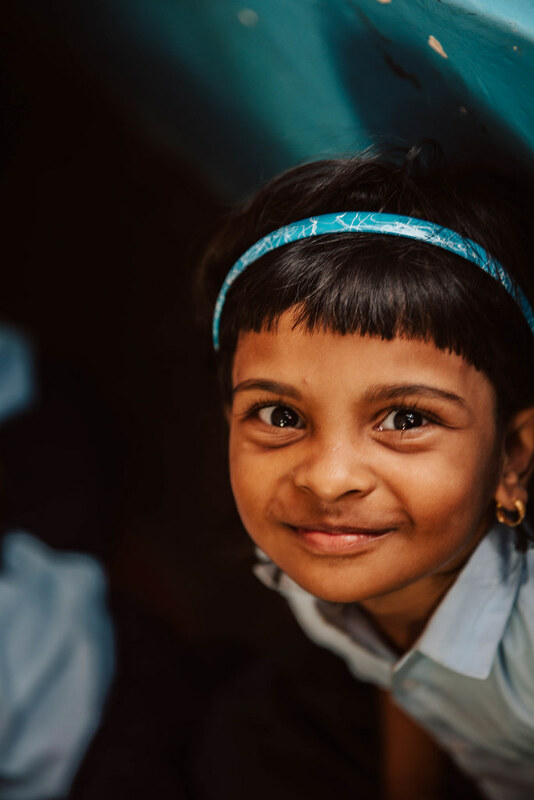 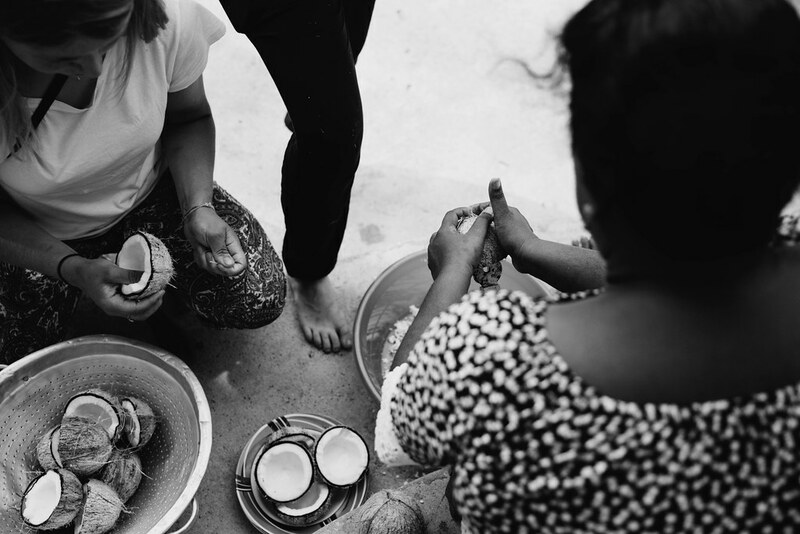 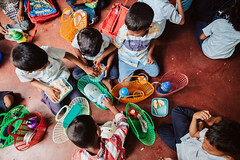 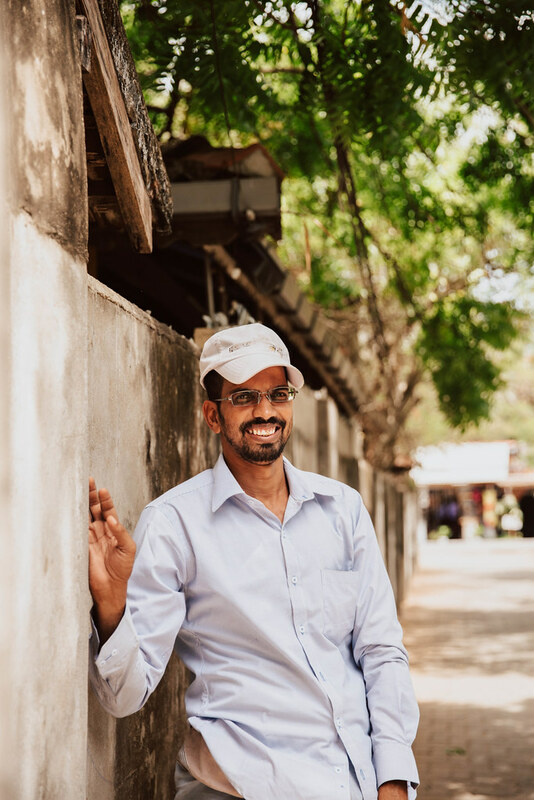 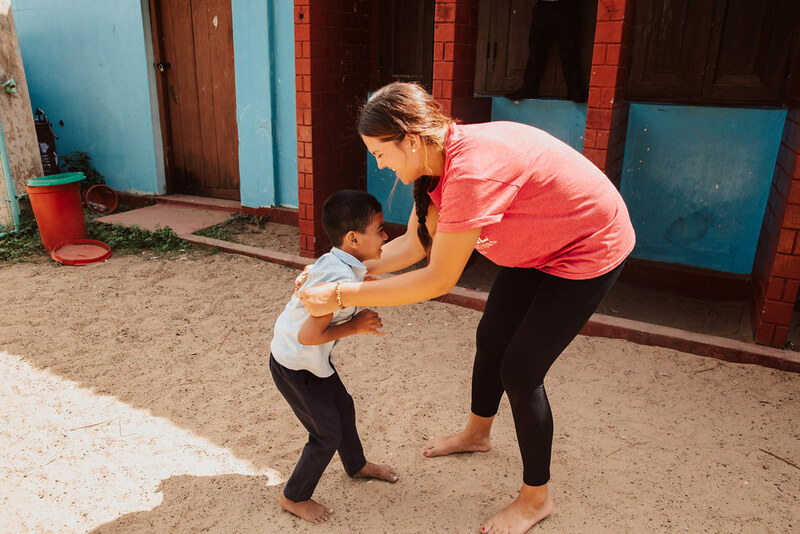 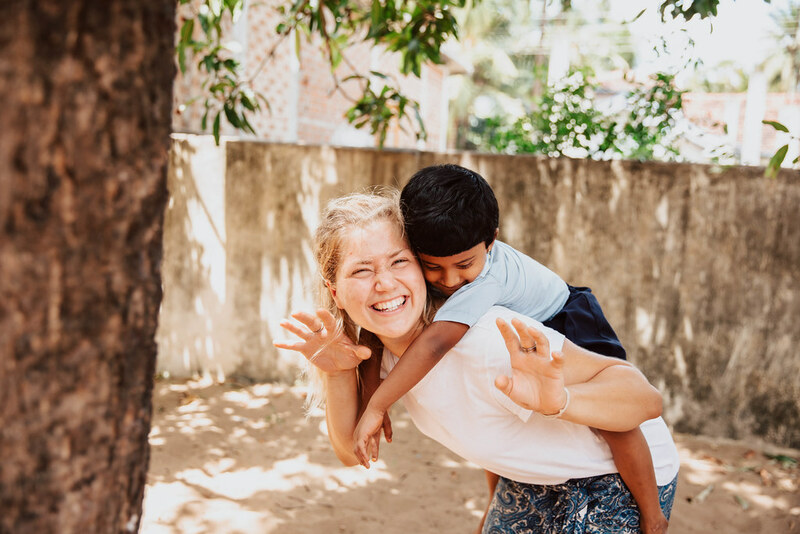 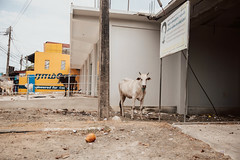 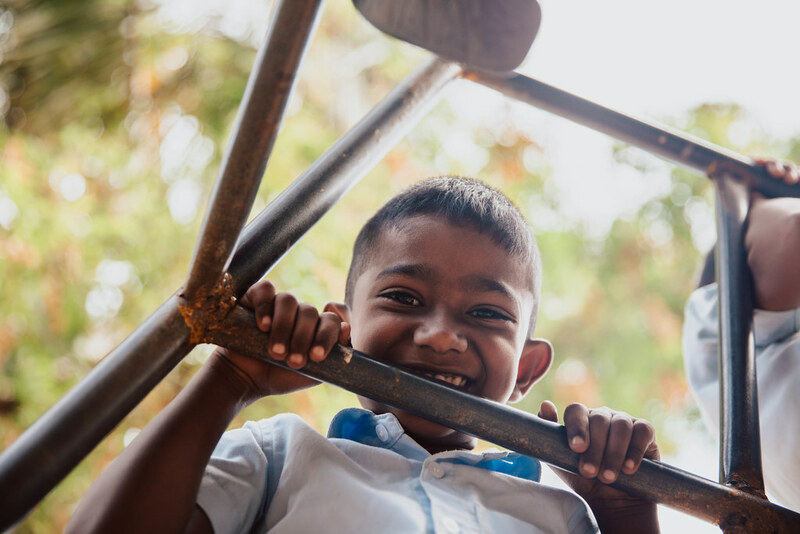 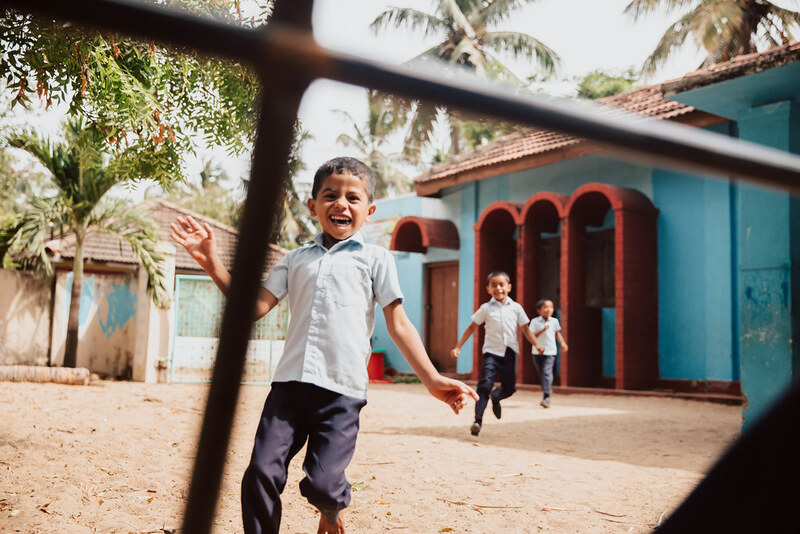 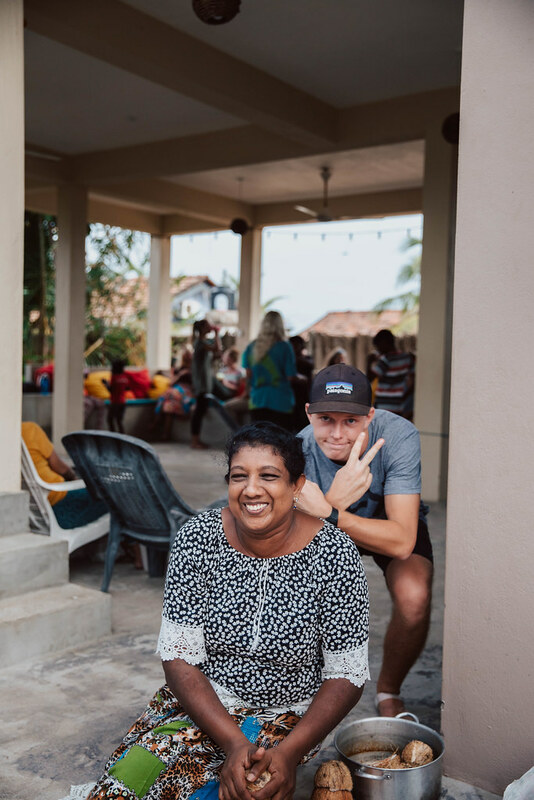 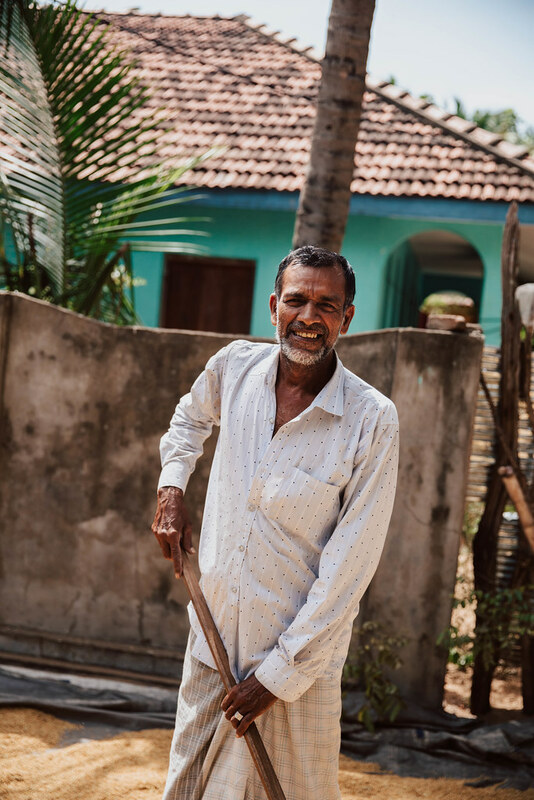 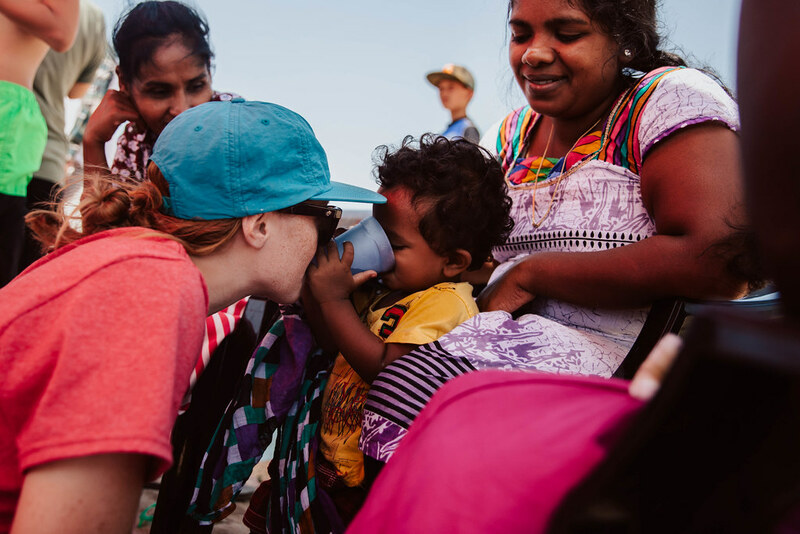 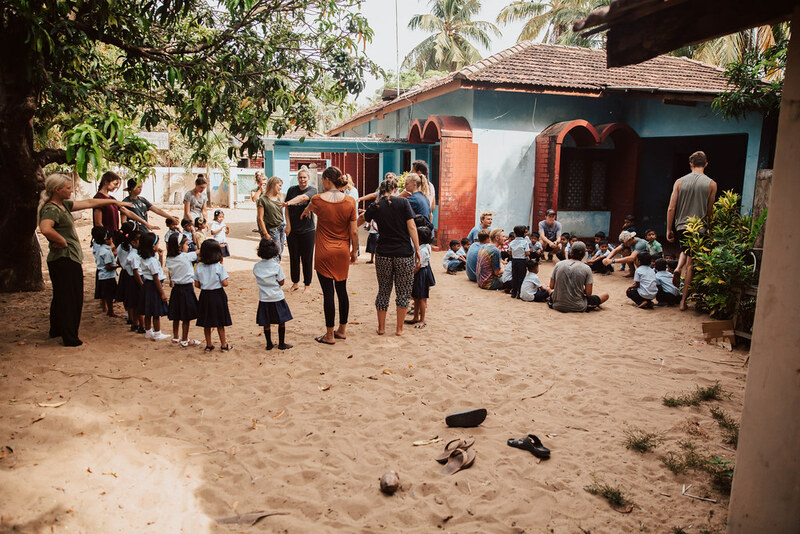 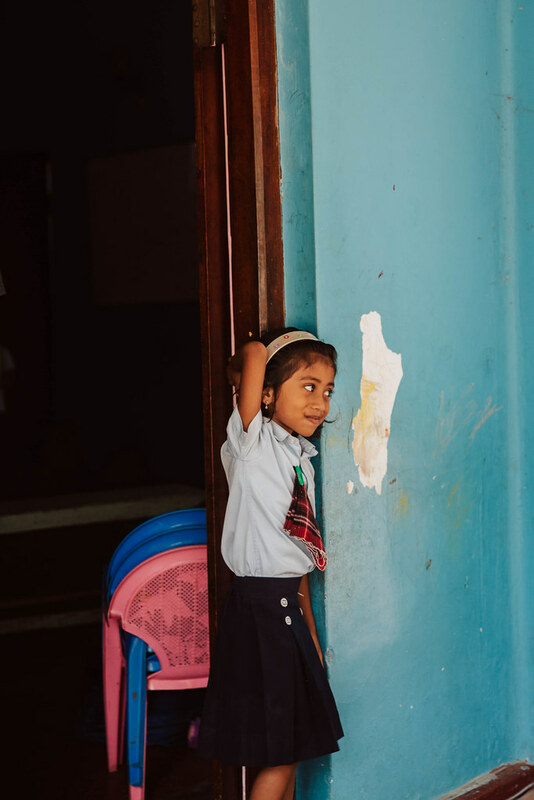 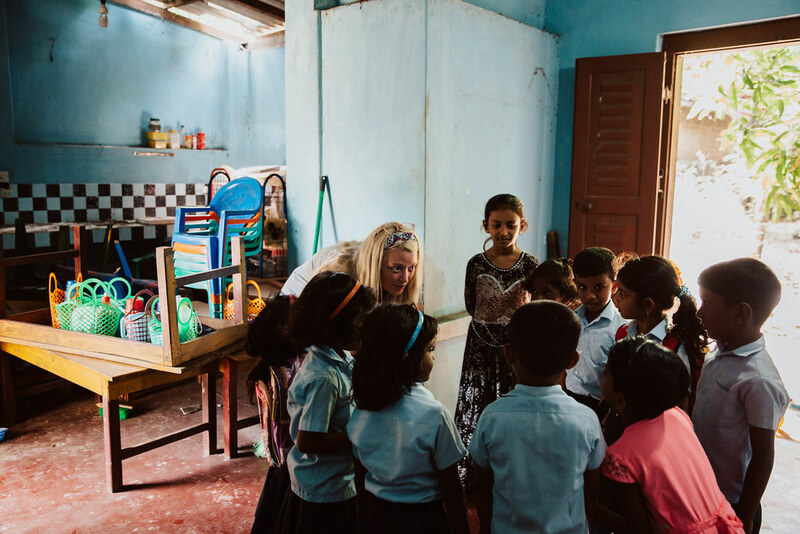 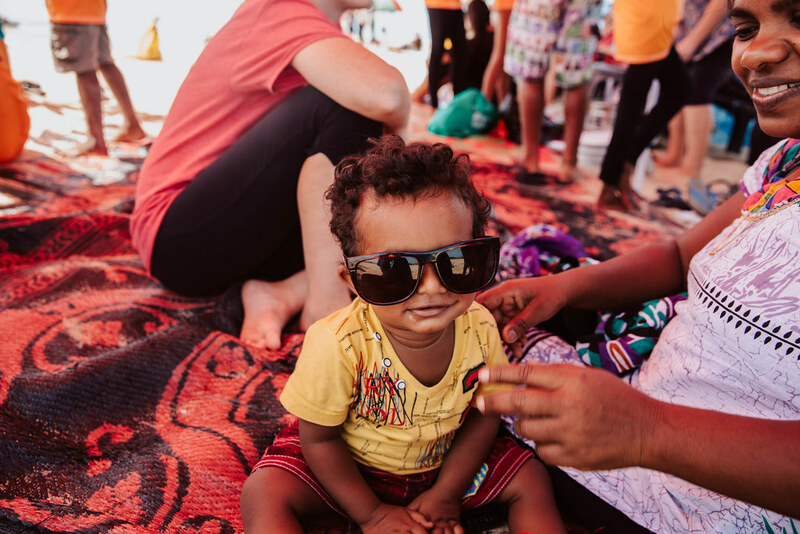 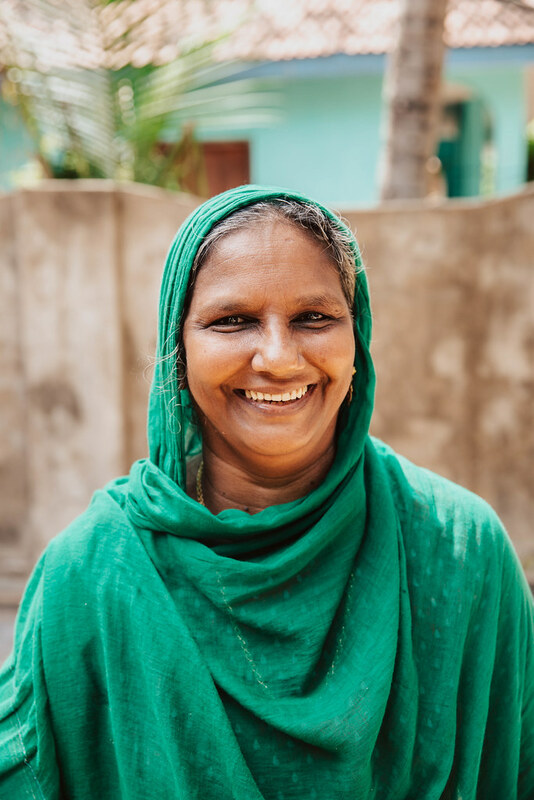 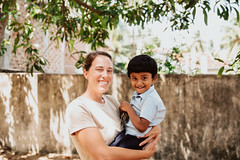 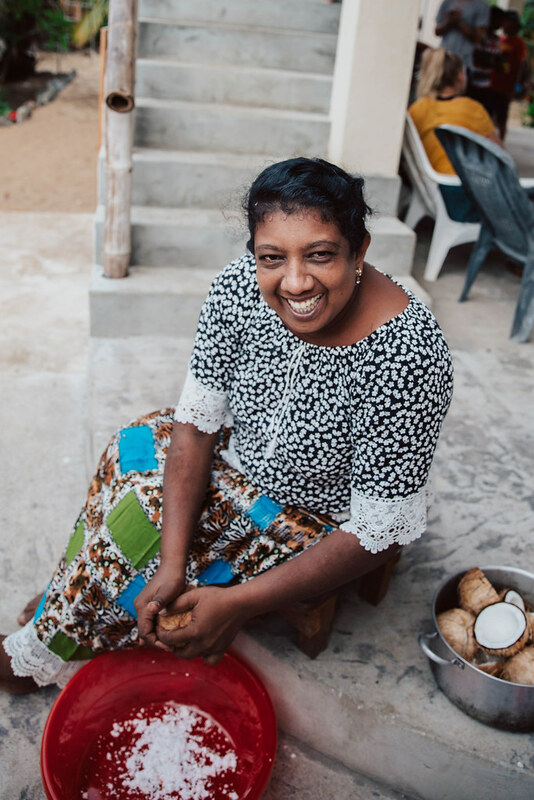 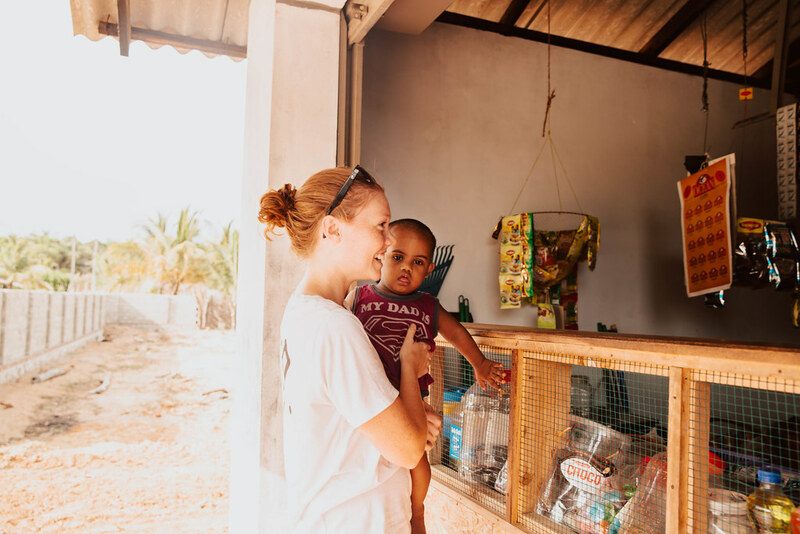 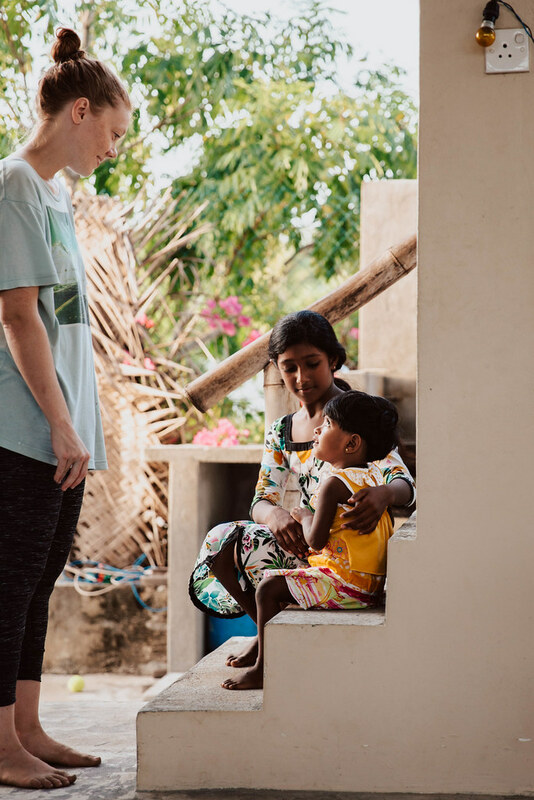 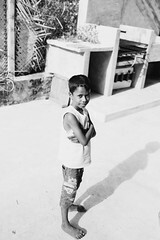 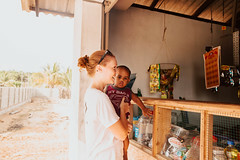 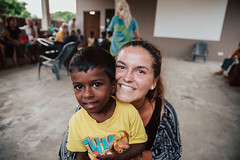 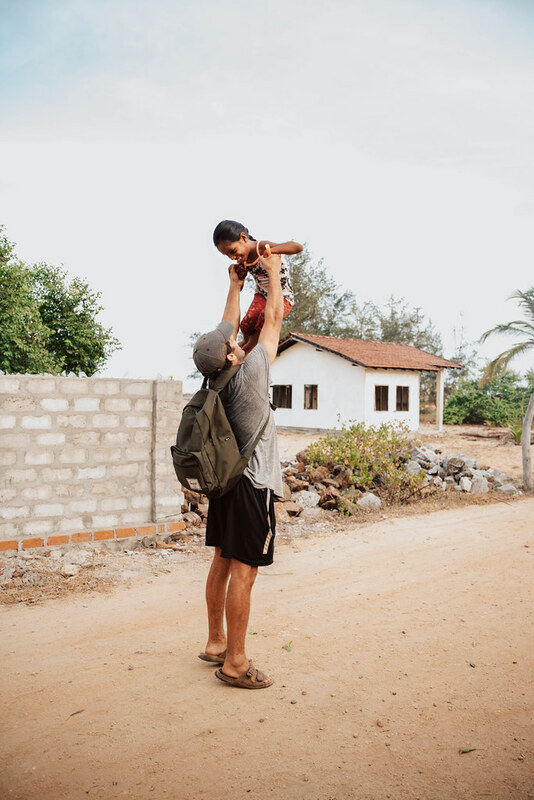 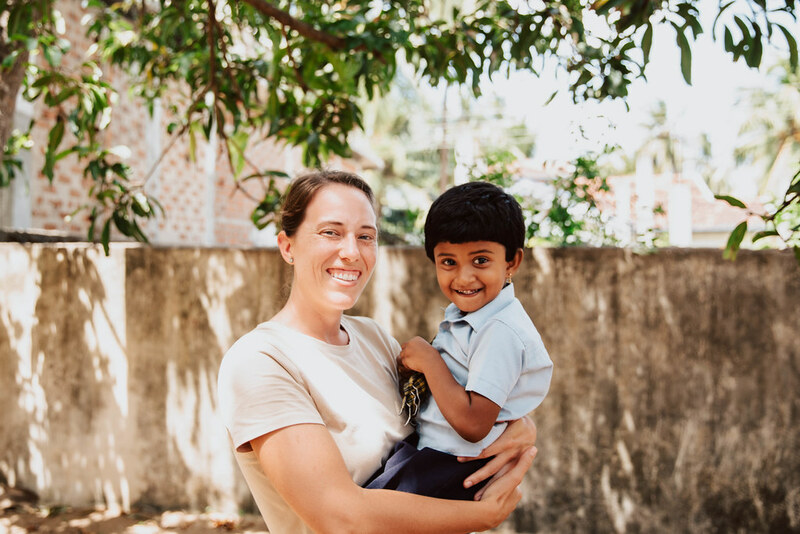 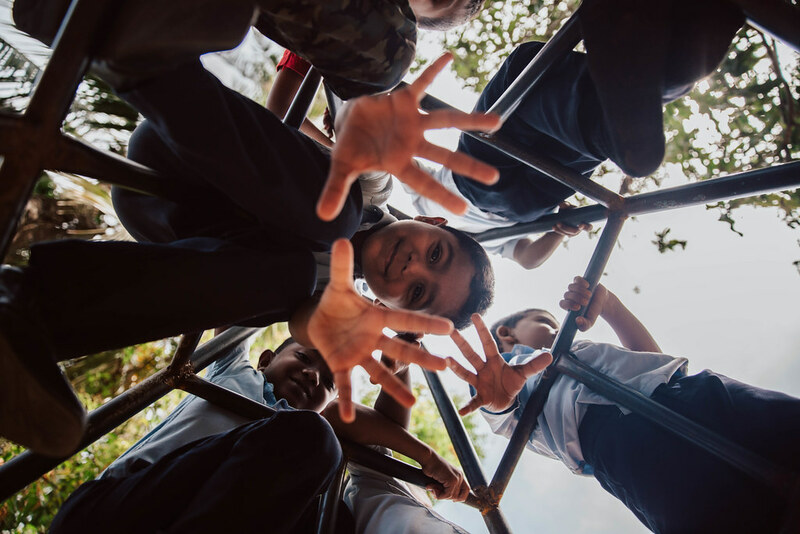 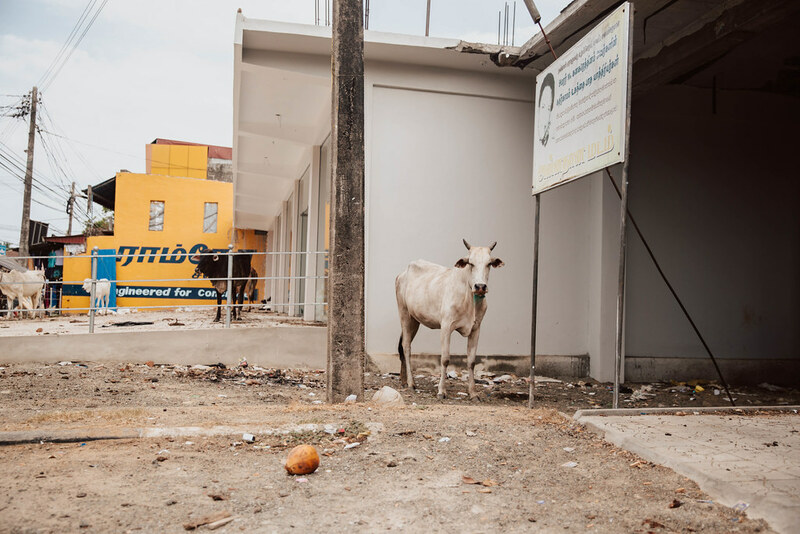 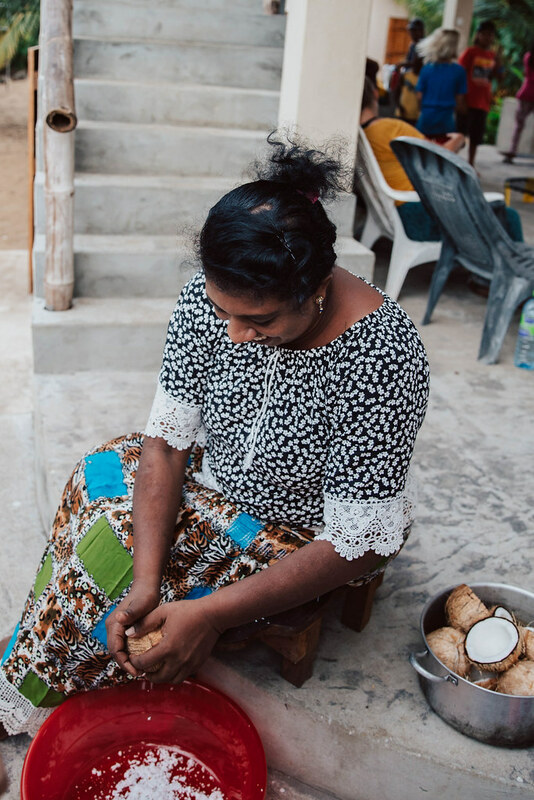 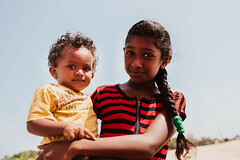 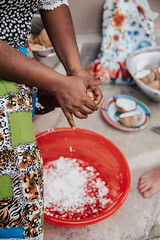 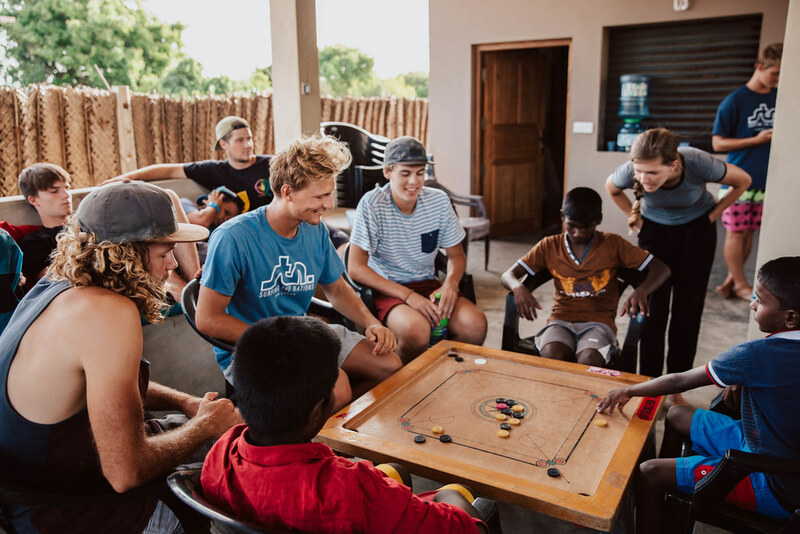 Our mission there is to serve, meet needs and change lives in the community of Arugam Bay. 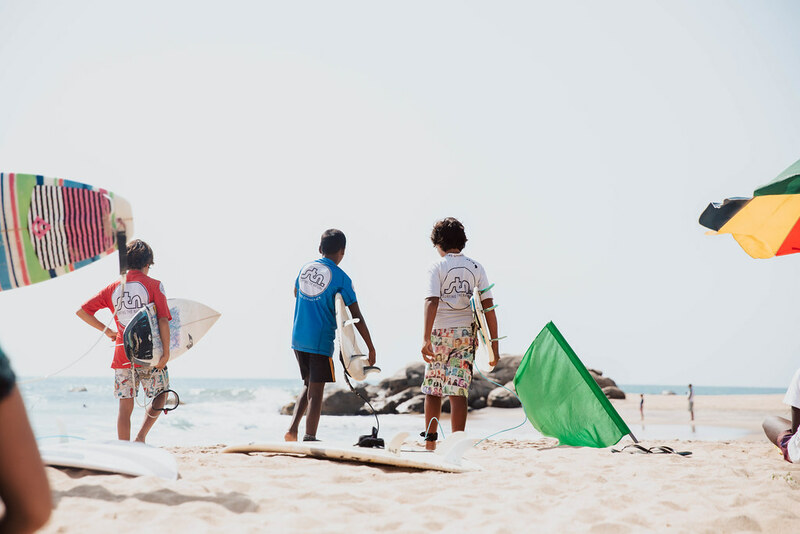 To establish a Surfing The Nations International Surf Base, that will serve the youth of Arugam Bay. 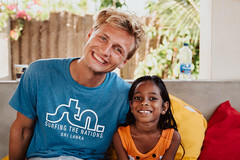 Surfing The Nations went to Sri Lanka in search of waves, back in 1998. 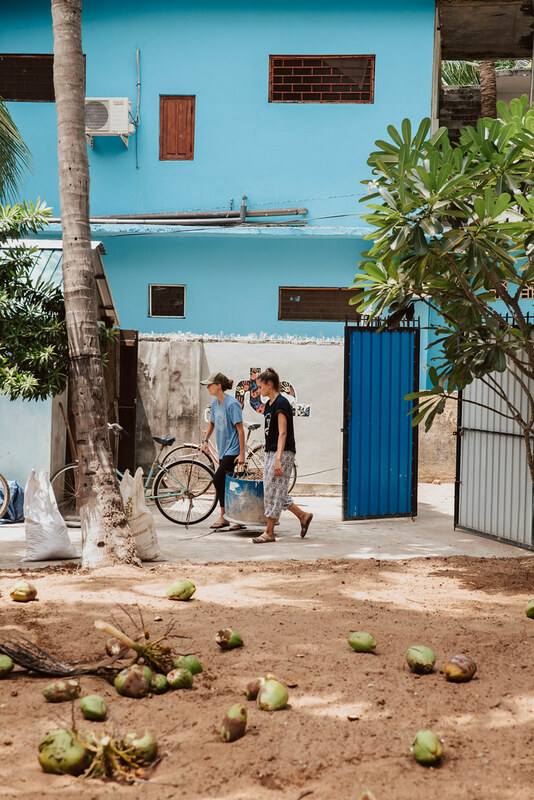 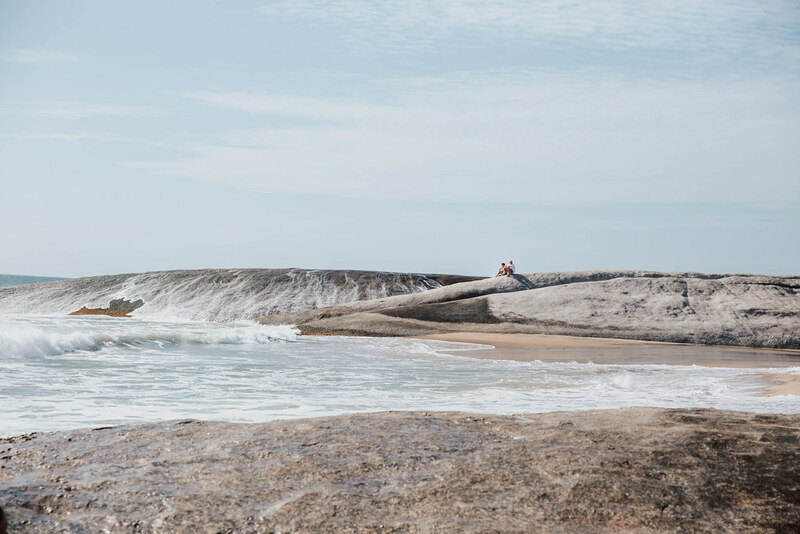 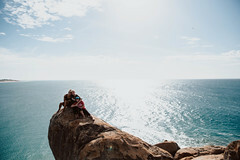 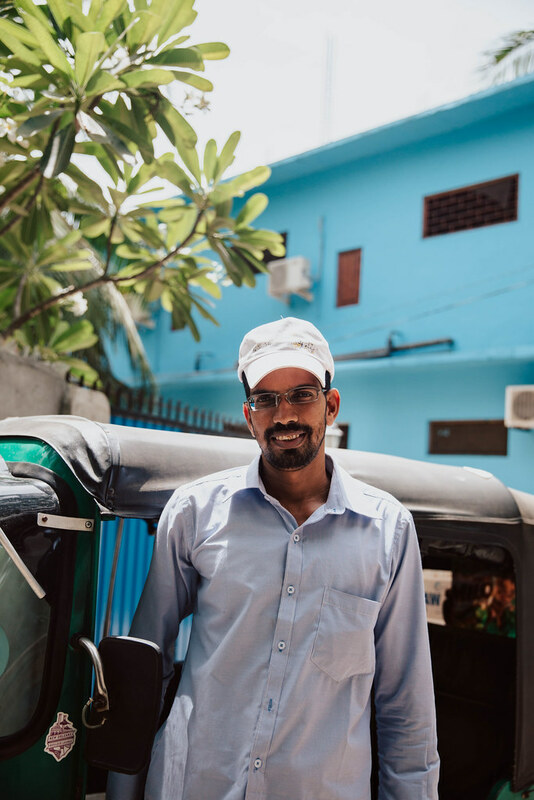 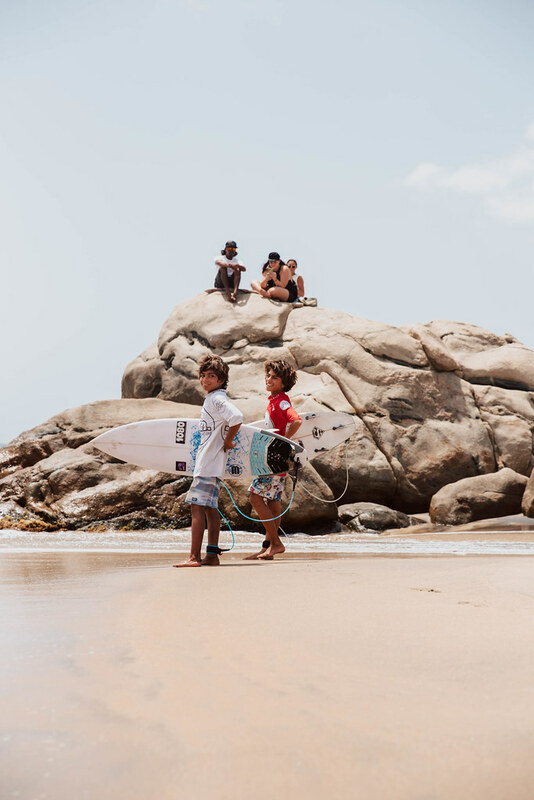 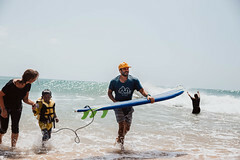 They found a world-class point break, only surfed by a handful of local surfers, and a young man named Johnson Ratnasingam. 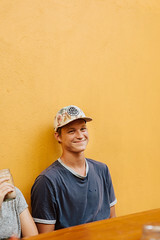 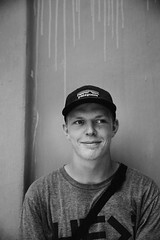 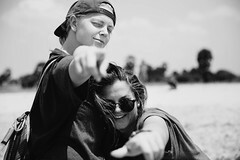 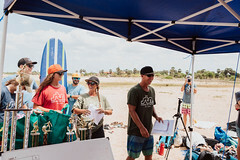 Tom Bauer’s immediate connection with Johnson launched STN into a tight relationship with the surf community. Immediately after the devastating tsunami of 2004, Johnson called STN asking for help. 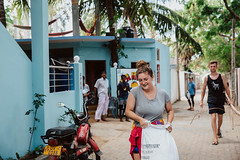 Forty days later STN arrived in Arugam Bay with a team ready to serve. 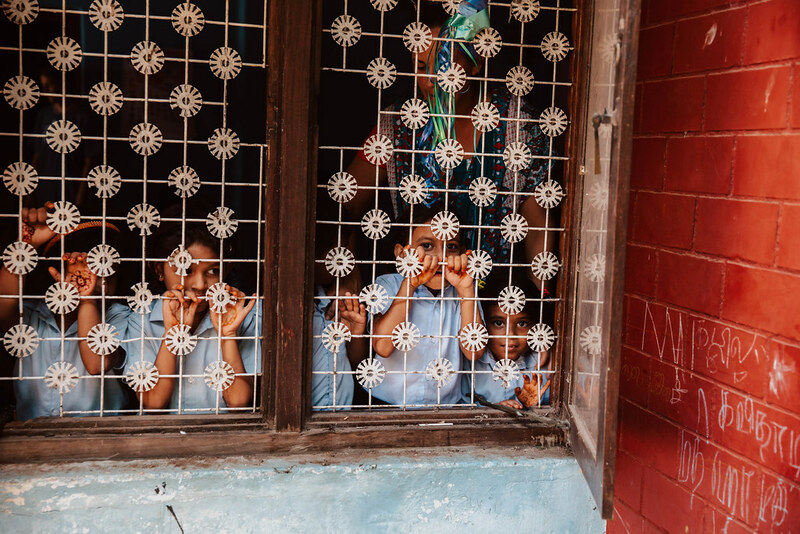 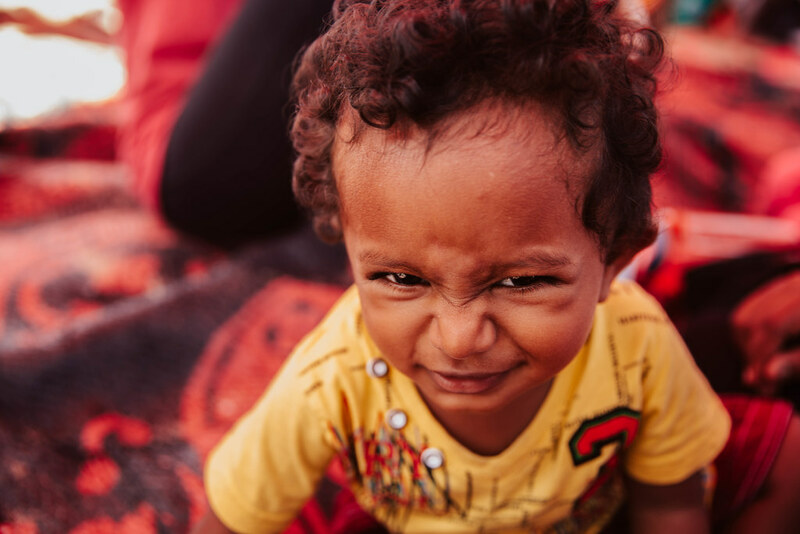 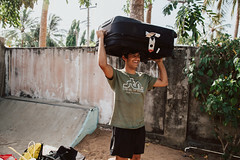 They came with suitcases packed with clothes, toys, basic living supplies, and hands willing to work. 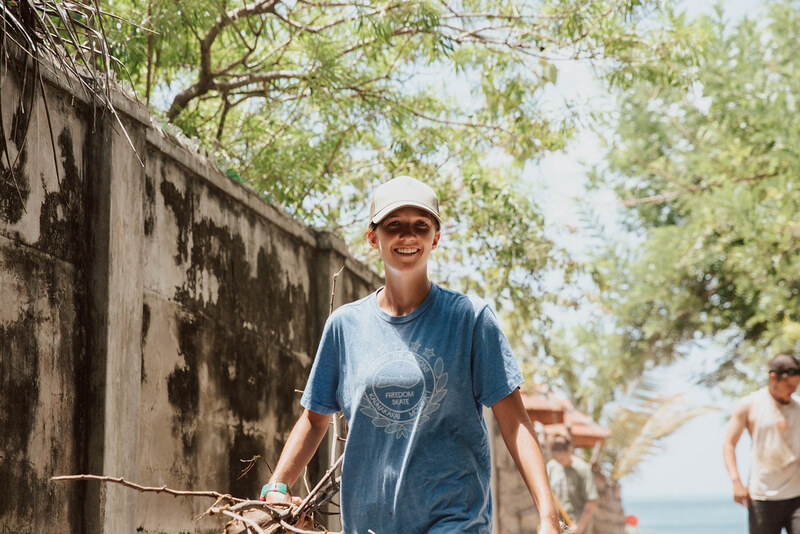 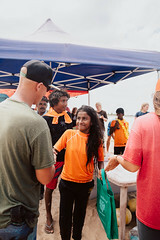 Joining the relief effort of the devastated coastal community connected STN to the families and surfers whose lives were forever changed. 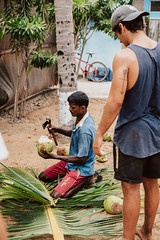 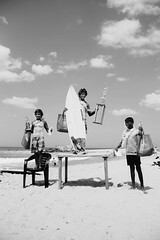 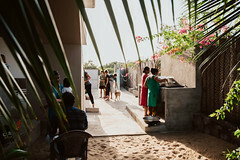 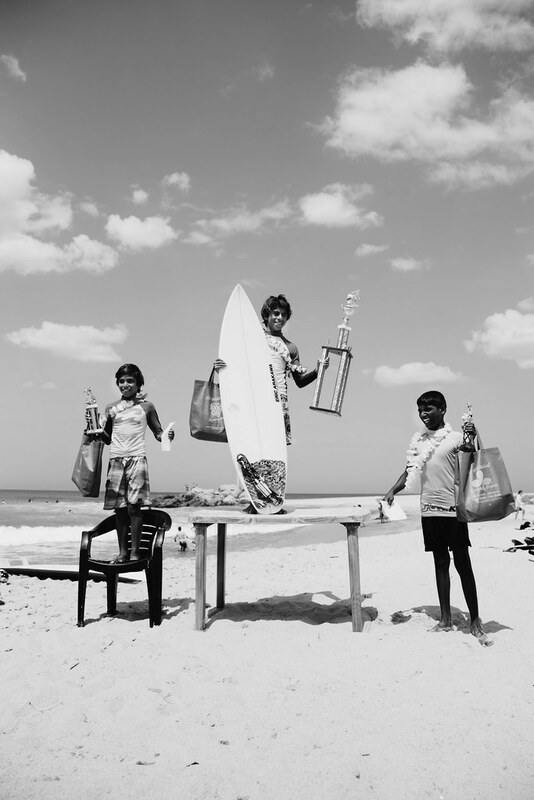 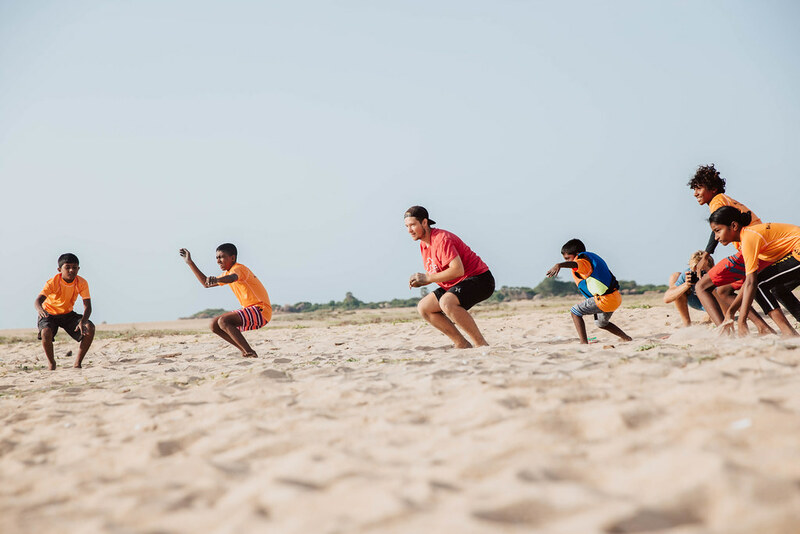 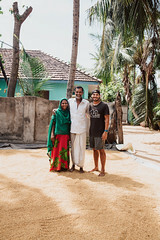 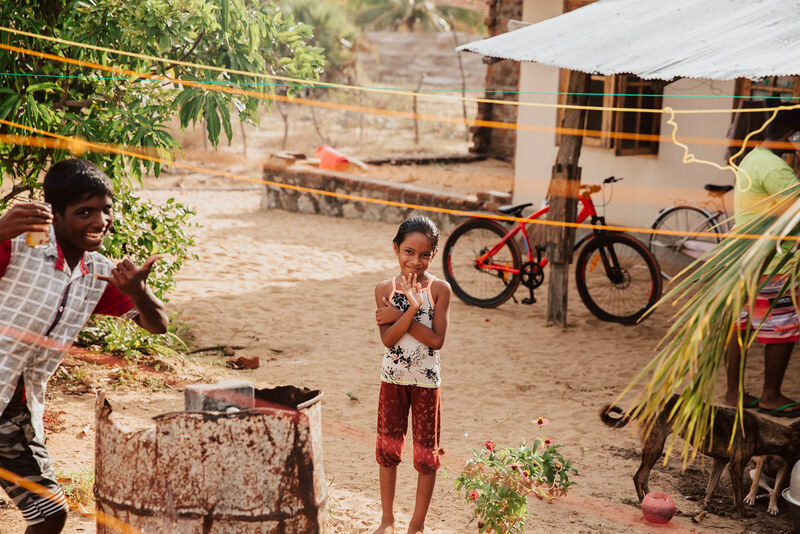 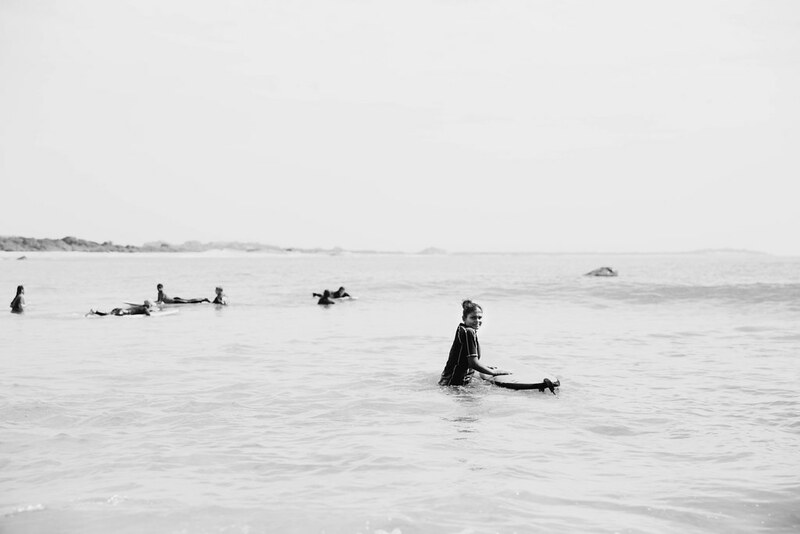 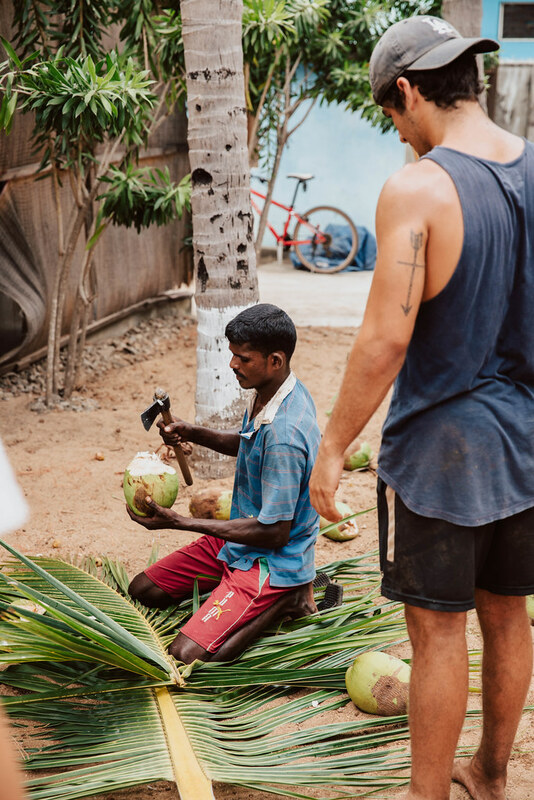 Willingness to remove debris, play games with the kids, and help pick up the pieces emotionally and physically for many, forever united STN with the locals of Arugam Bay Surfing The Nations purchased a small plot of land, along the coast of Arugam Bay, and so established their first International Surf Base. 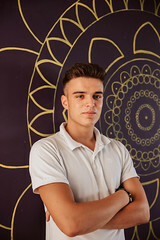 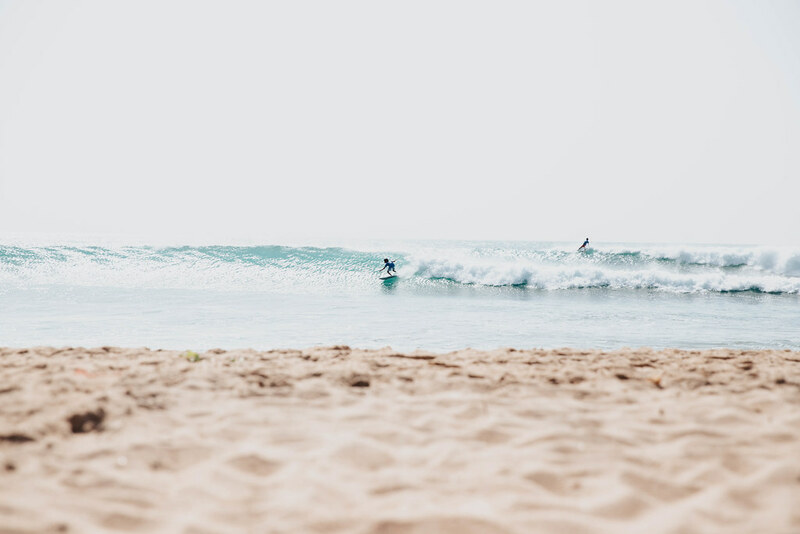 We have a beautiful Surf Base that is tended to be members of the community, who keep up the grounds. We make annual trips that are filled with surfing, adventure, community development and “giving back”. 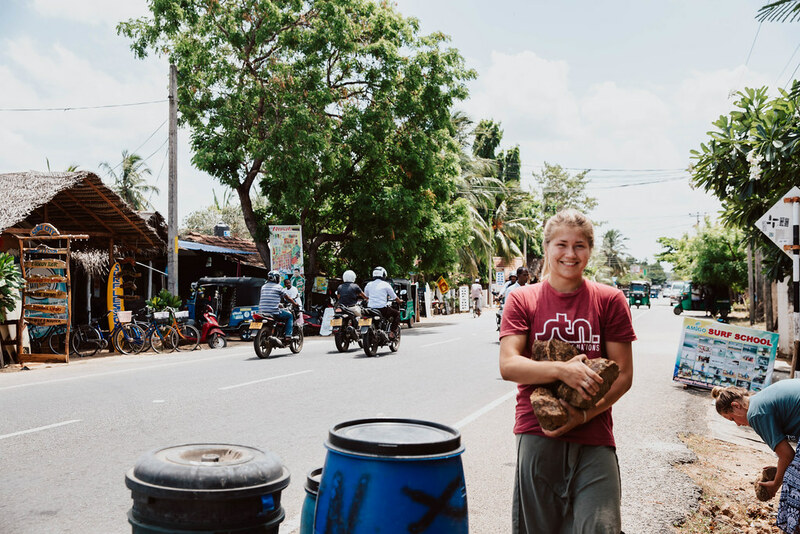 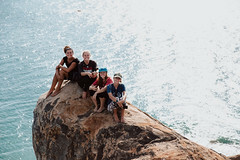 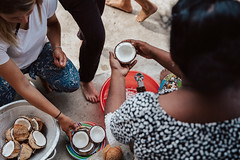 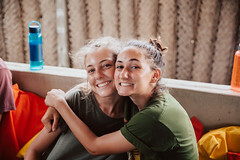 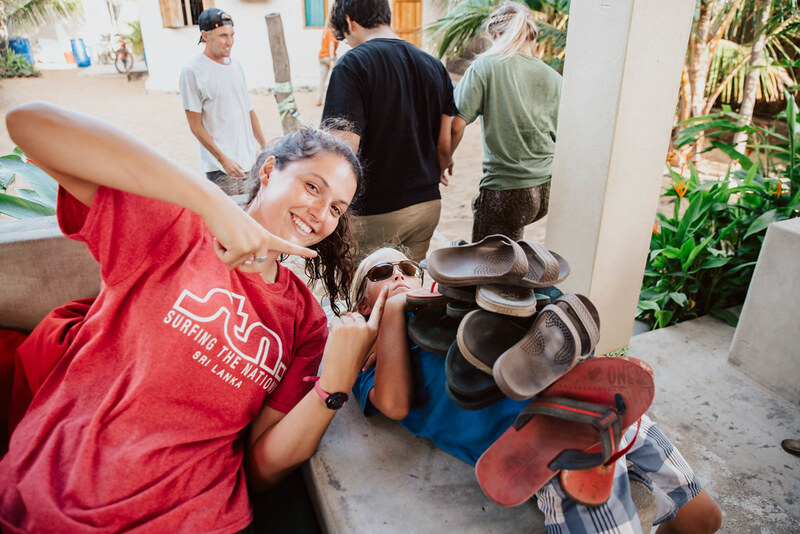 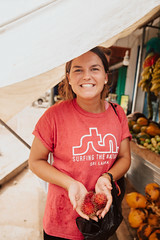 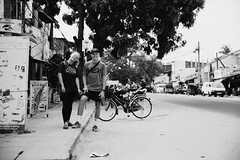 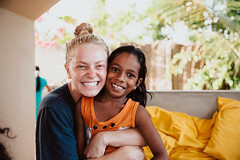 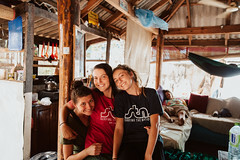 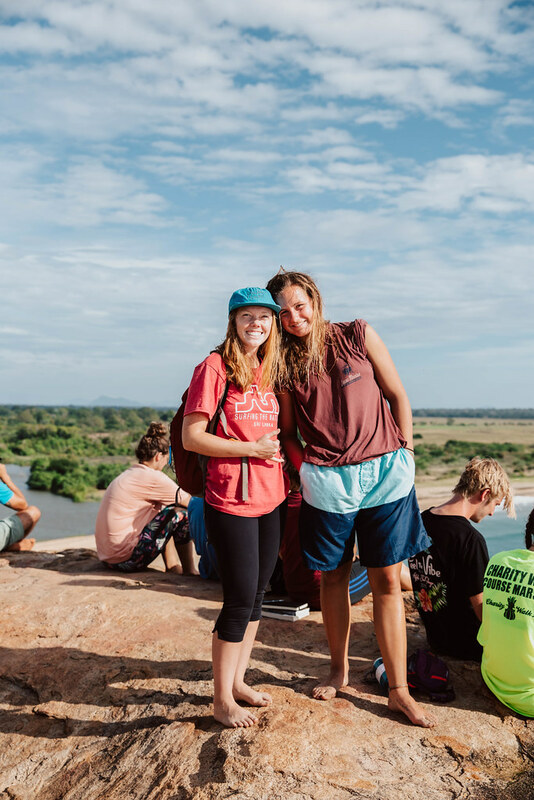 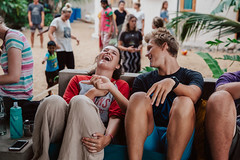 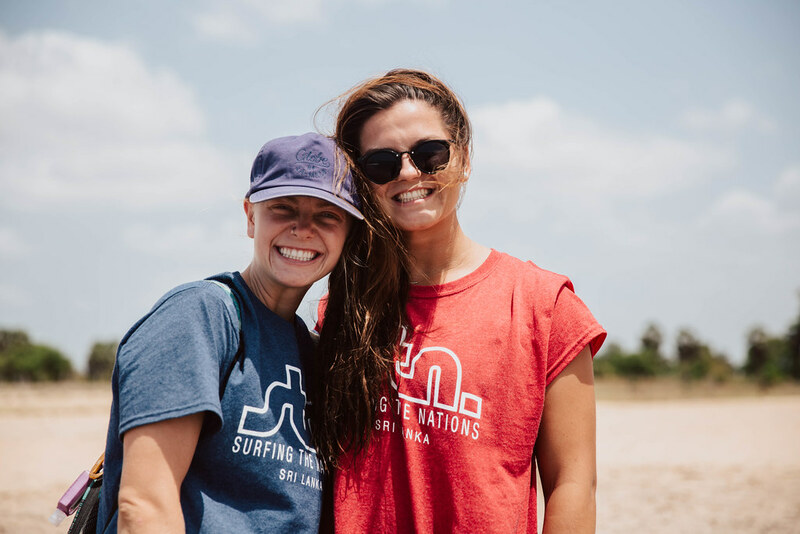 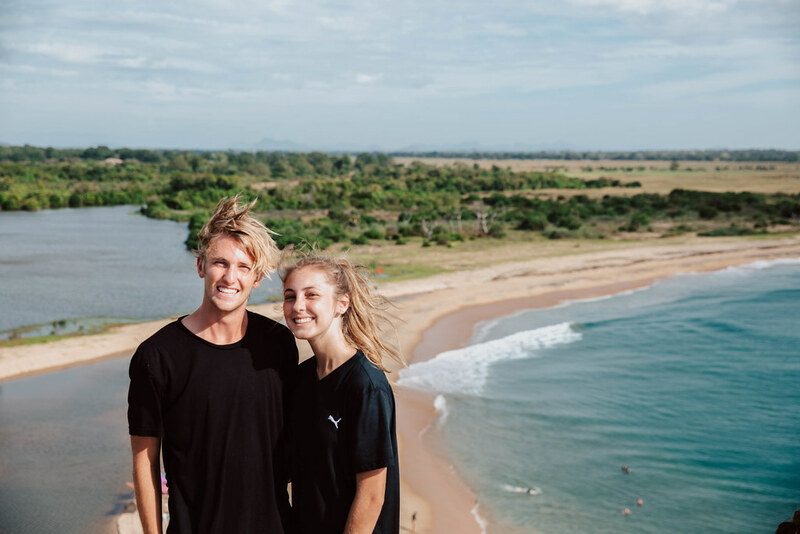 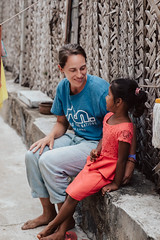 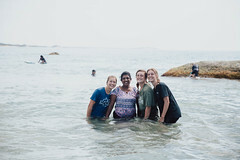 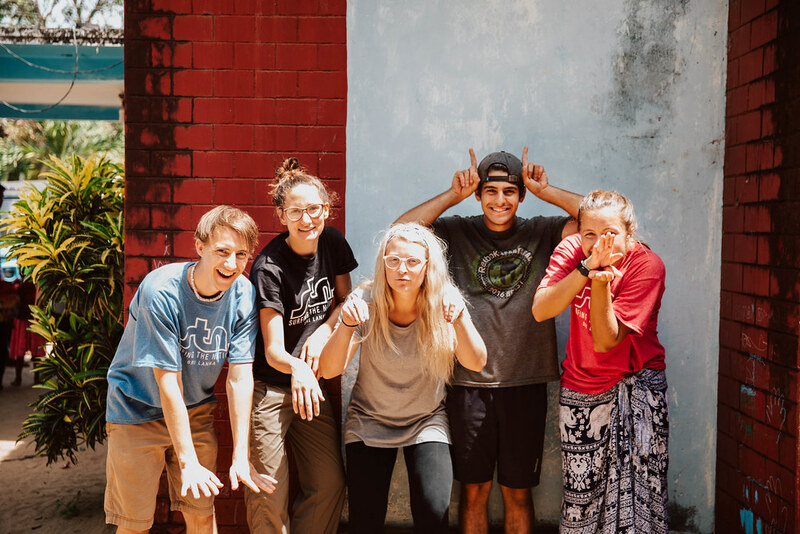 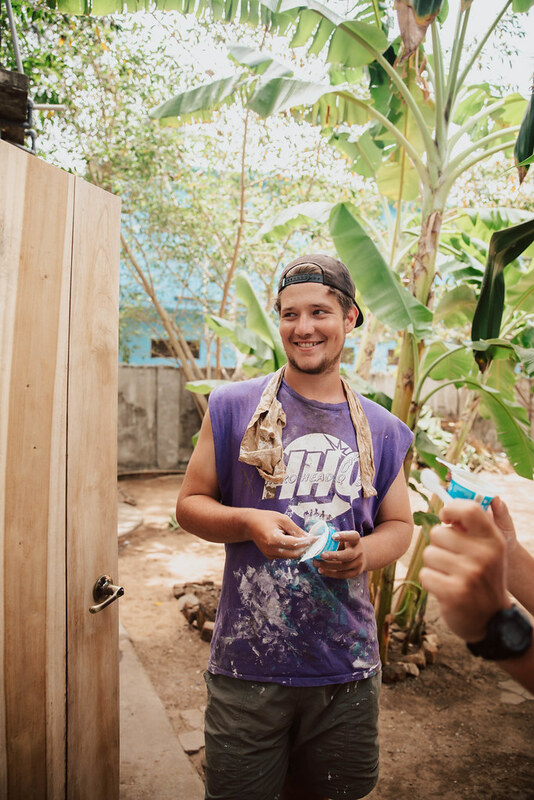 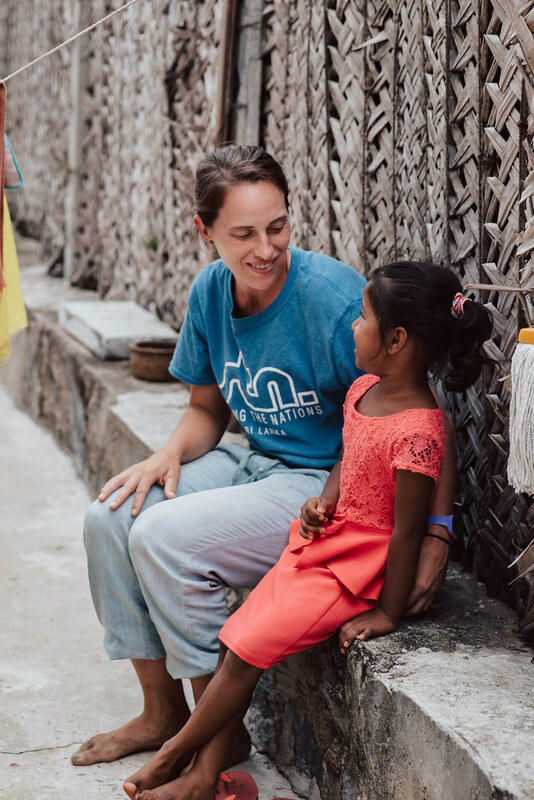 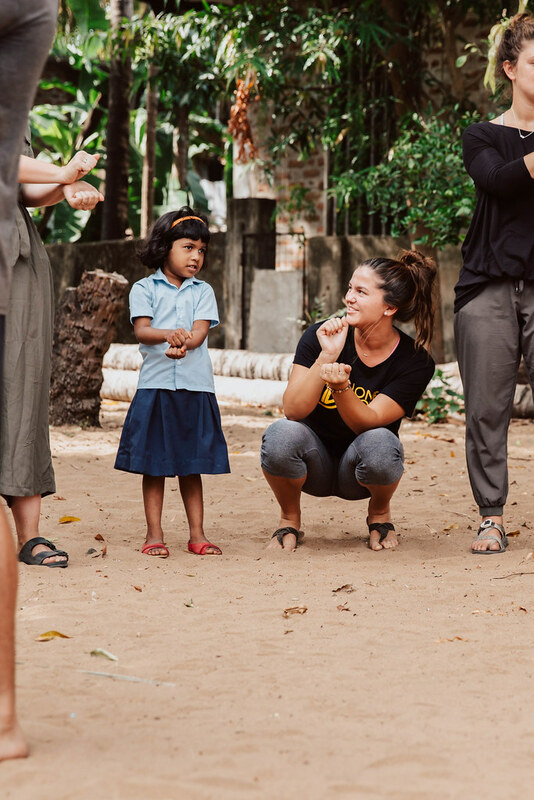 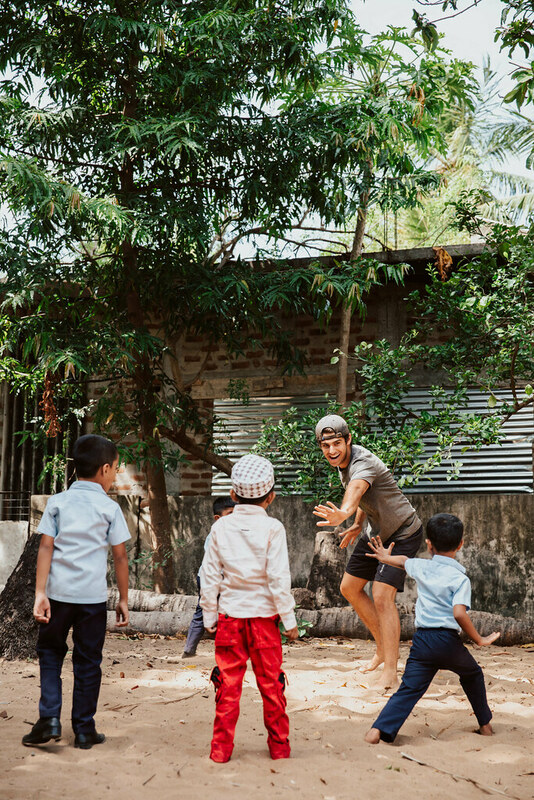 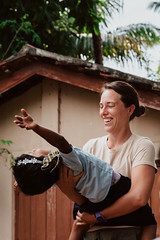 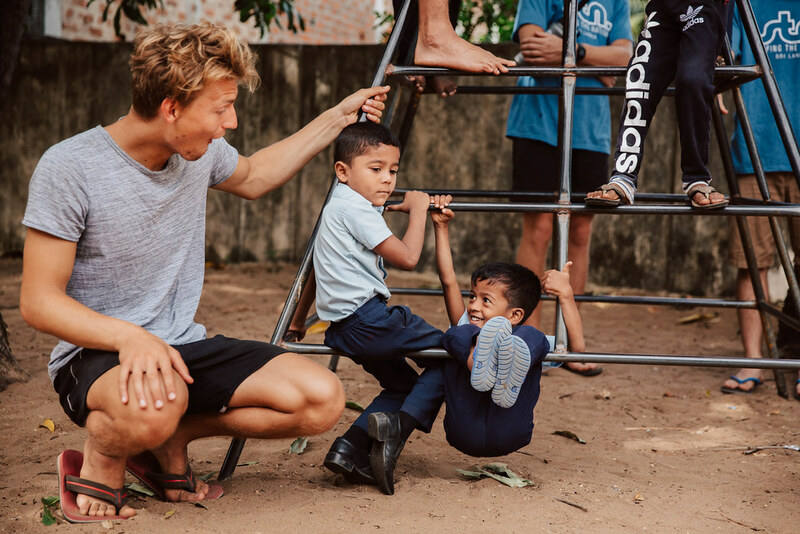 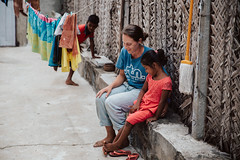 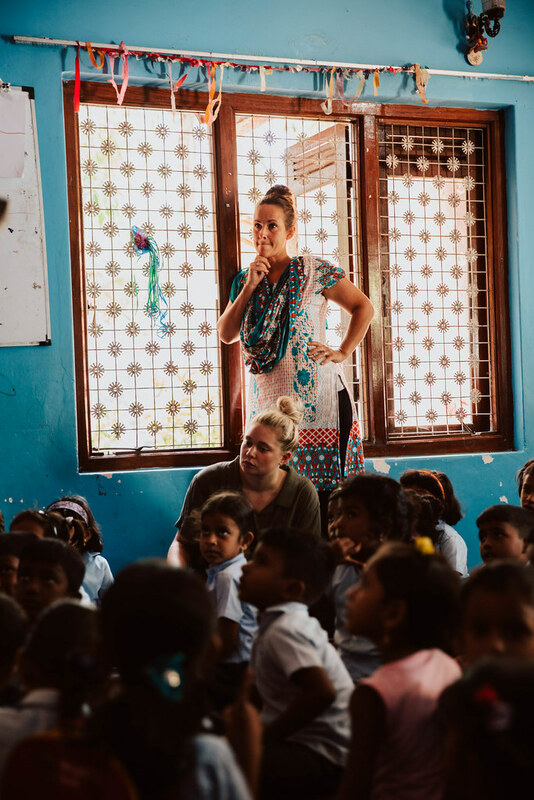 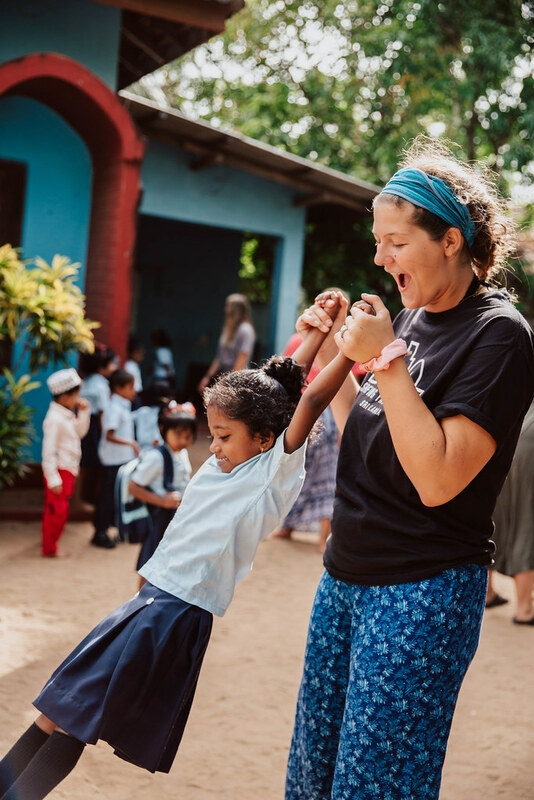 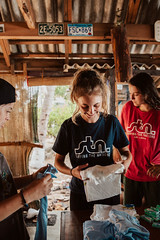 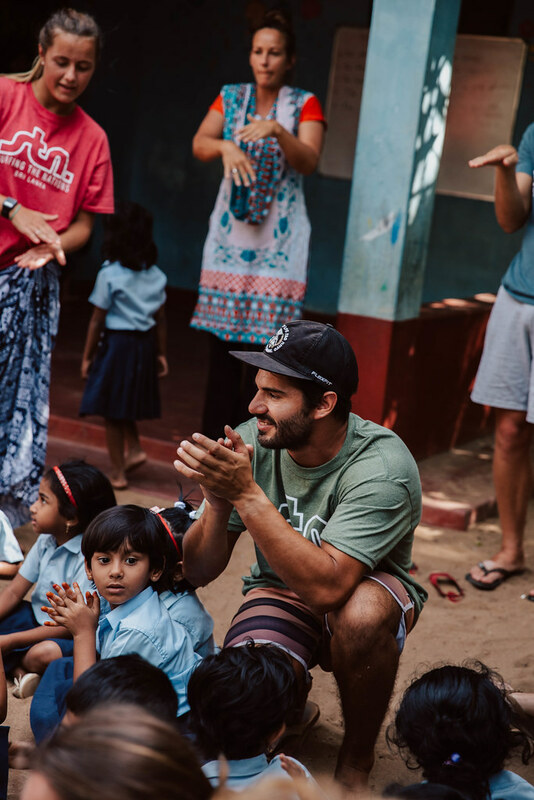 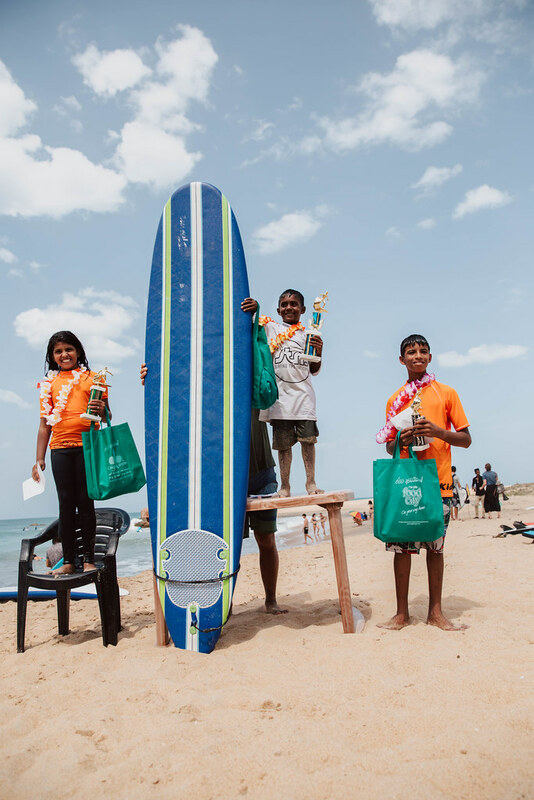 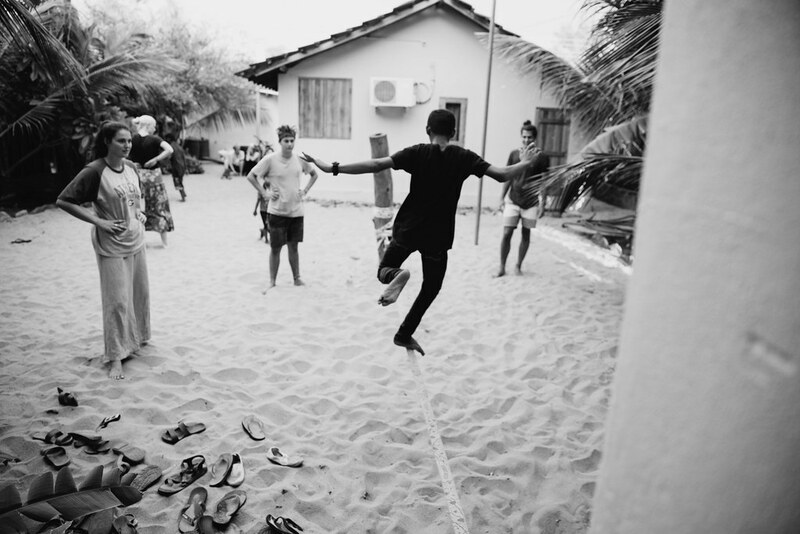 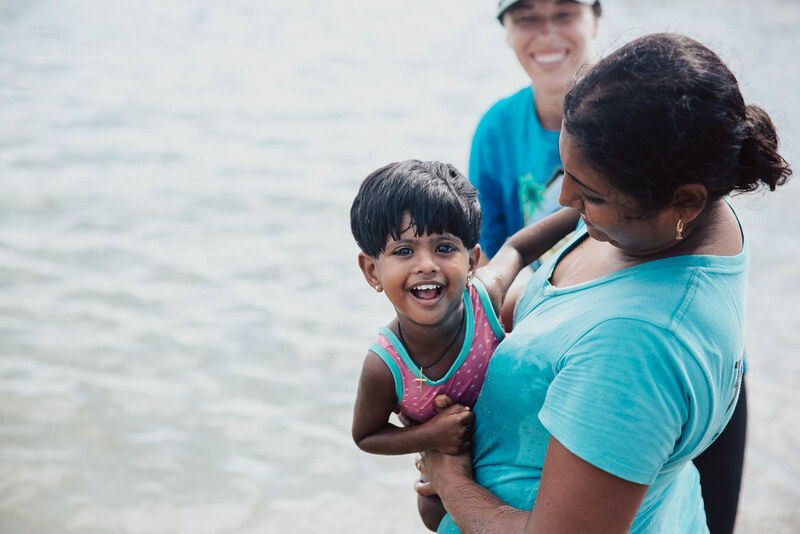 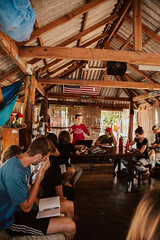 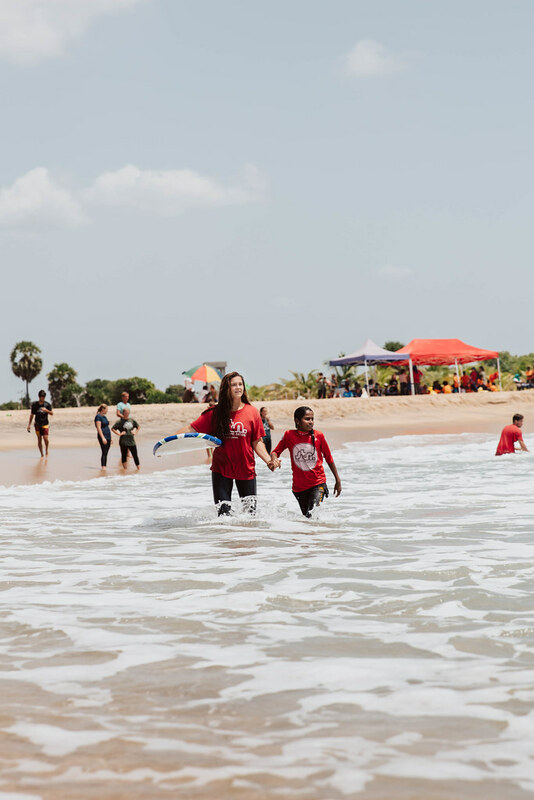 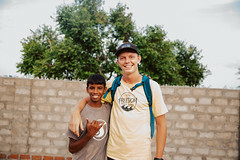 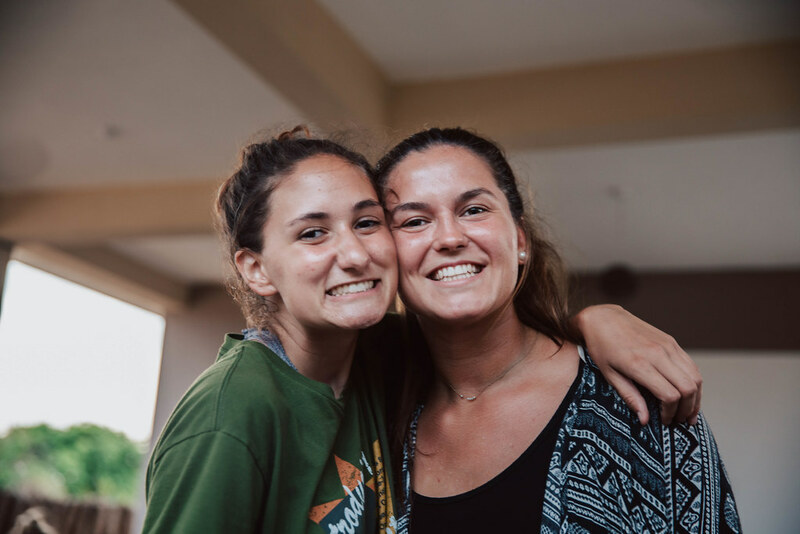 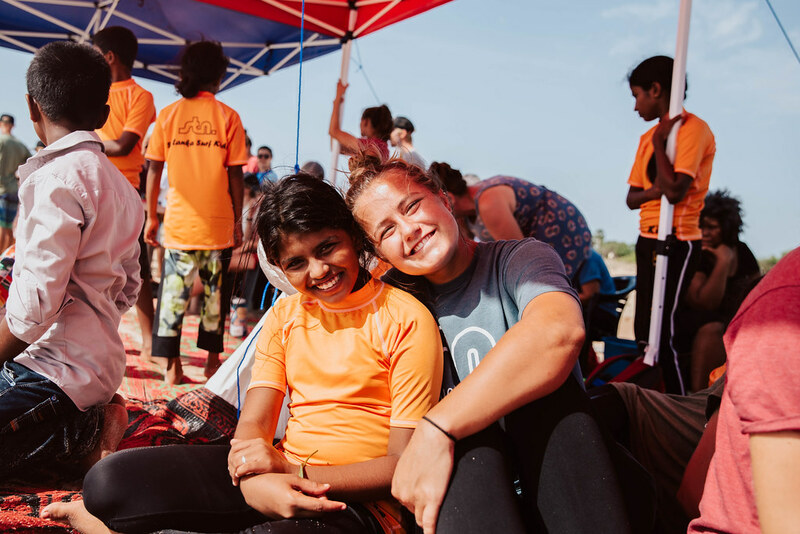 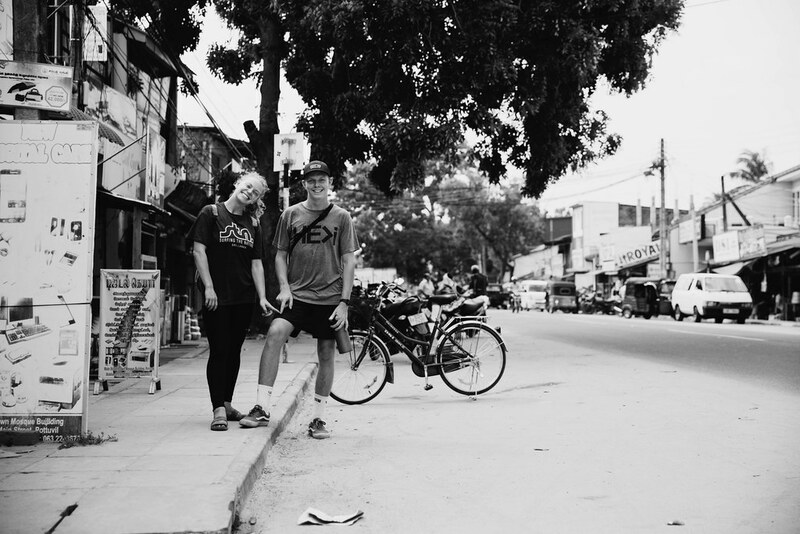 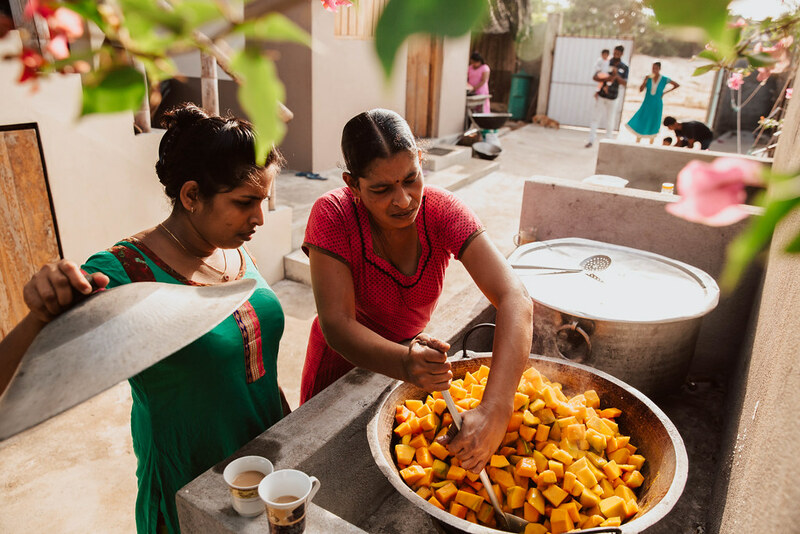 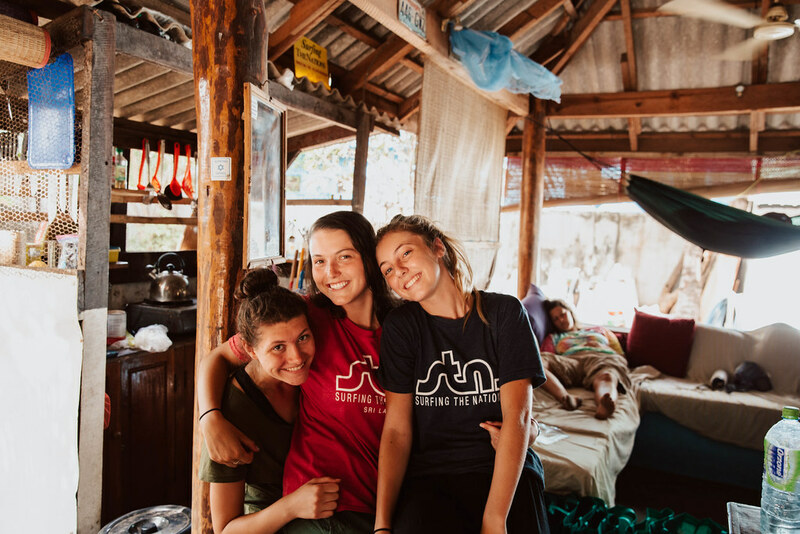 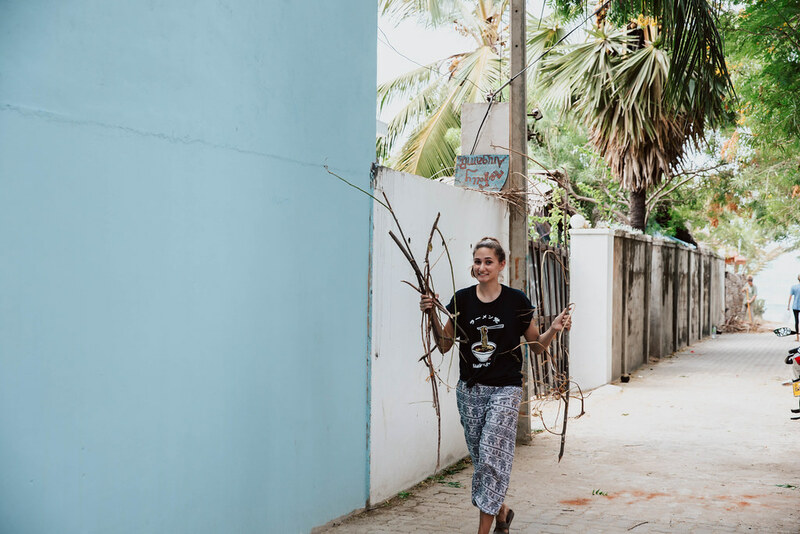 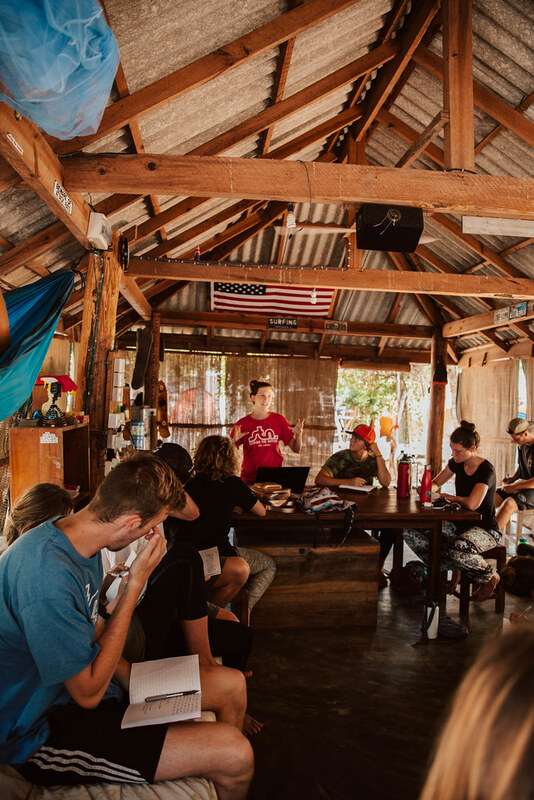 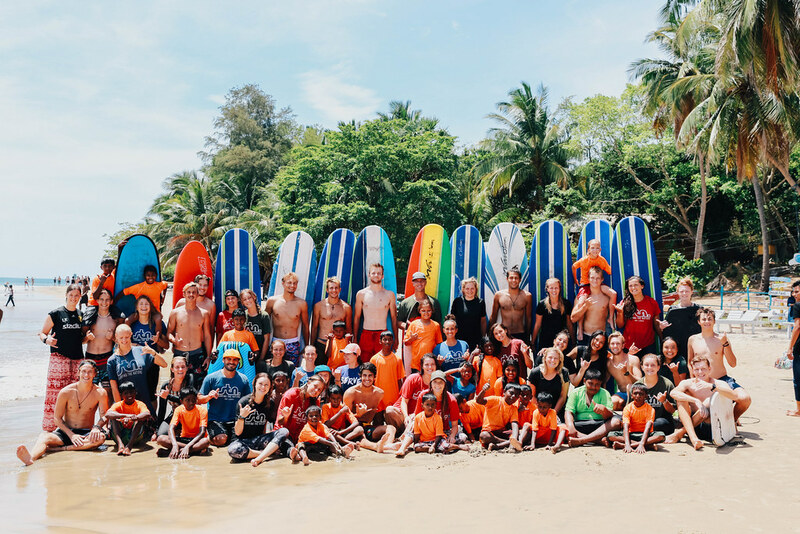 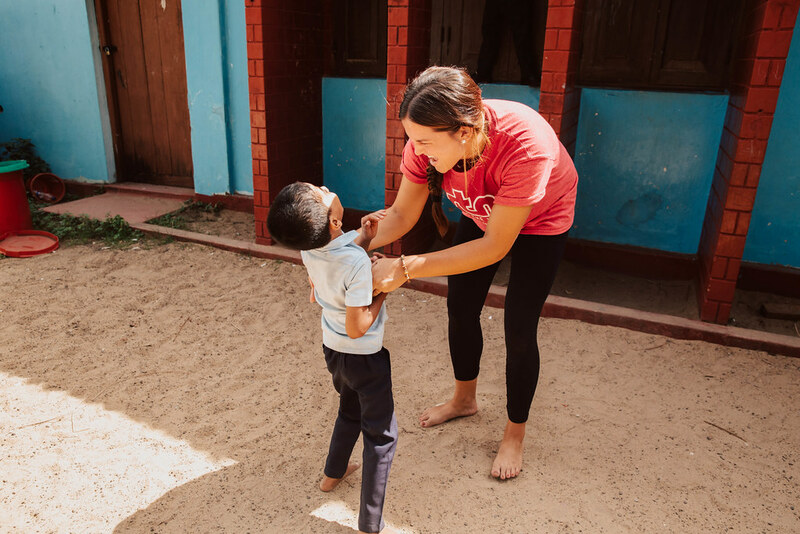 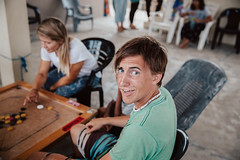 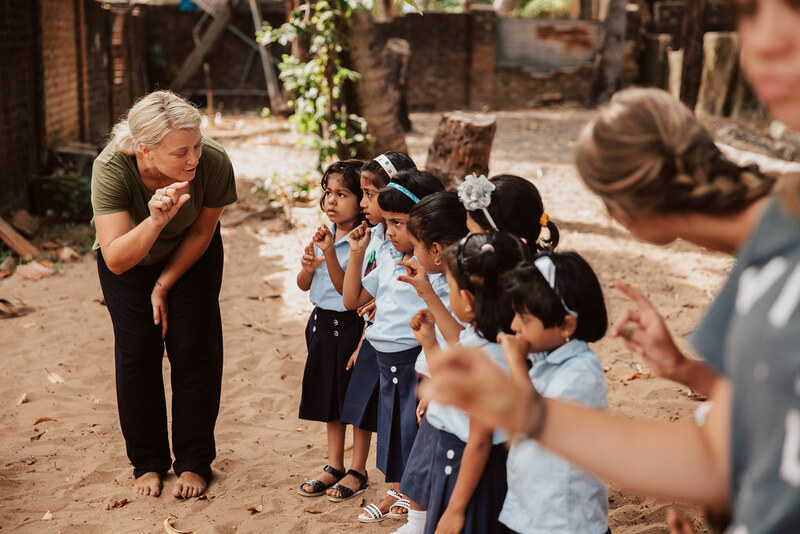 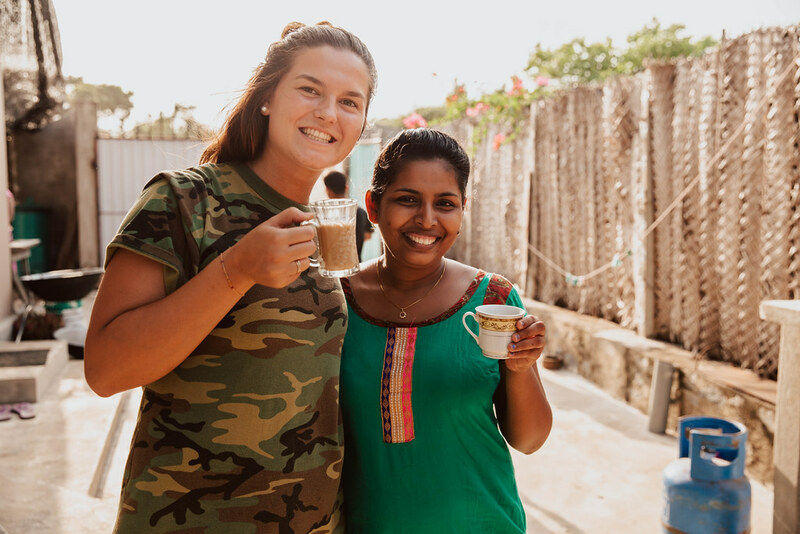 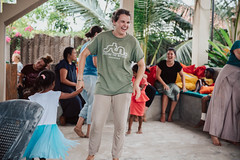 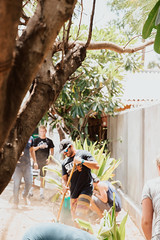 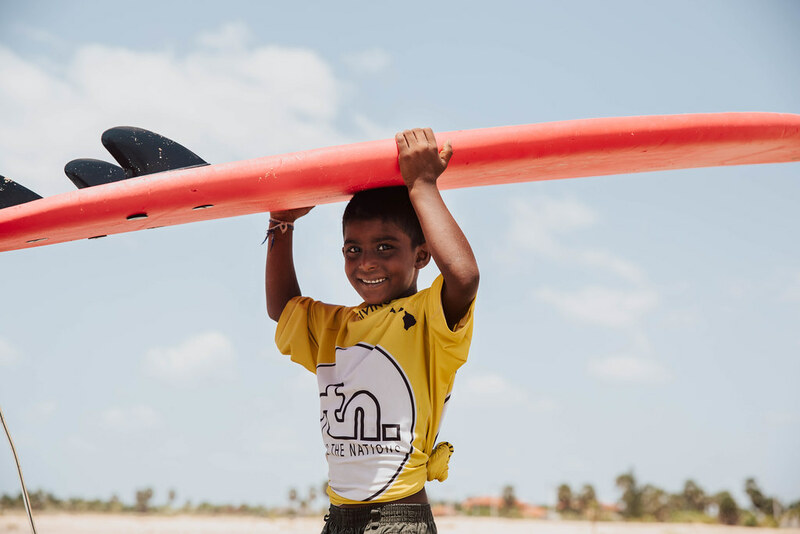 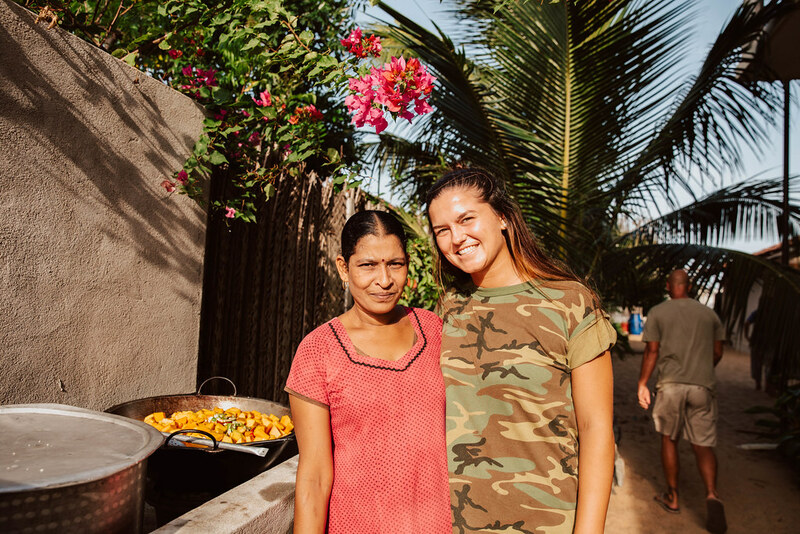 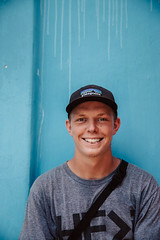 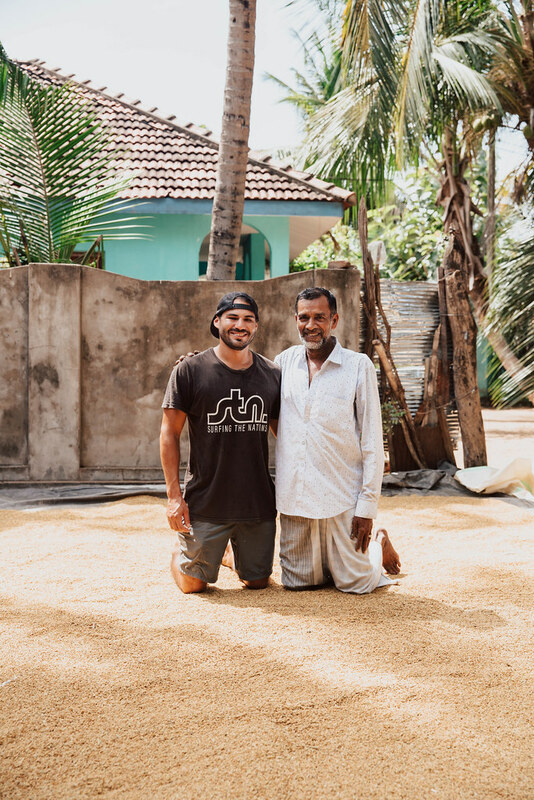 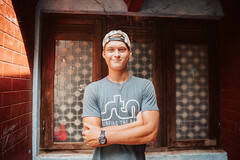 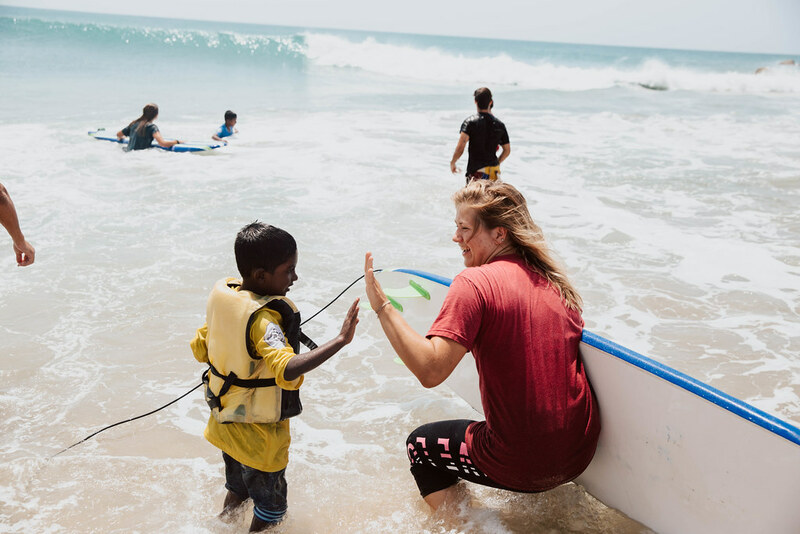 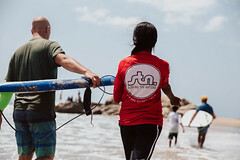 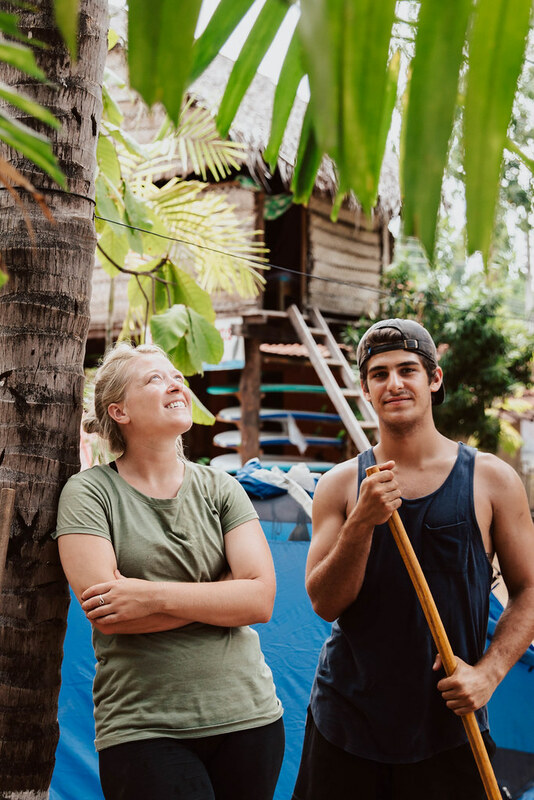 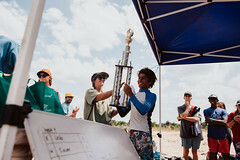 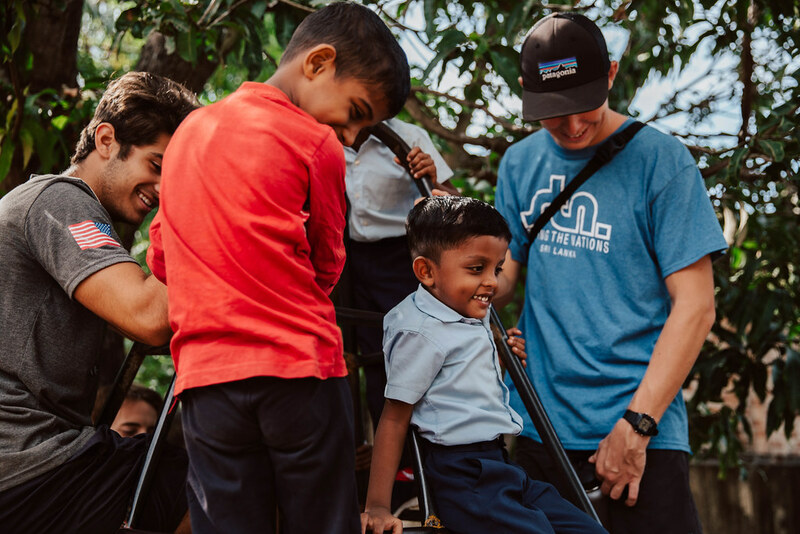 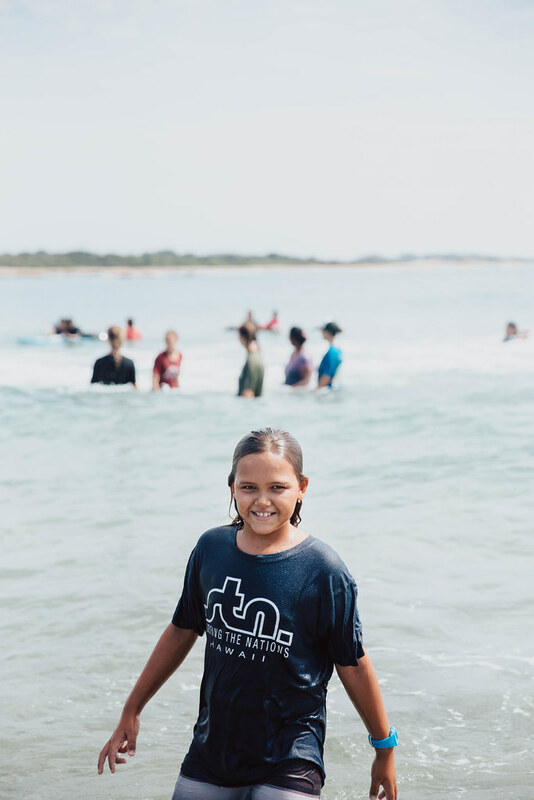 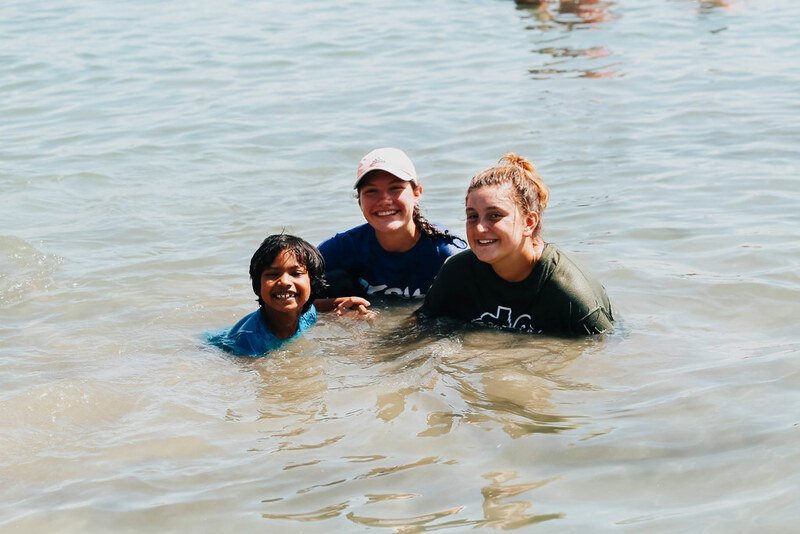 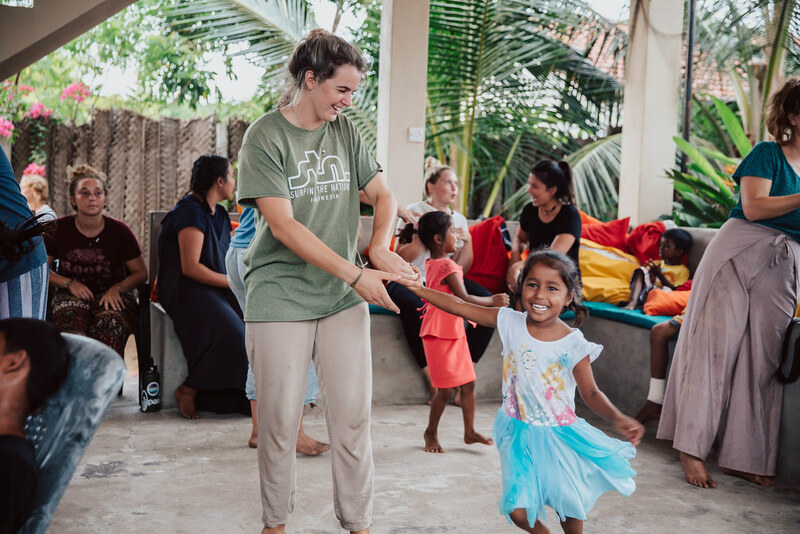 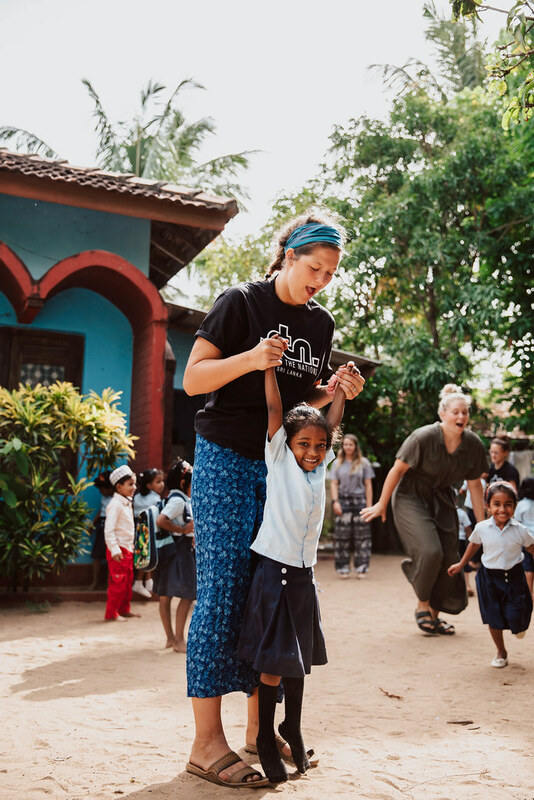 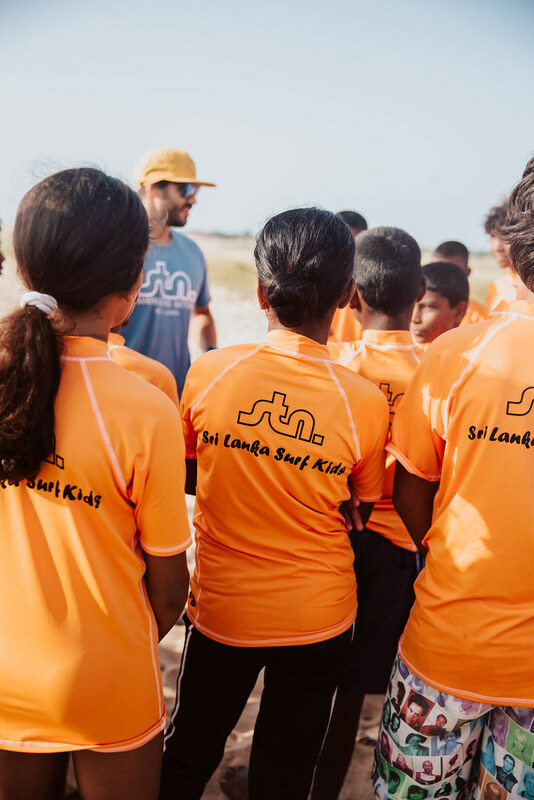 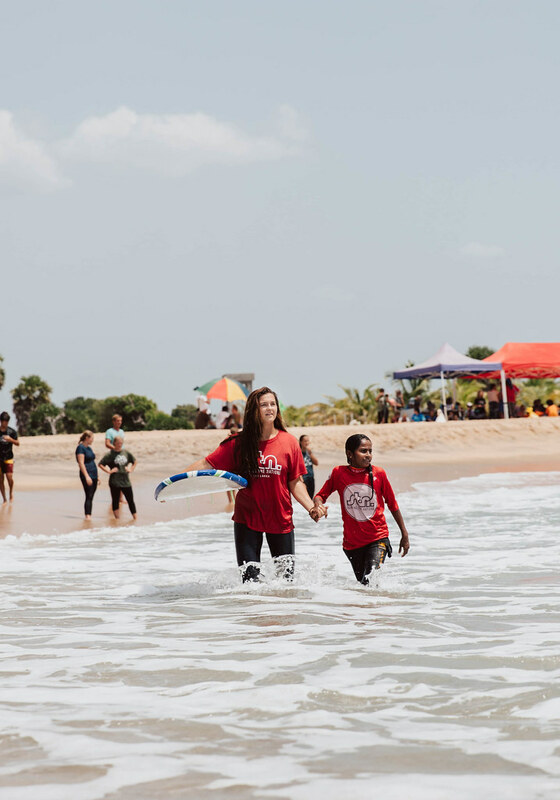 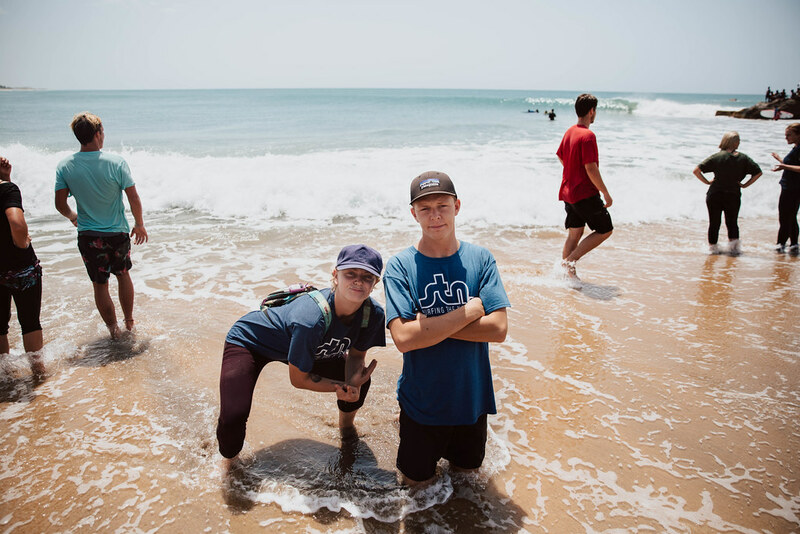 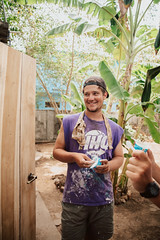 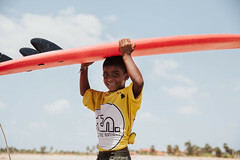 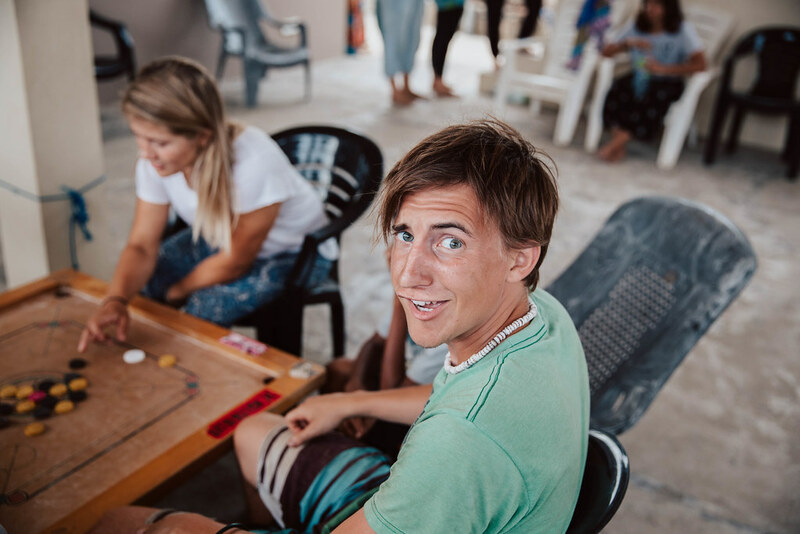 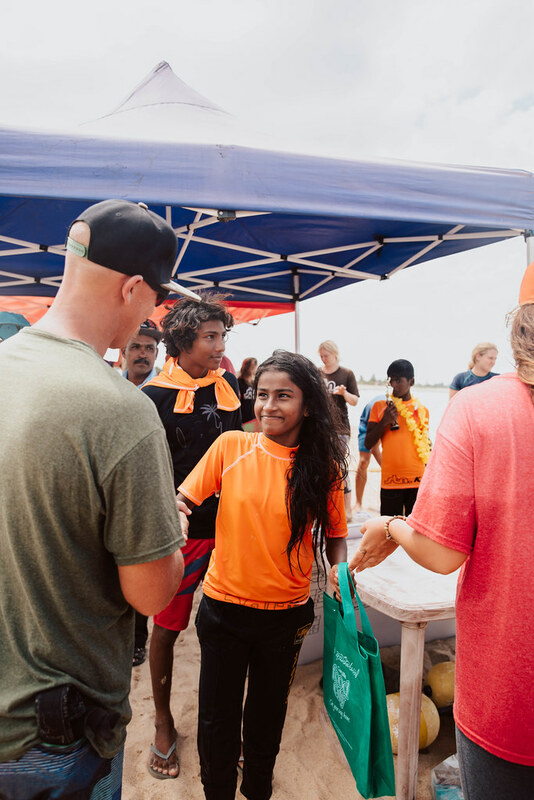 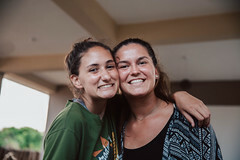 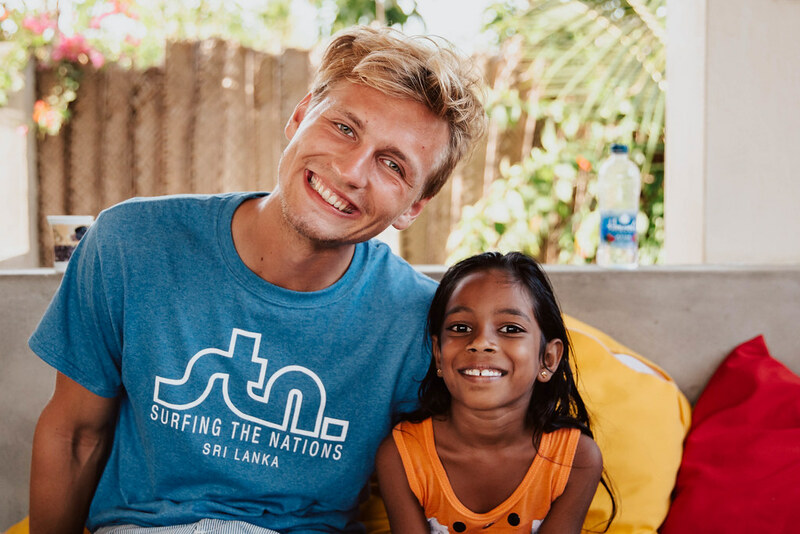 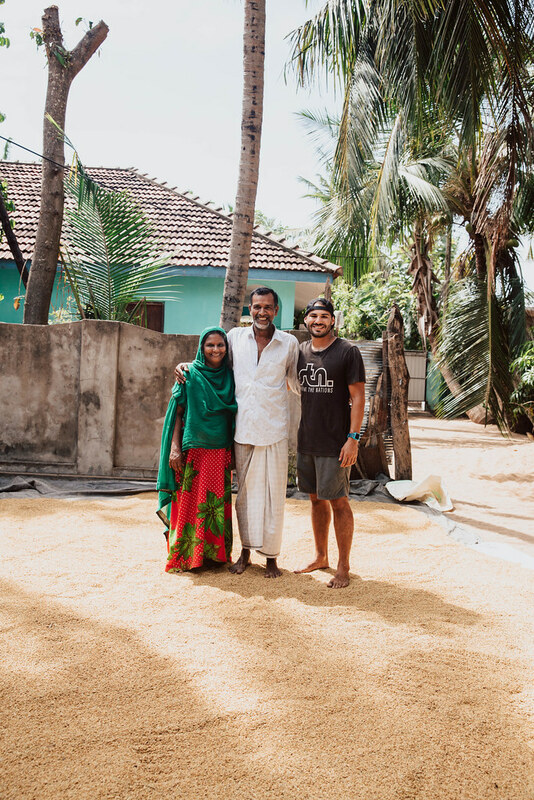 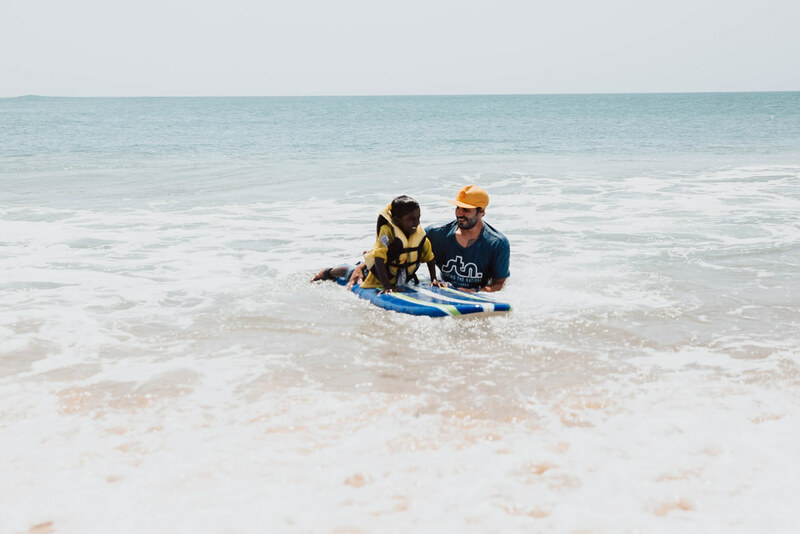 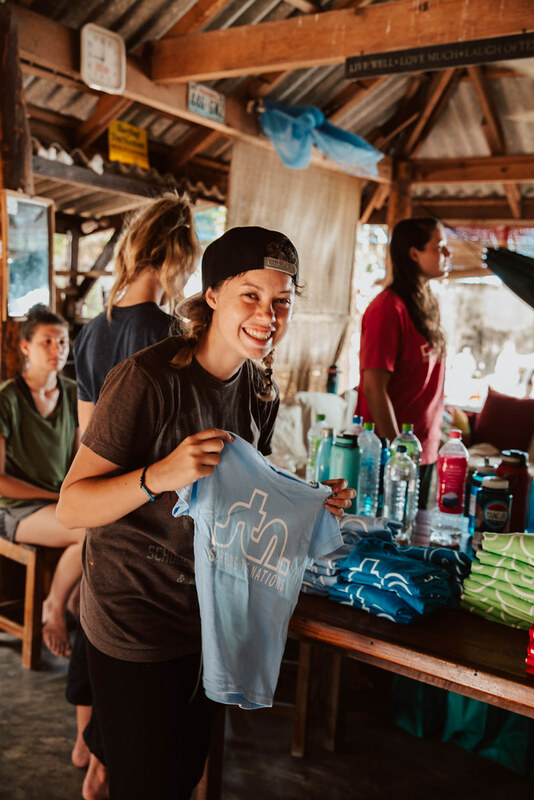 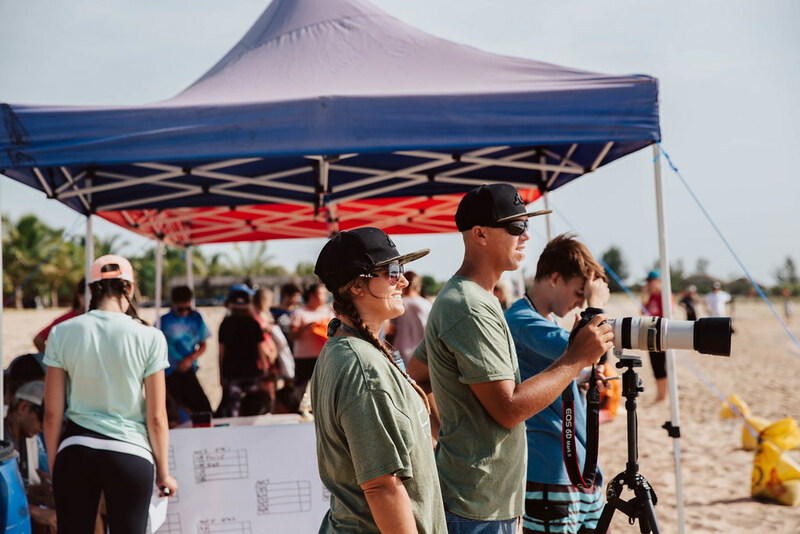 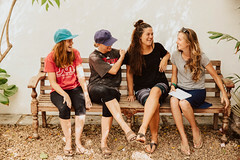 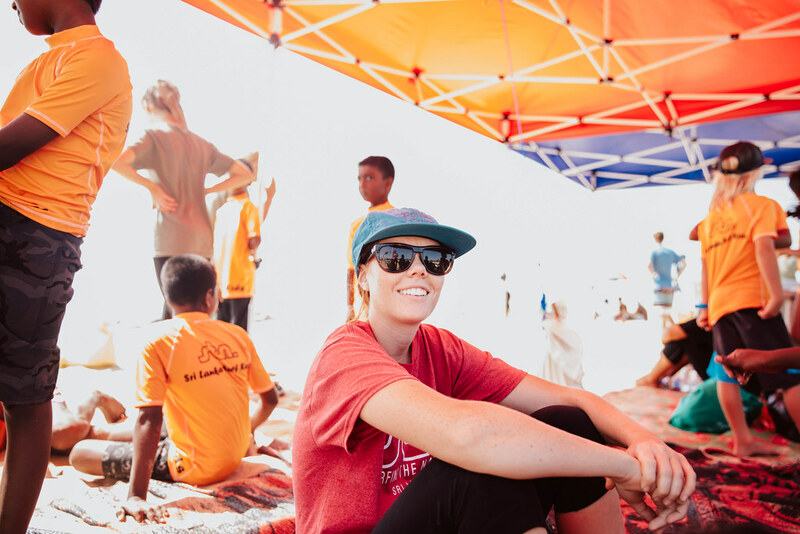 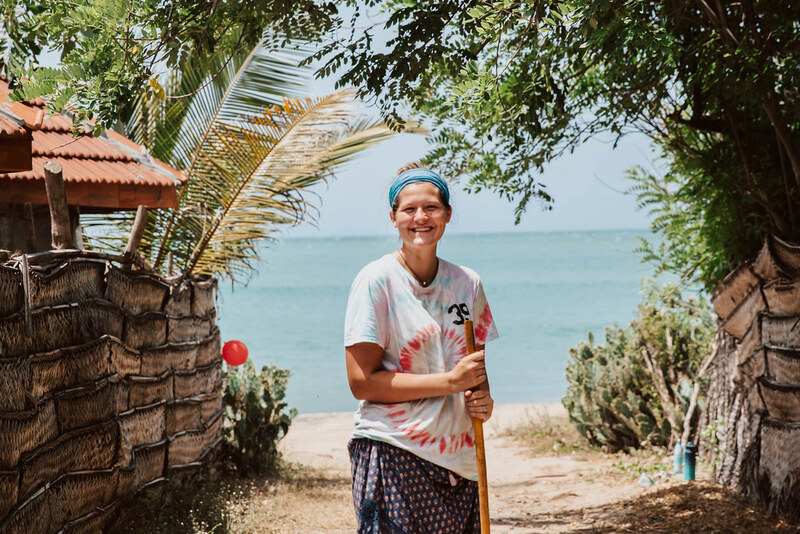 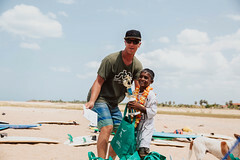 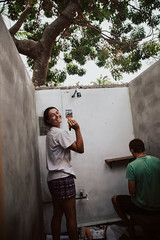 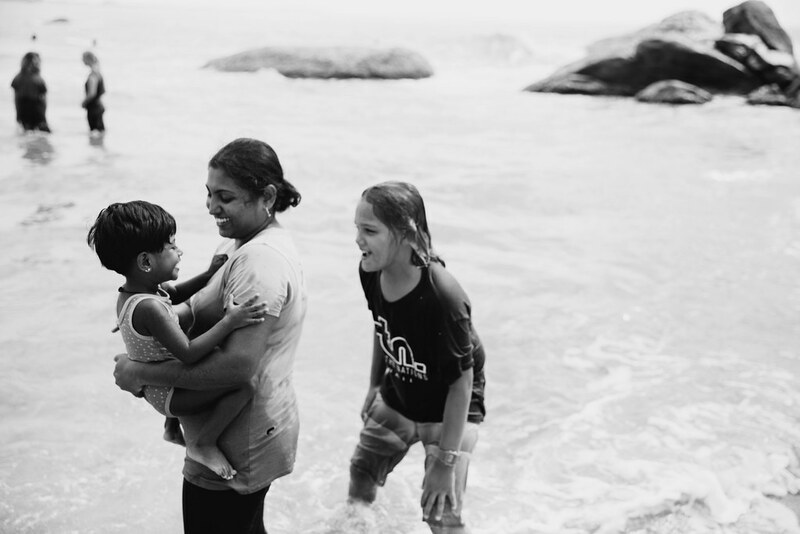 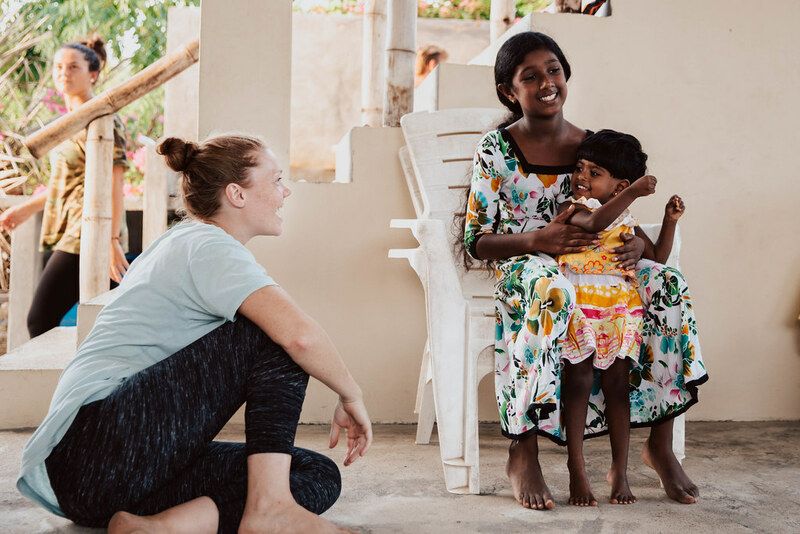 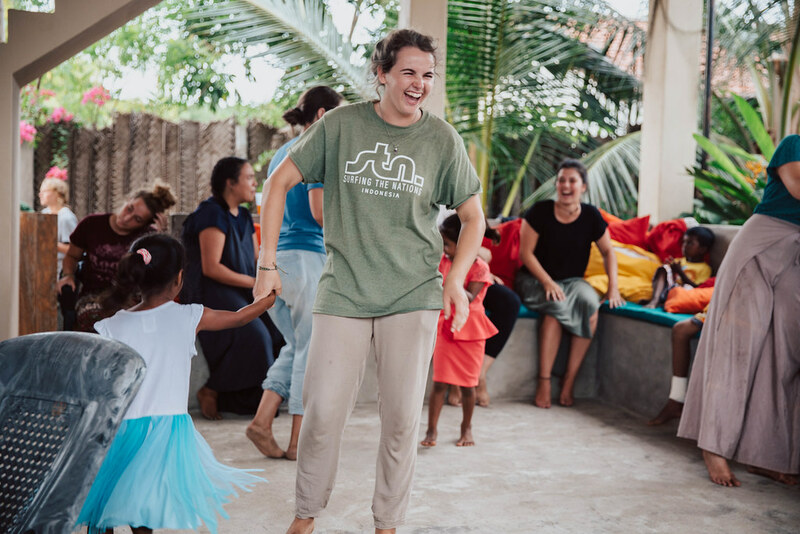 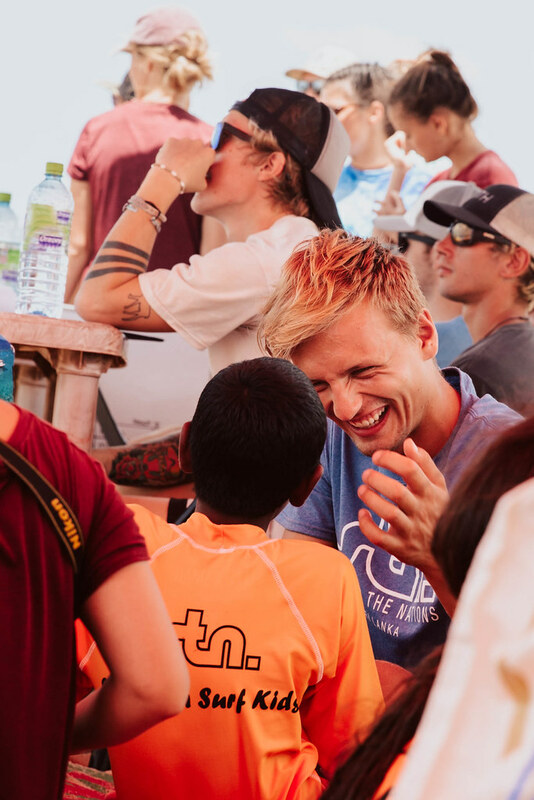 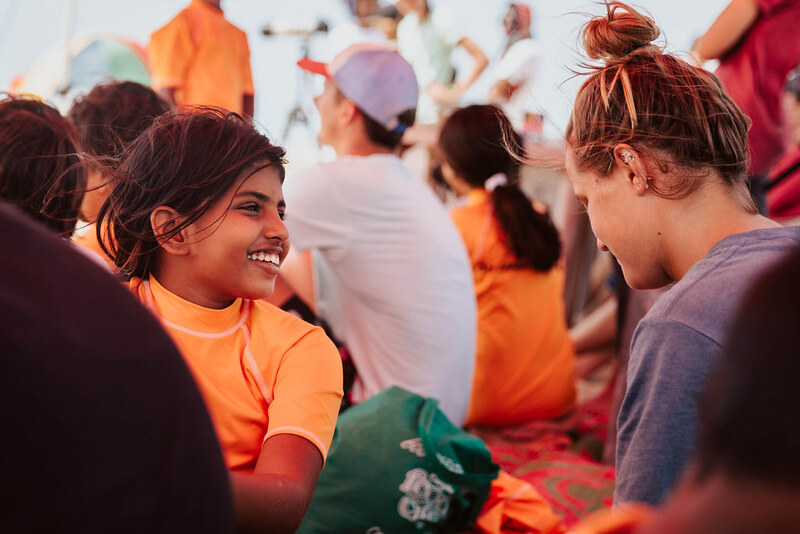 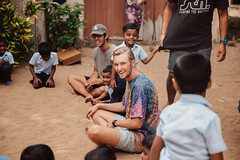 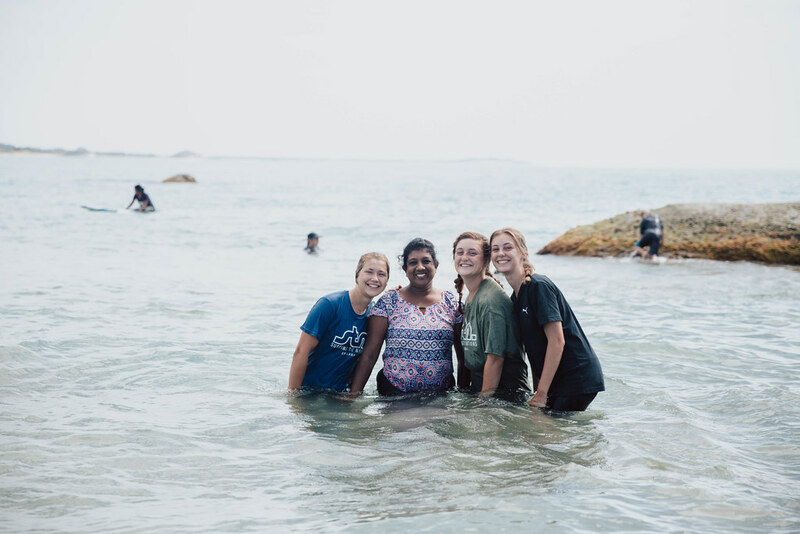 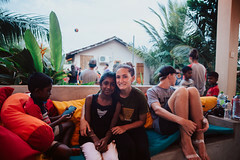 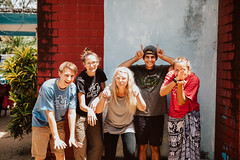 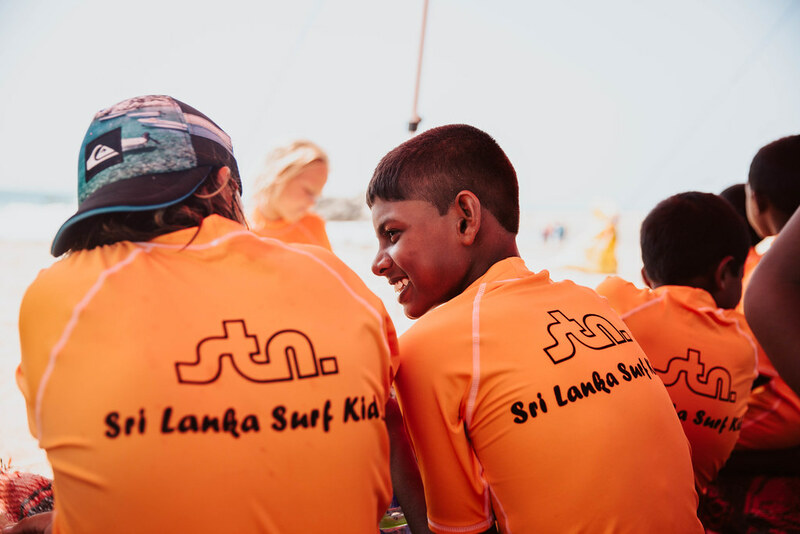 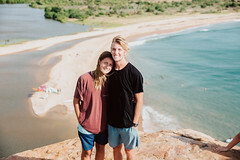 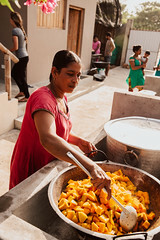 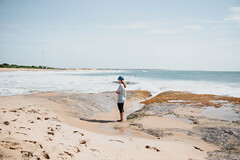 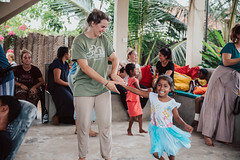 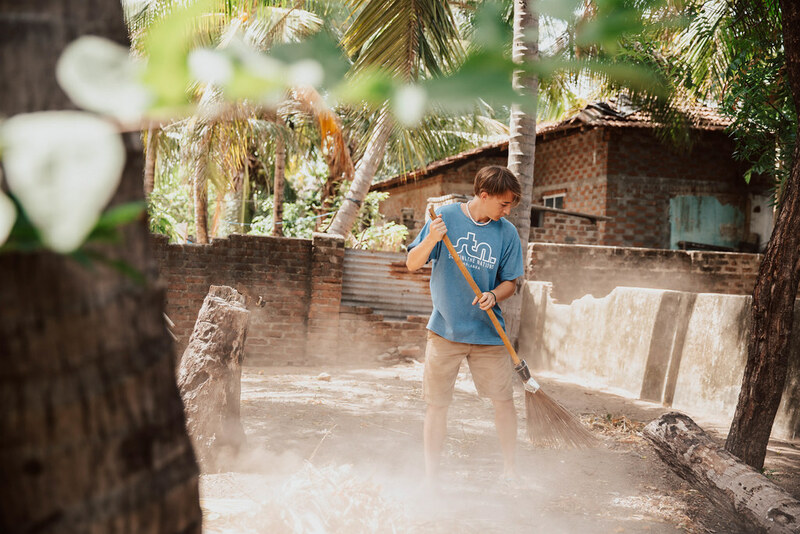 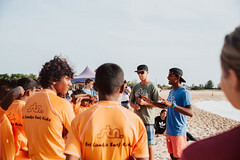 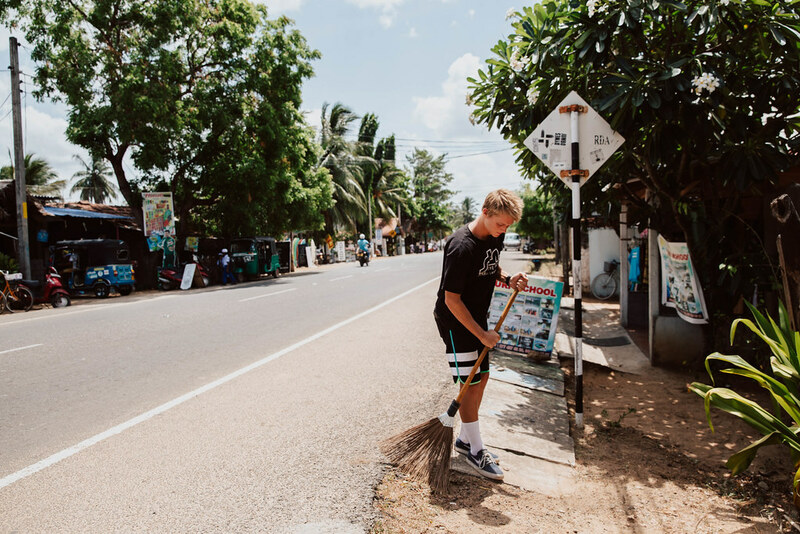 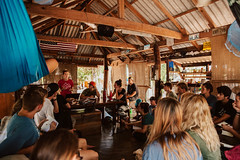 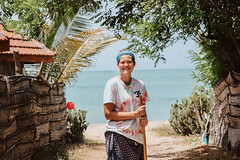 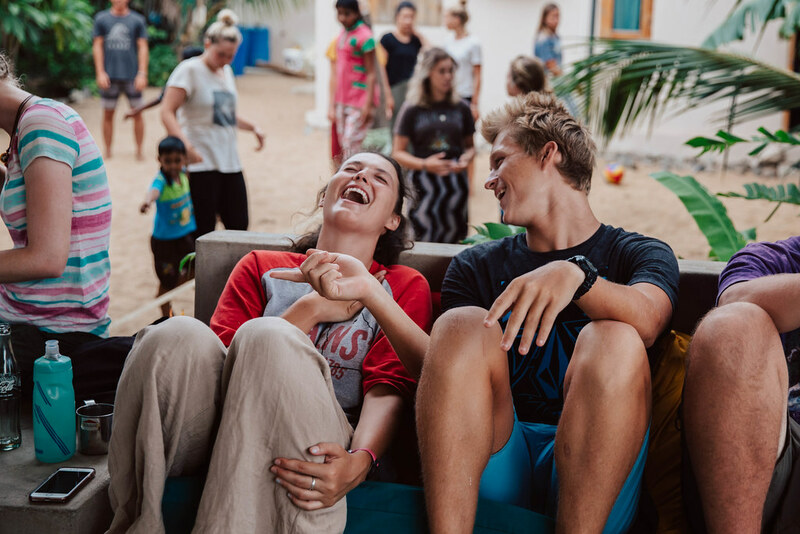 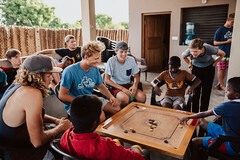 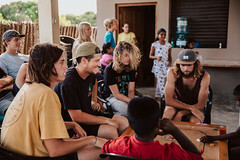 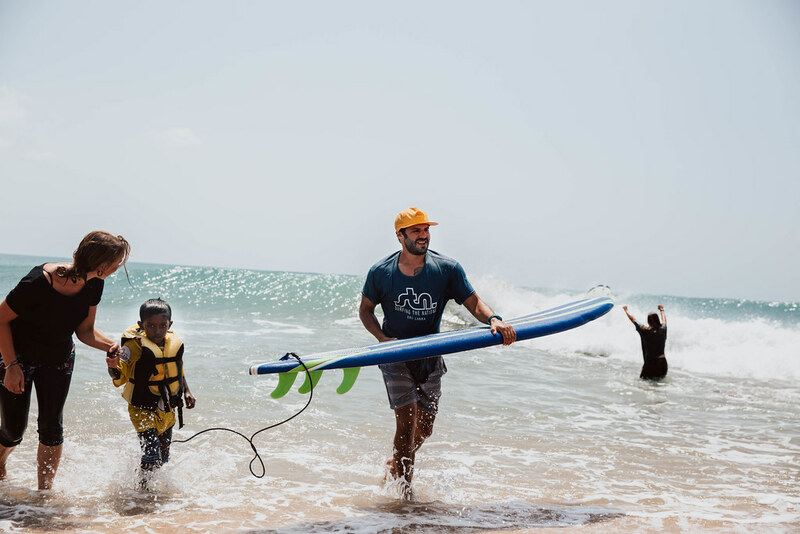 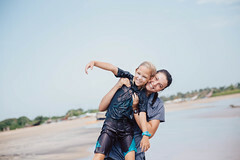 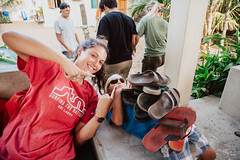 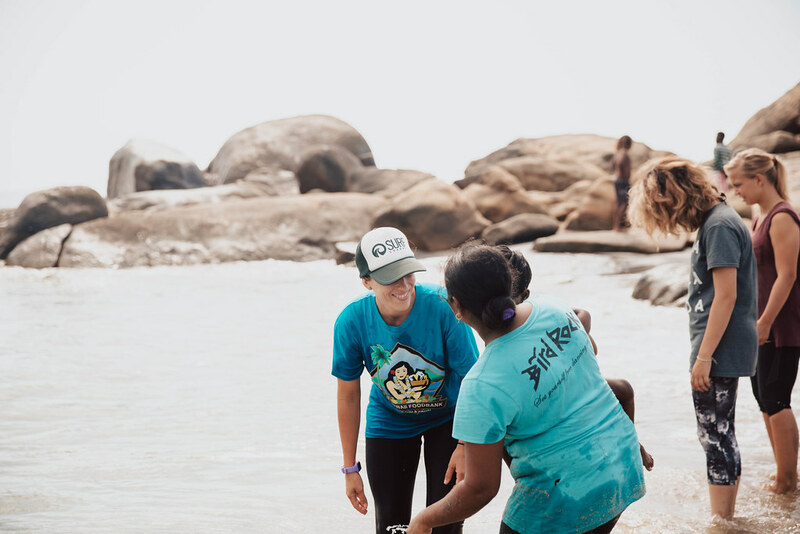 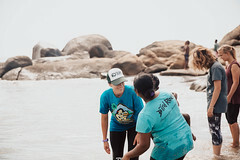 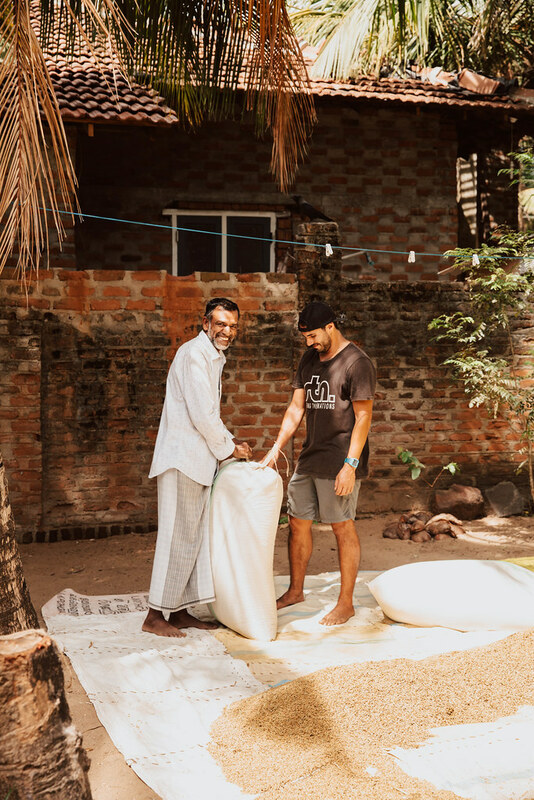 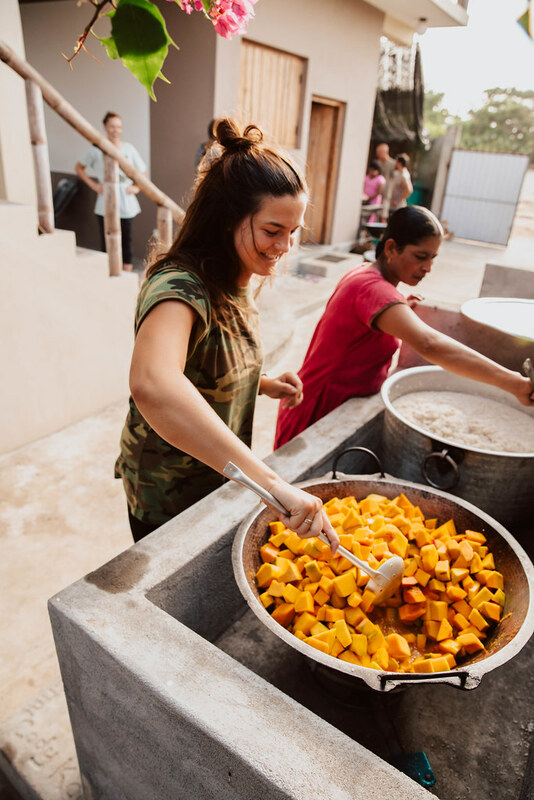 Surfing The Nations sends teams of committed volunteers to serve the Arugam Bay area annually. 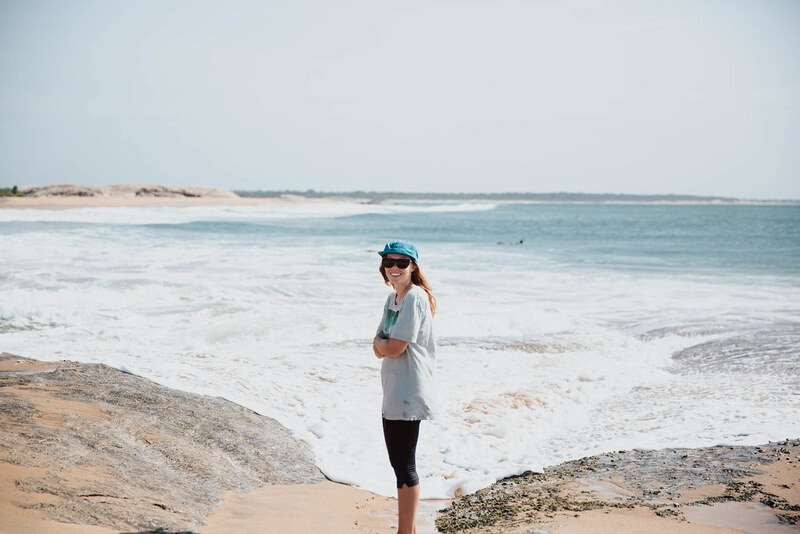 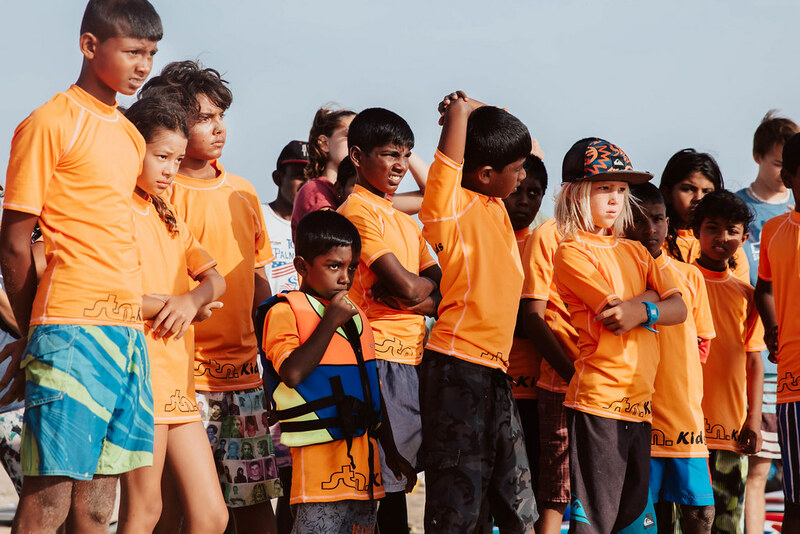 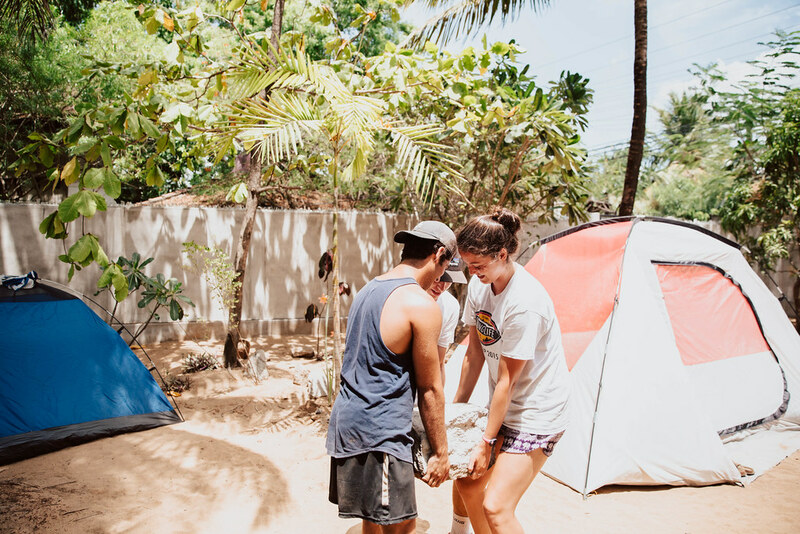 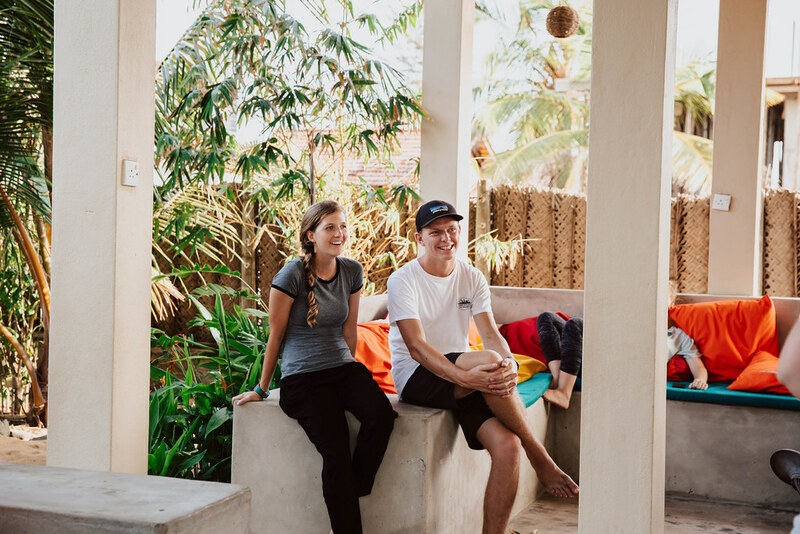 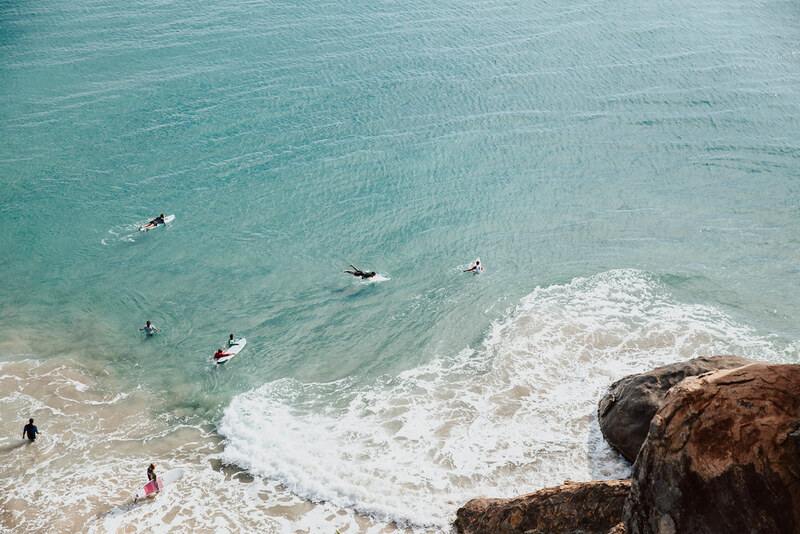 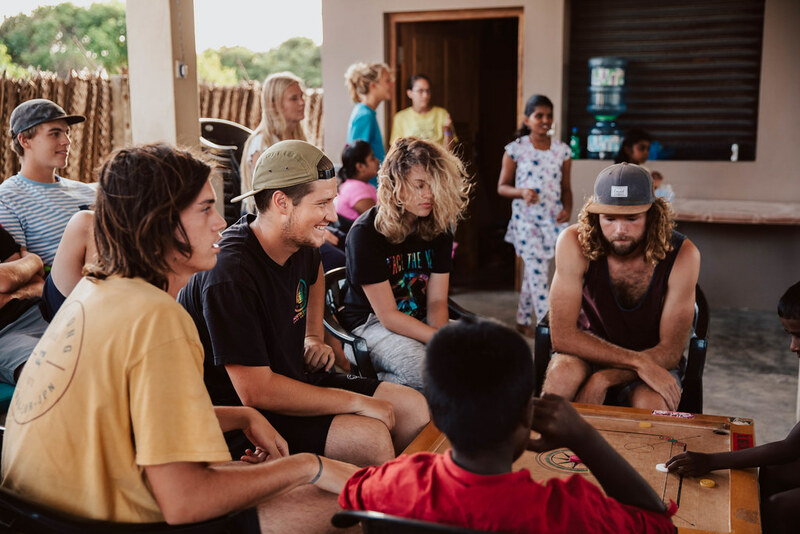 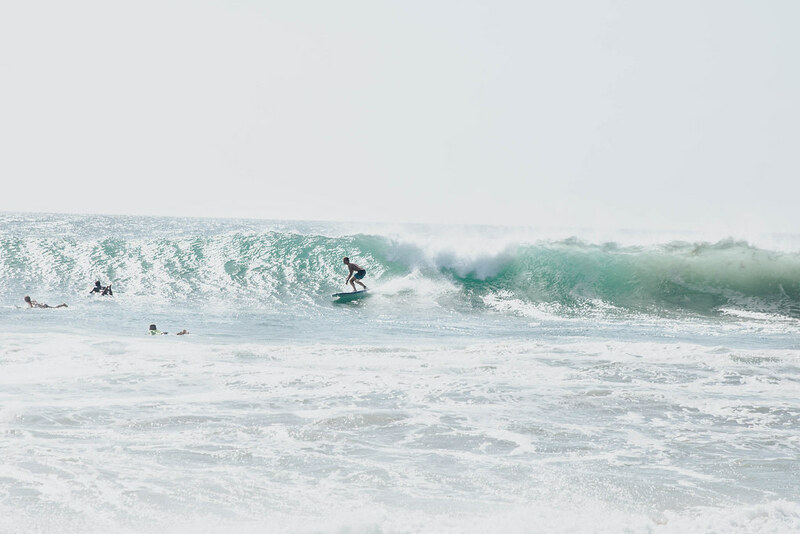 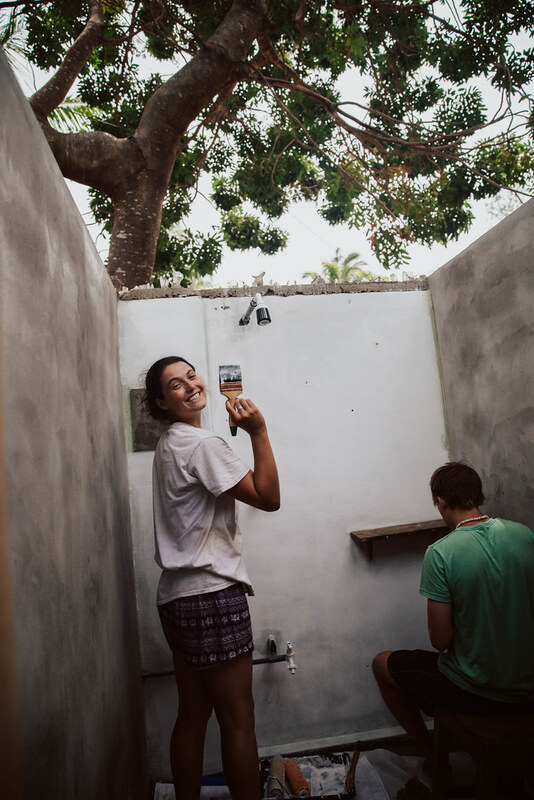 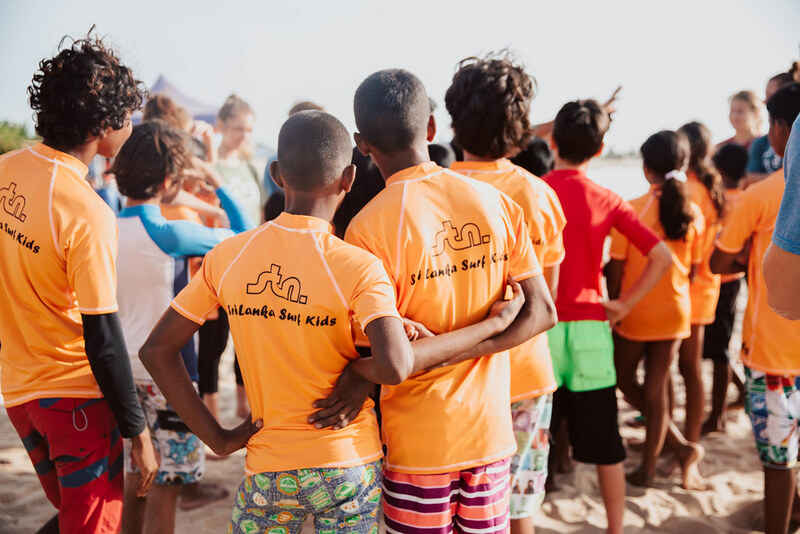 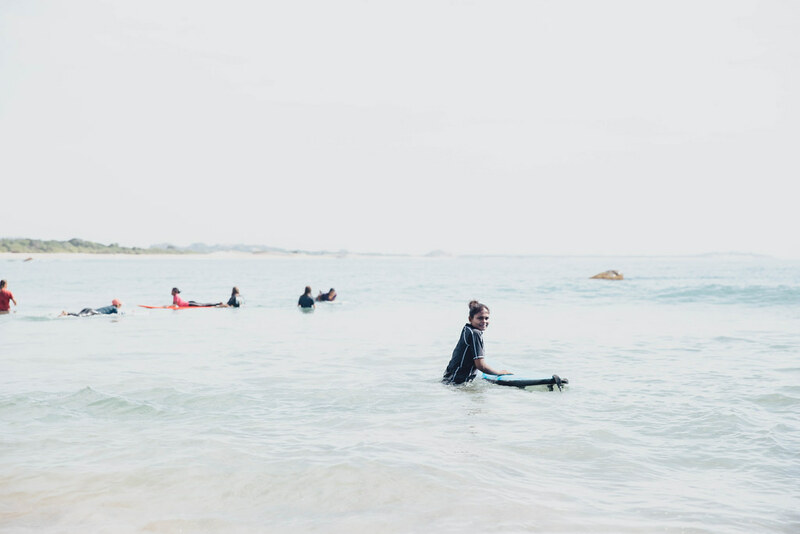 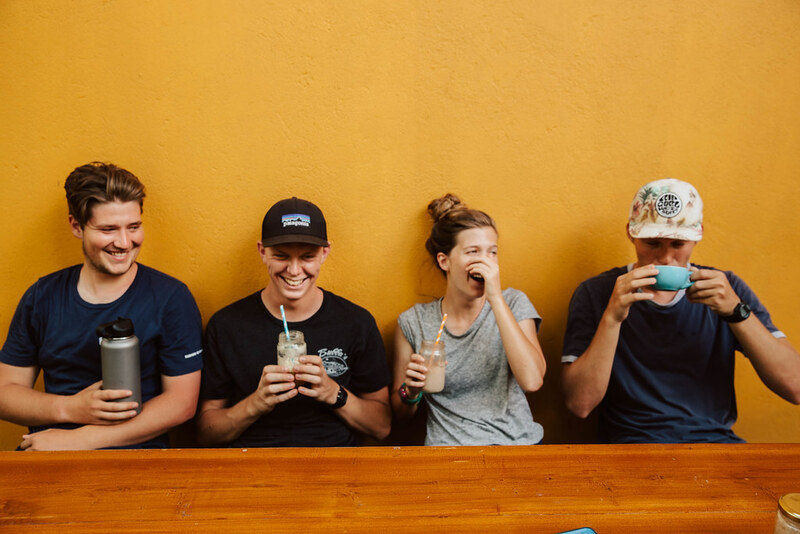 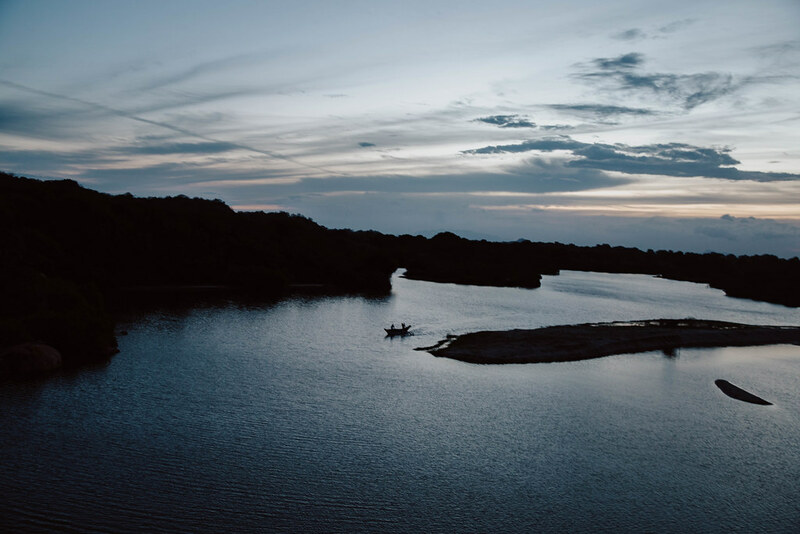 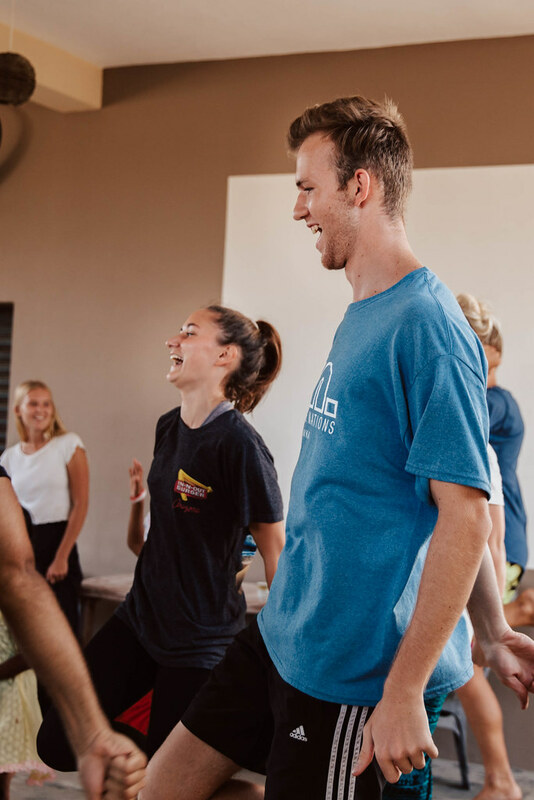 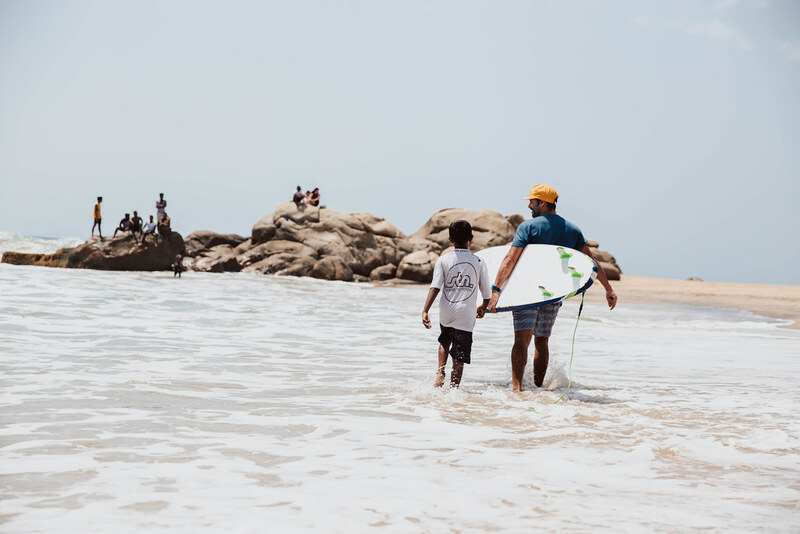 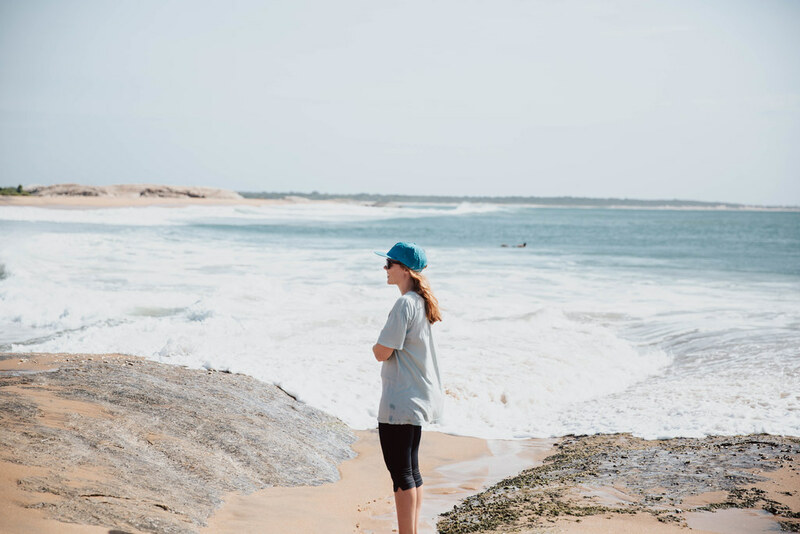 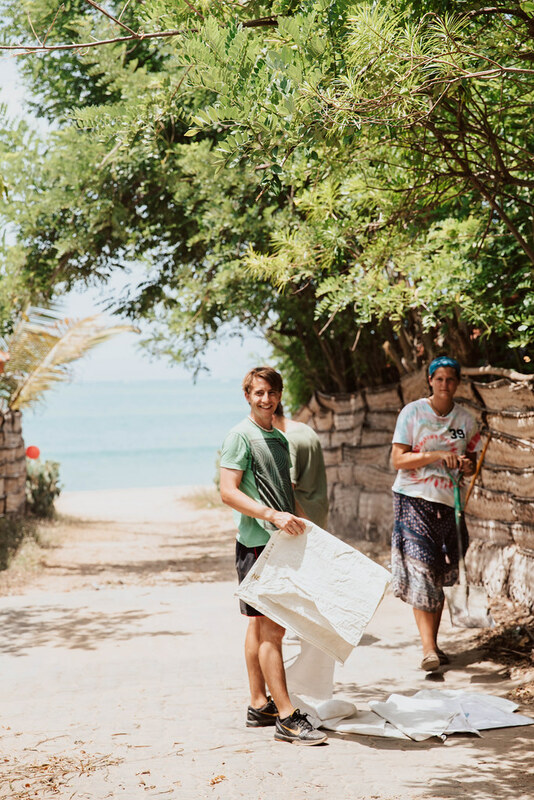 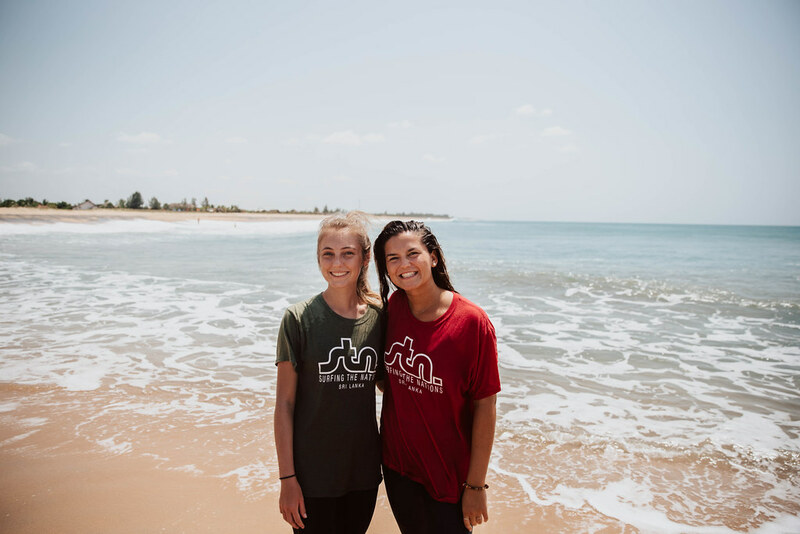 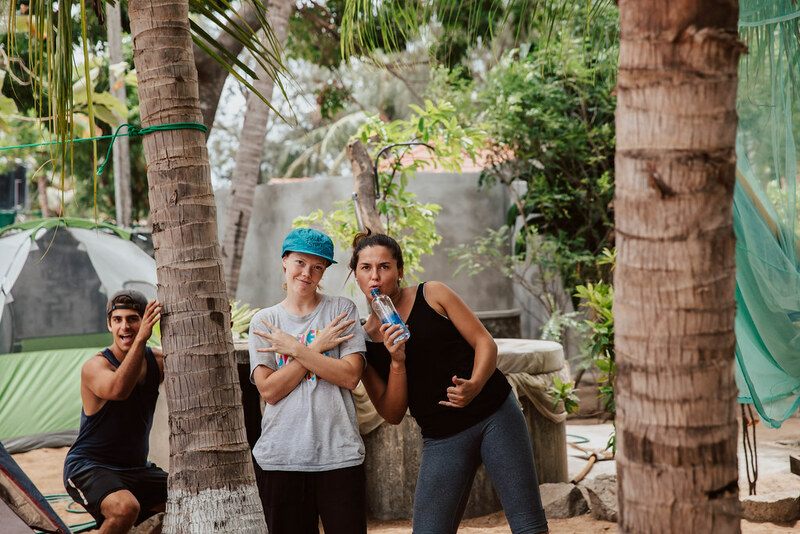 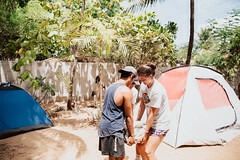 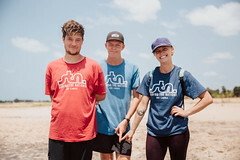 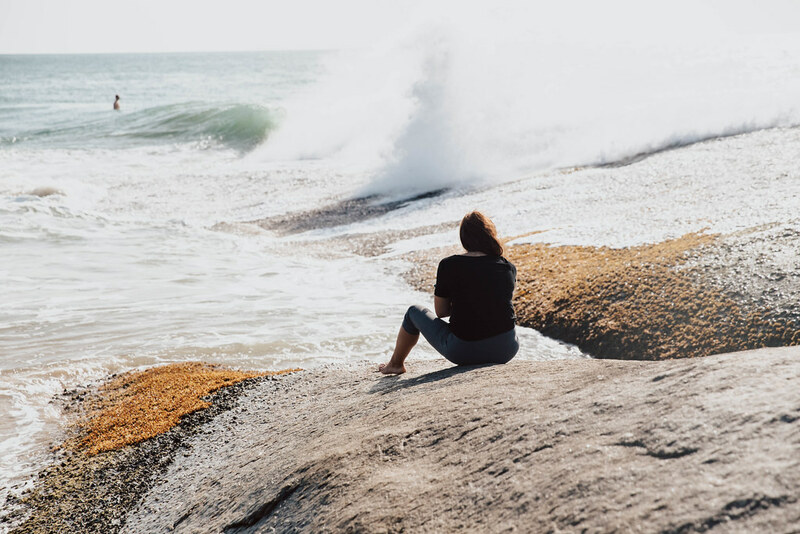 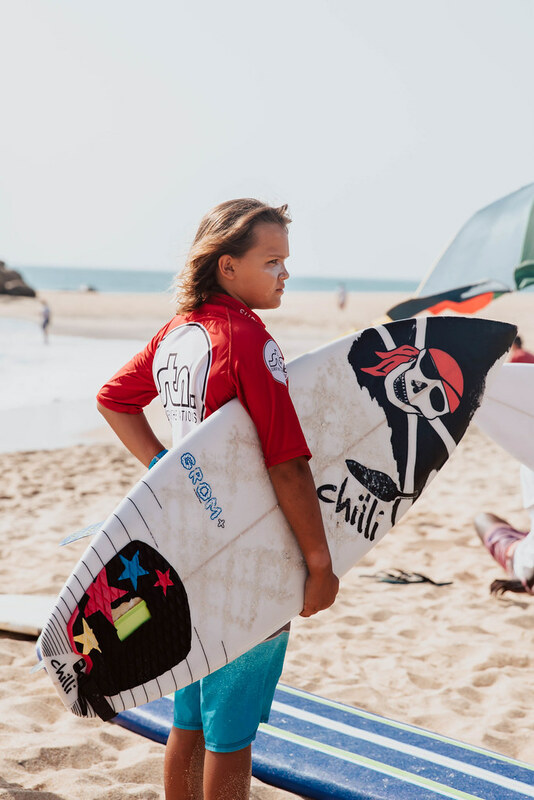 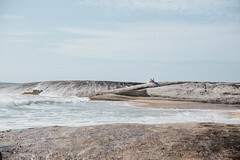 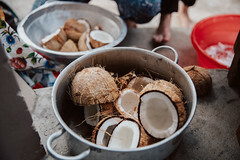 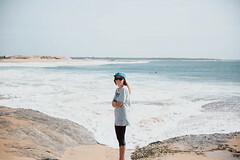 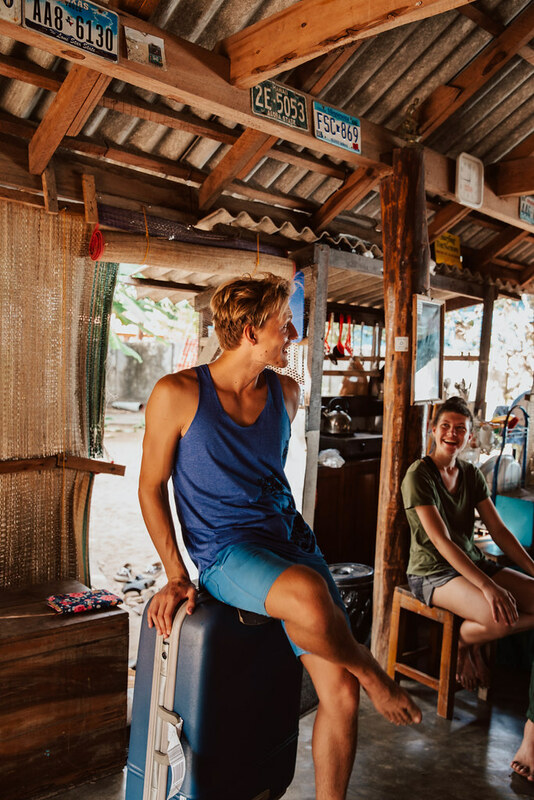 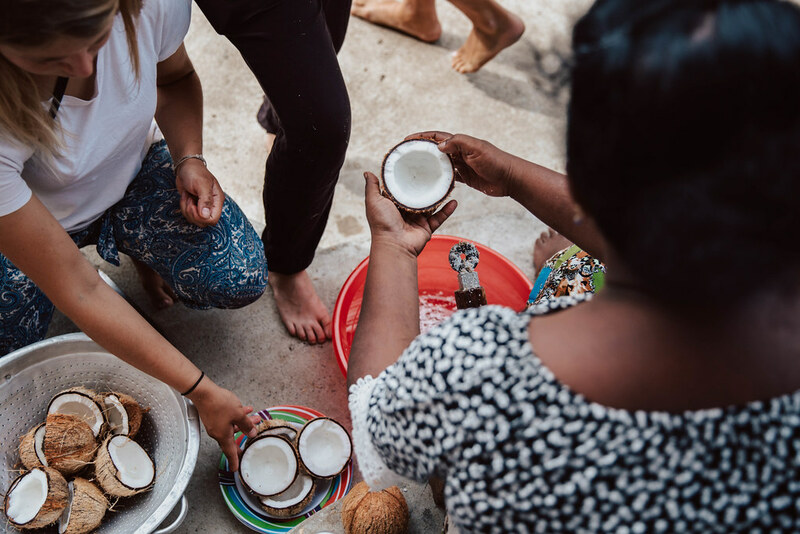 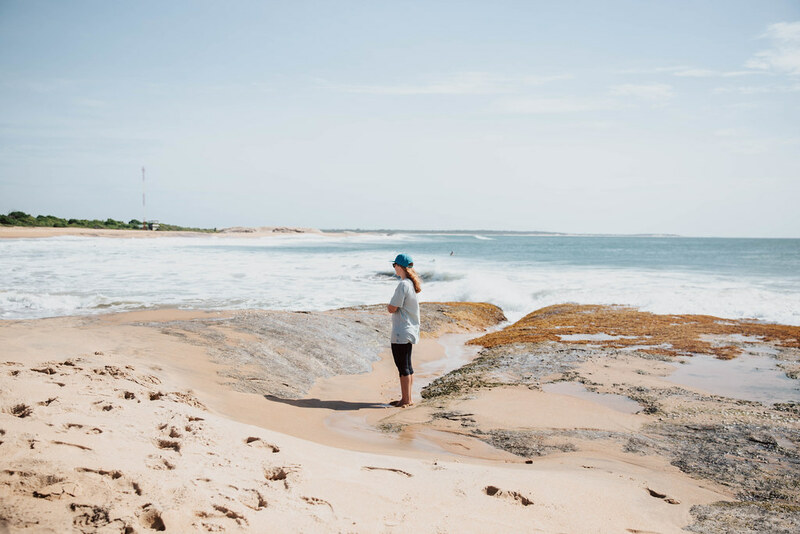 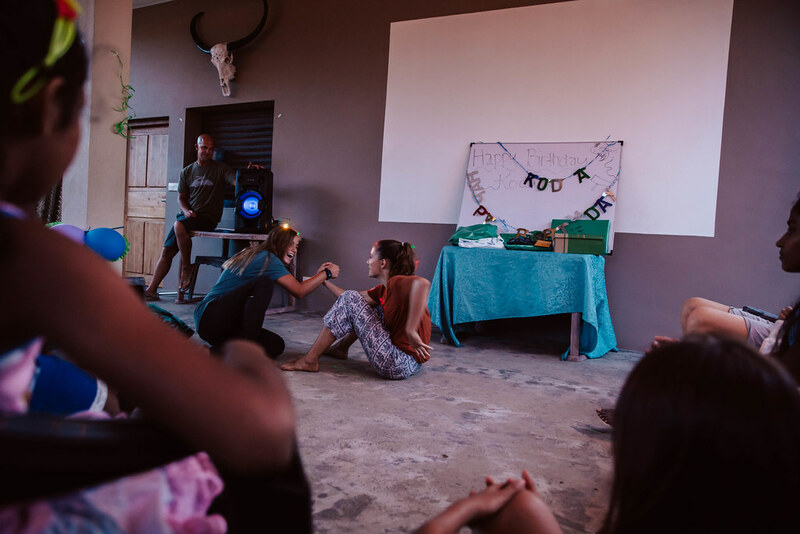 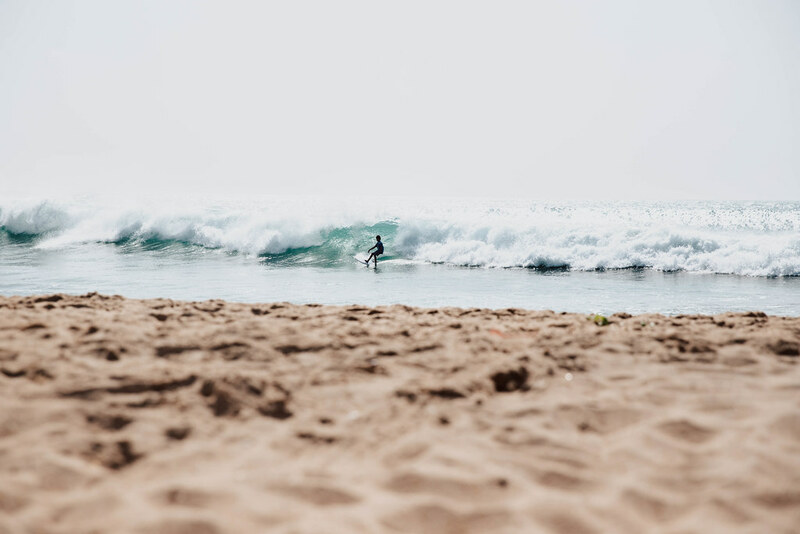 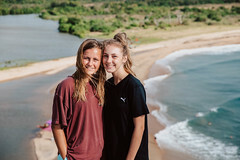 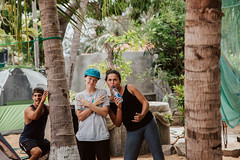 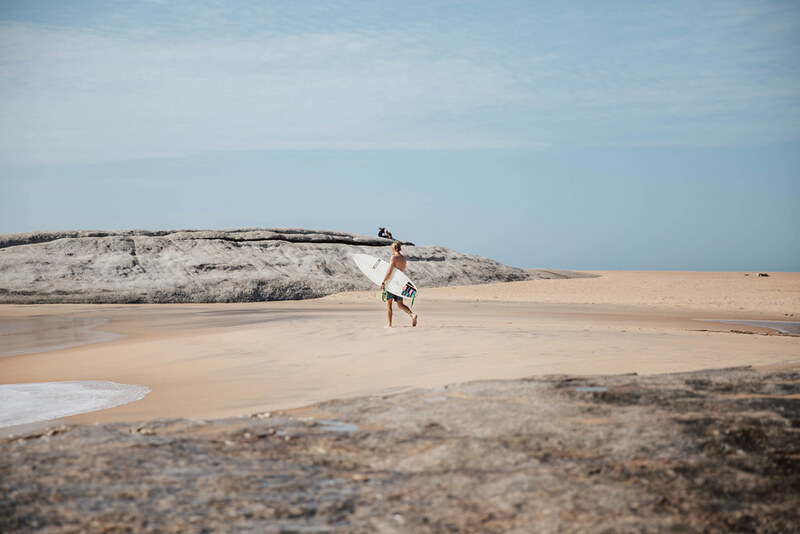 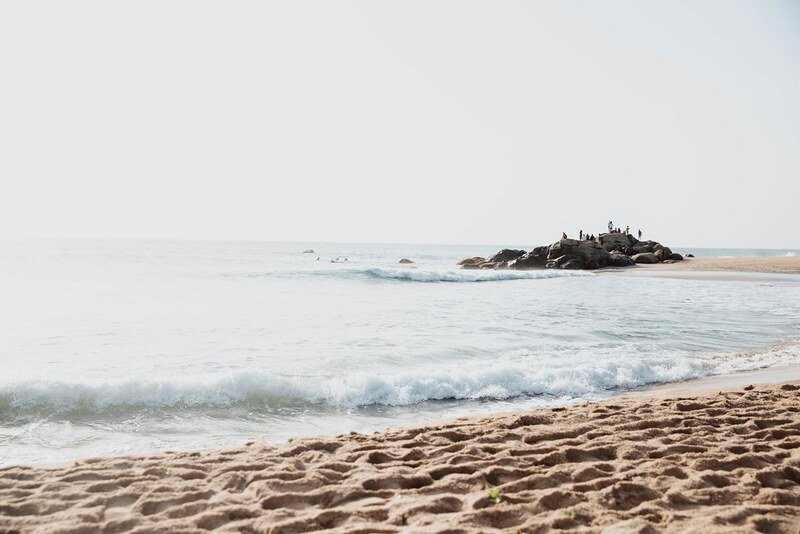 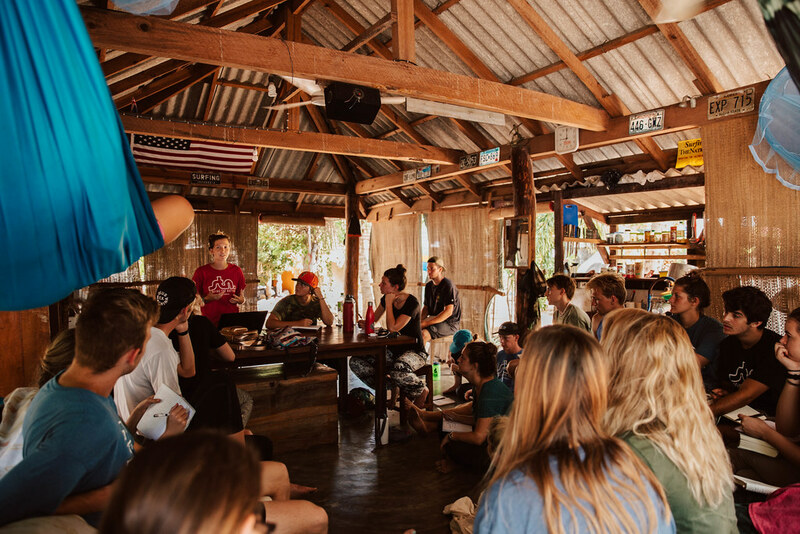 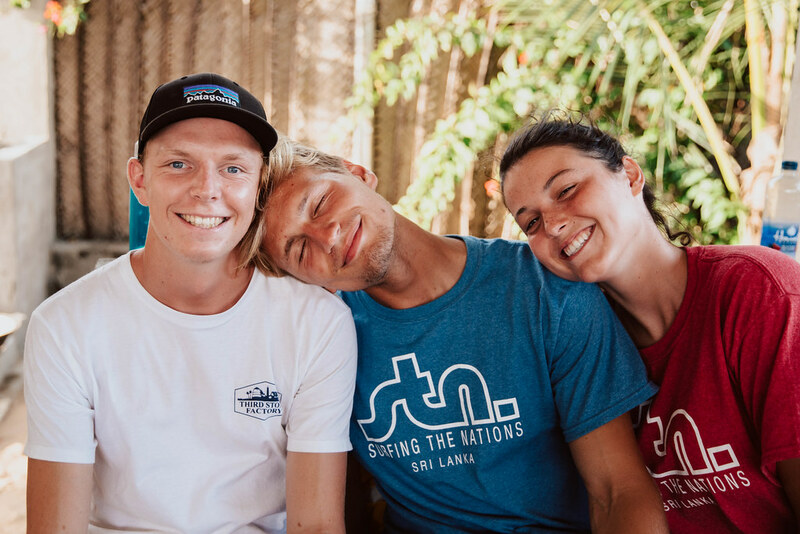 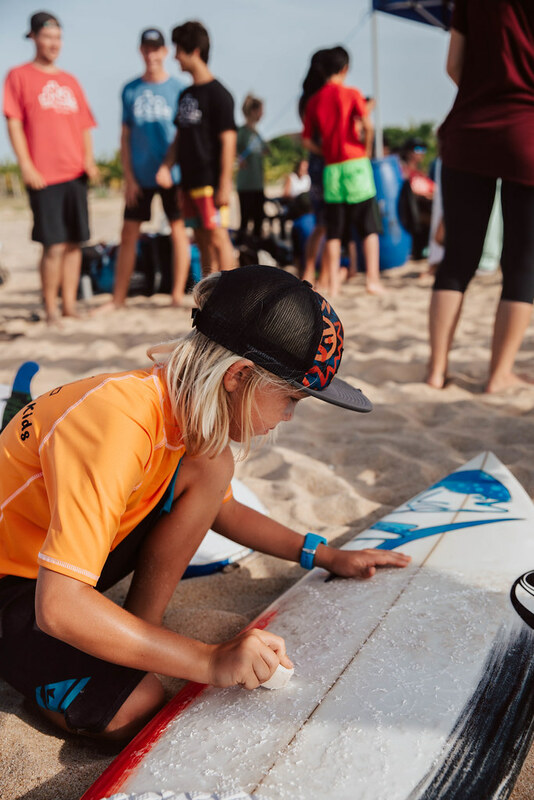 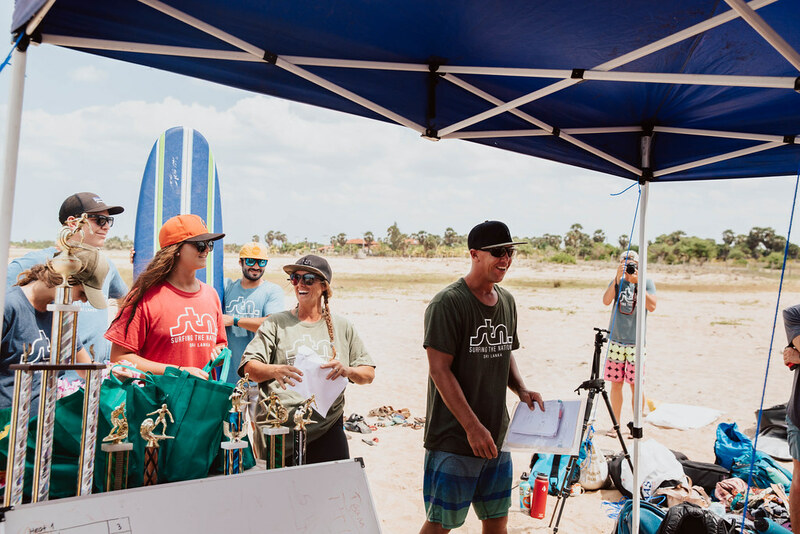 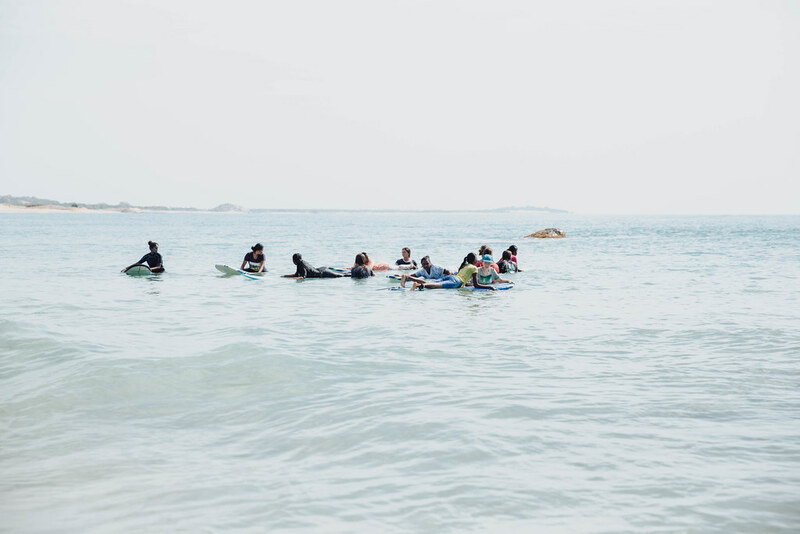 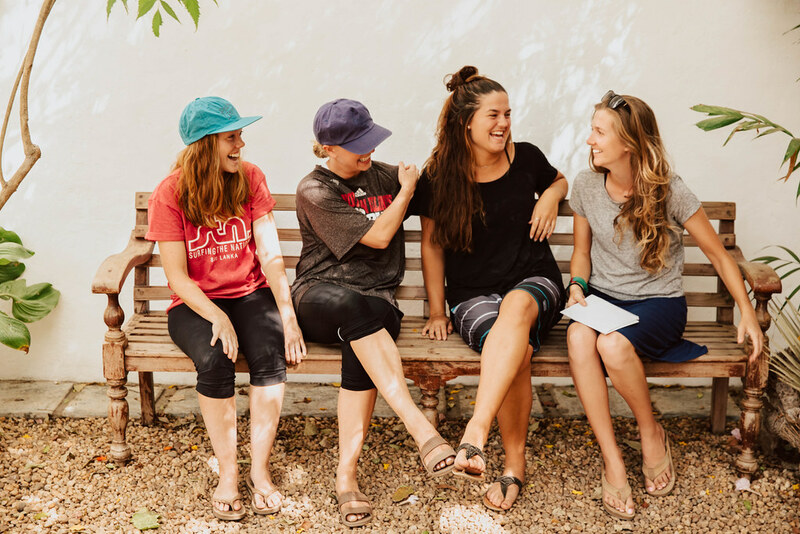 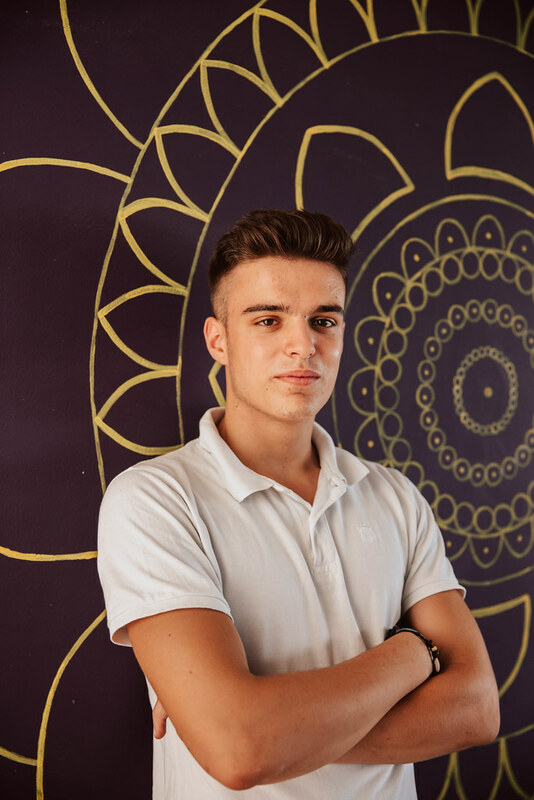 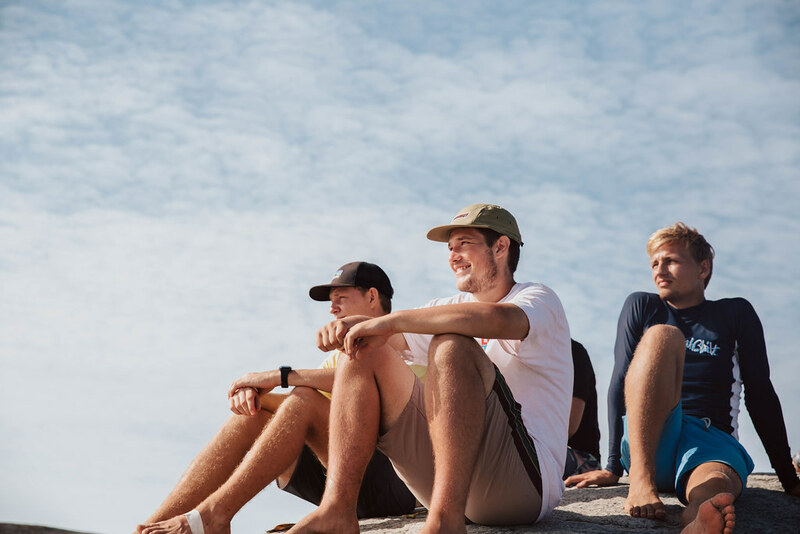 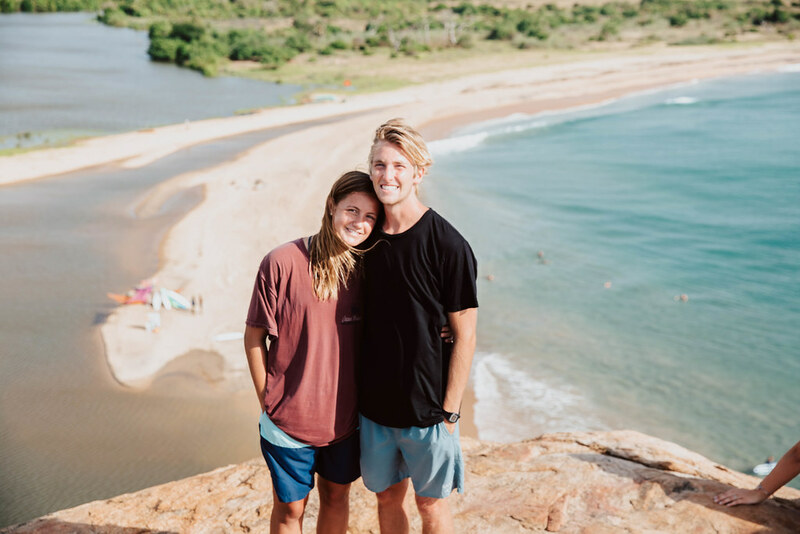 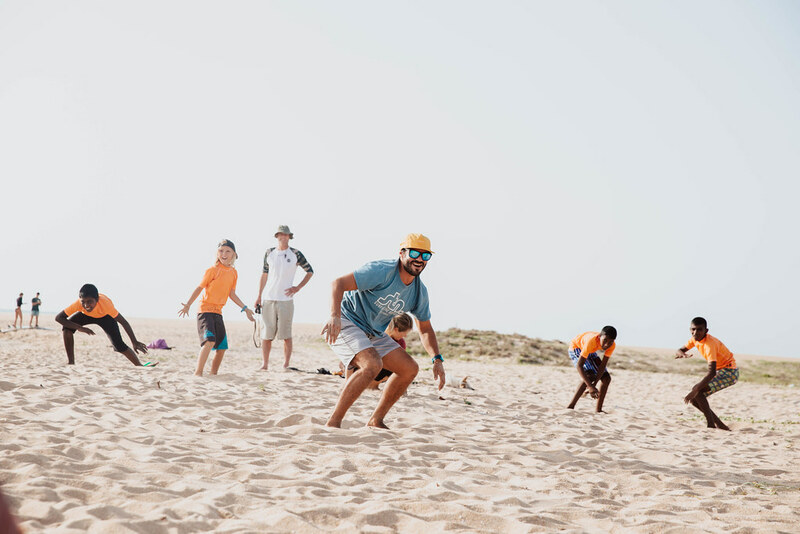 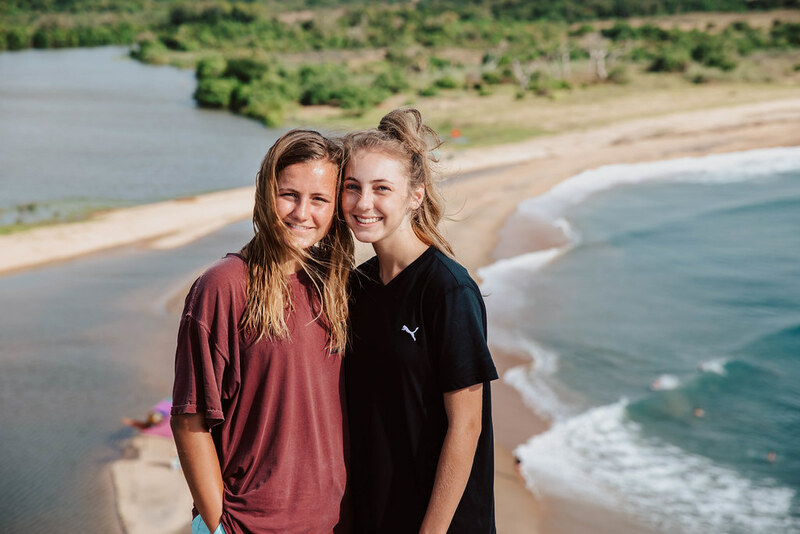 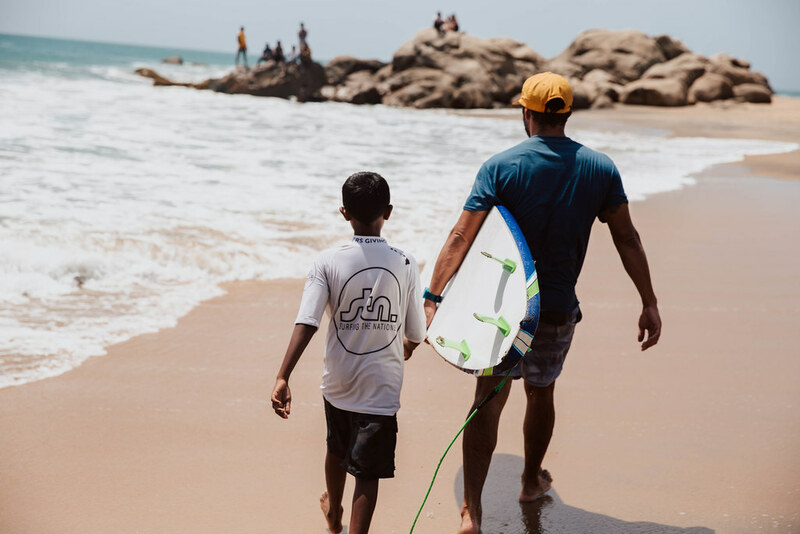 STN aspires to develop the Surf Base so that it can host traveling surfers as well as be a place the community can experience friendship, fellowship and love.